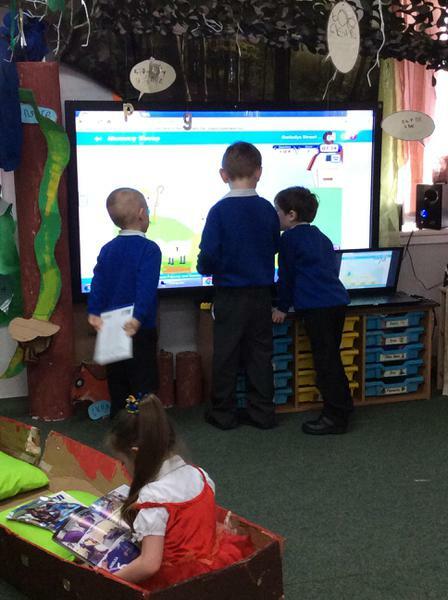 Thank you for taking the time to visit our class page. 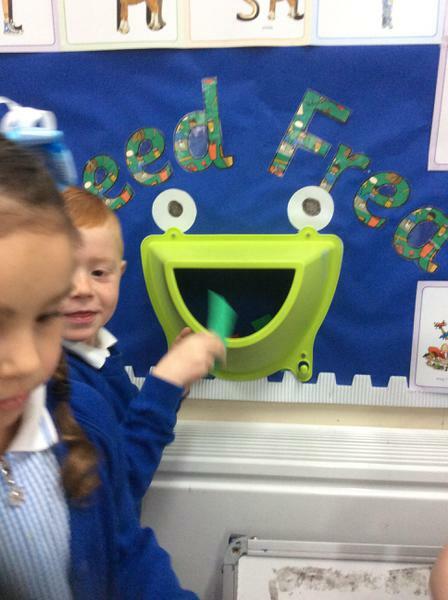 Mr. Mitchell and Mrs. Lee would like to welcome you, and say thank you for all the help you have been giving your children with their reading books. 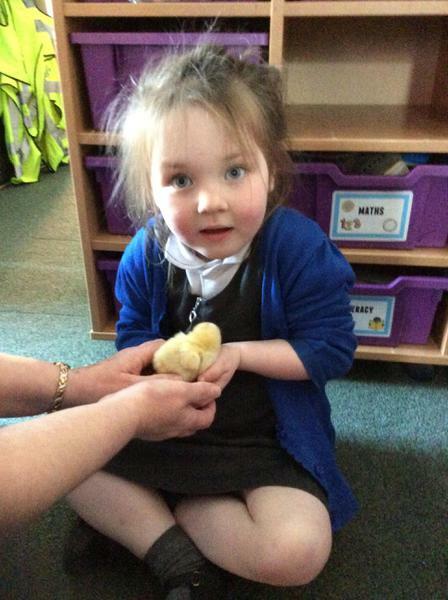 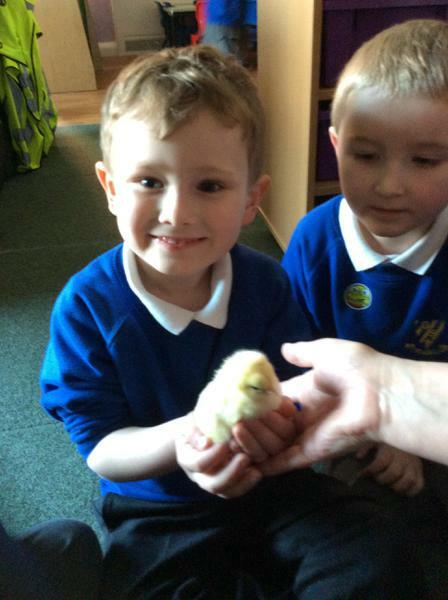 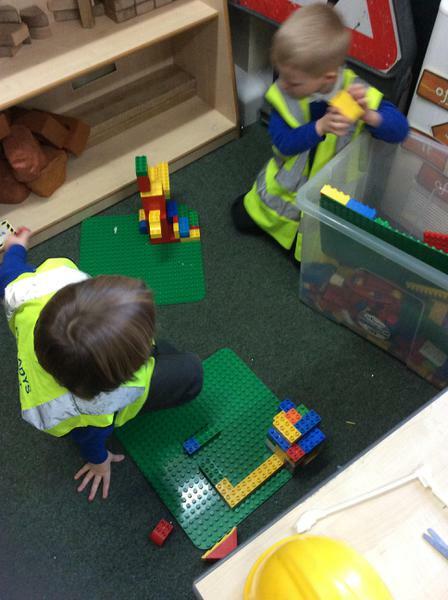 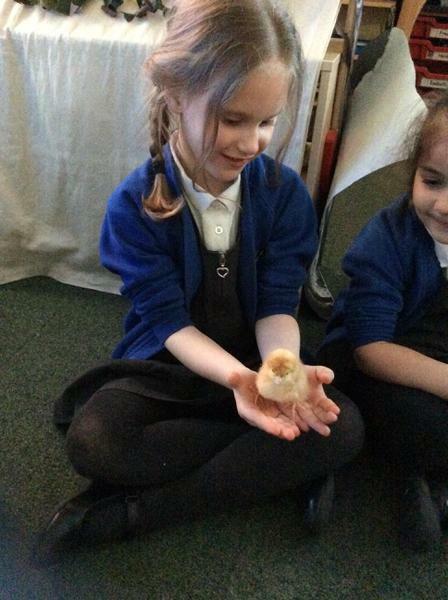 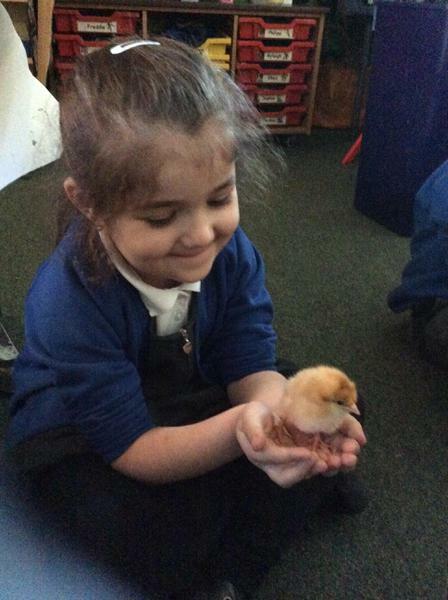 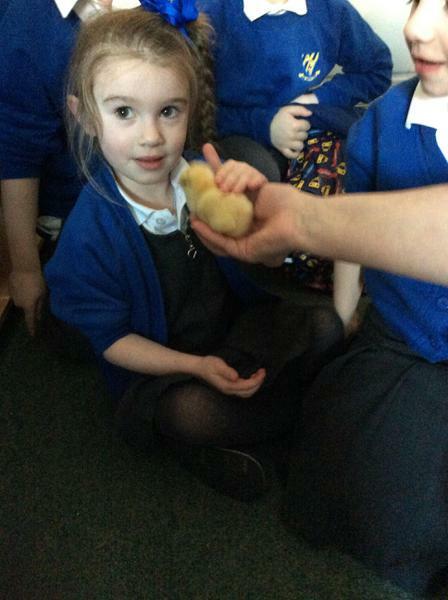 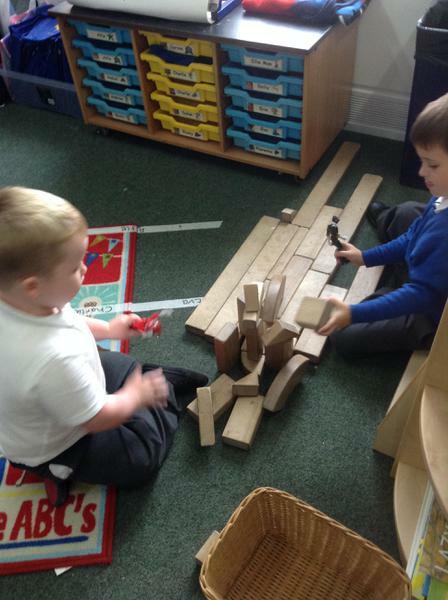 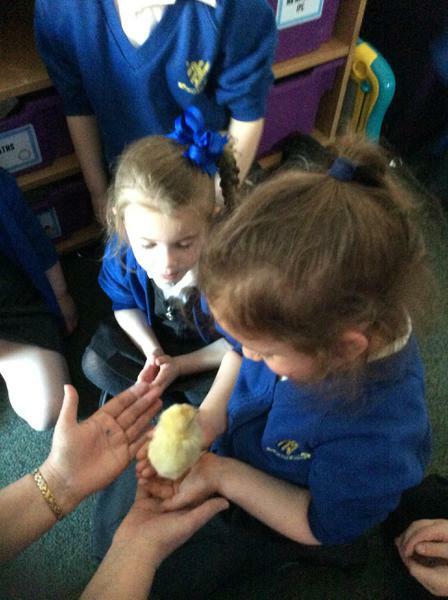 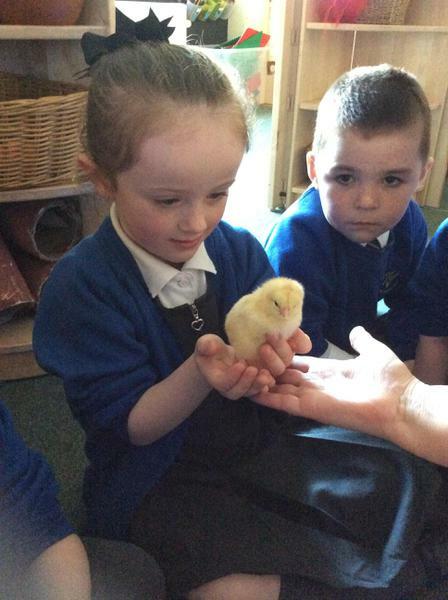 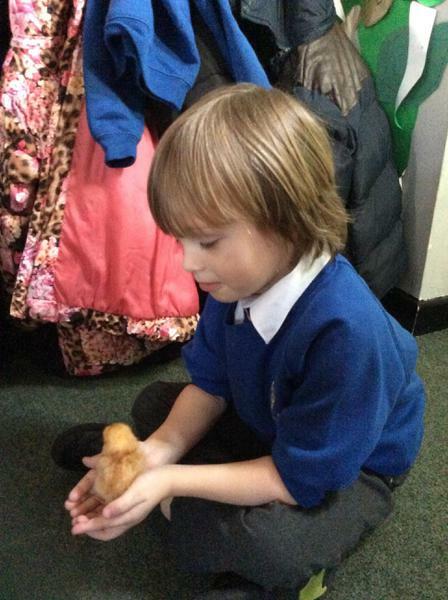 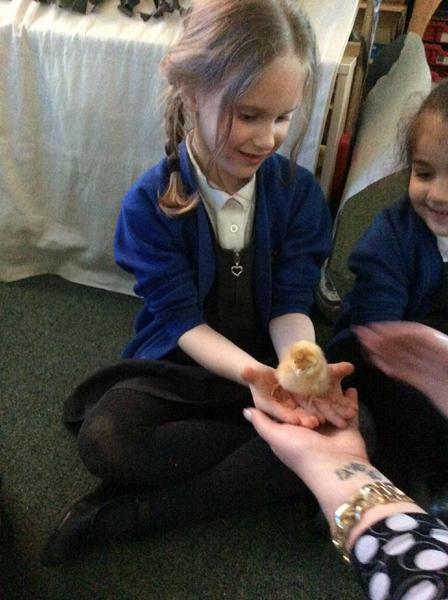 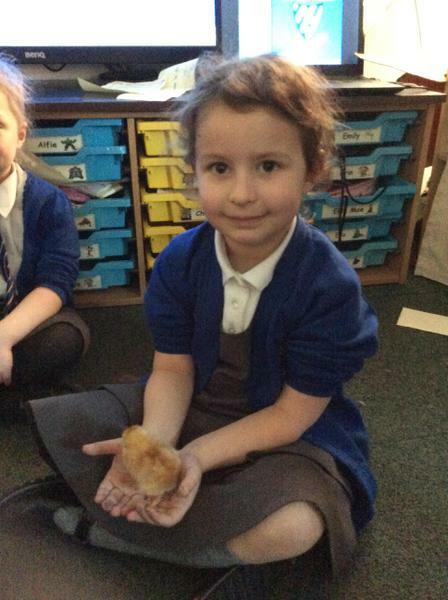 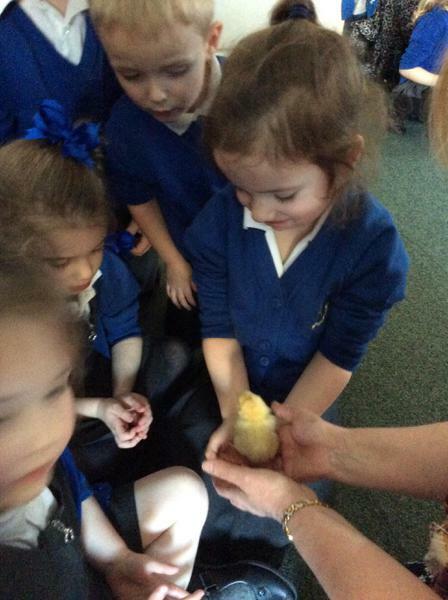 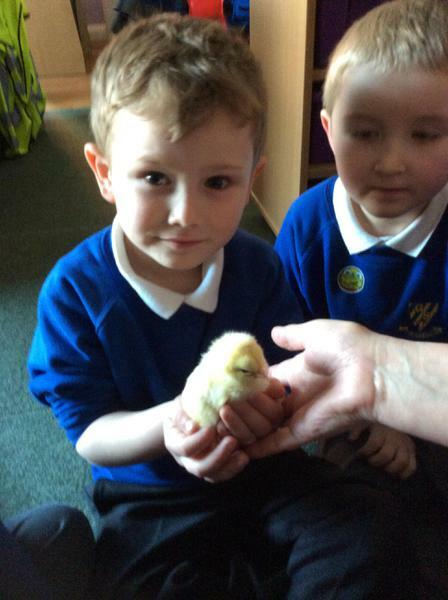 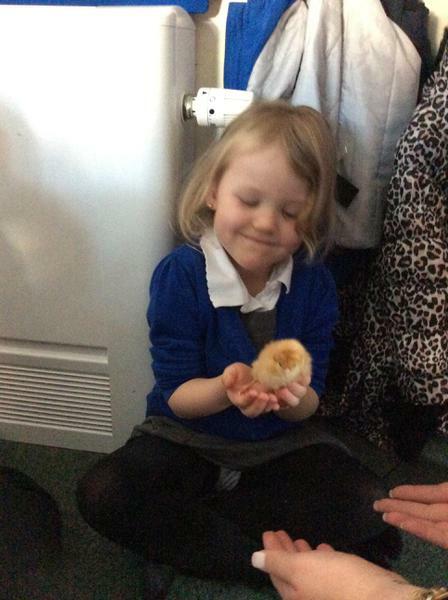 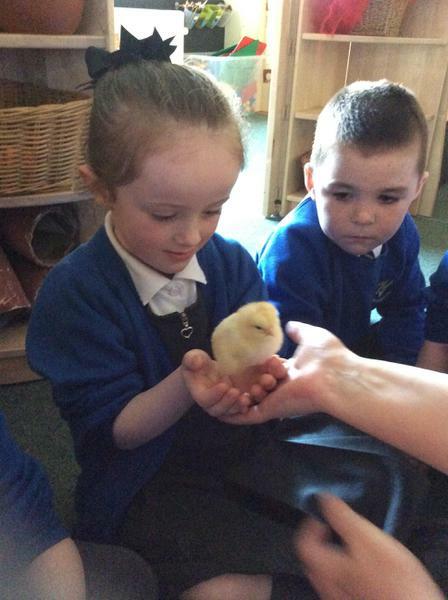 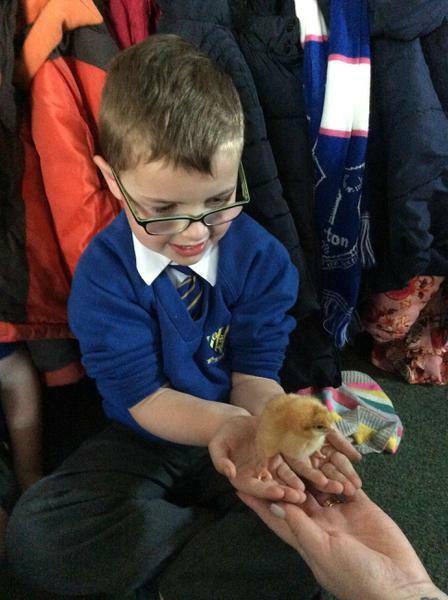 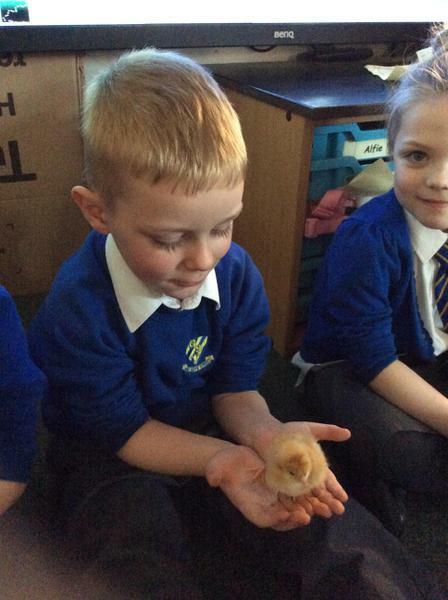 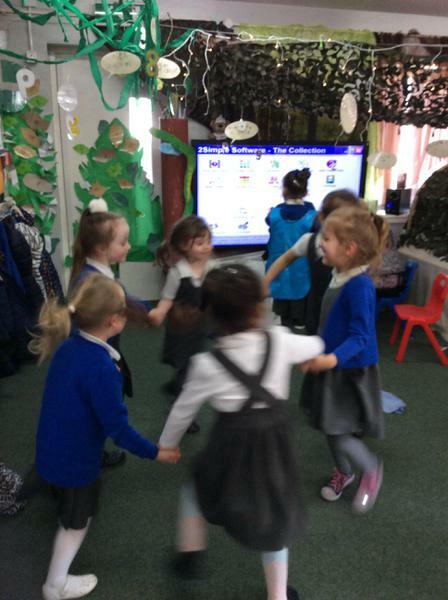 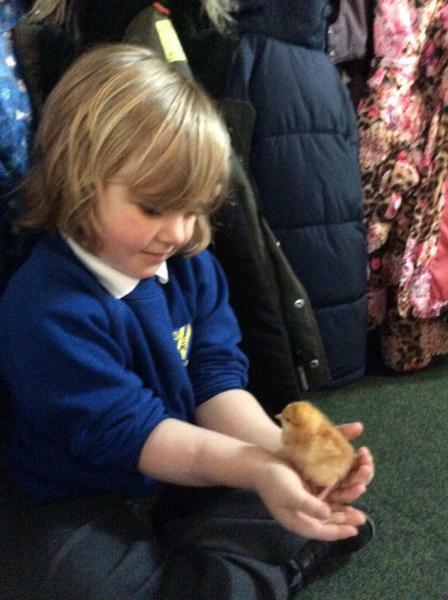 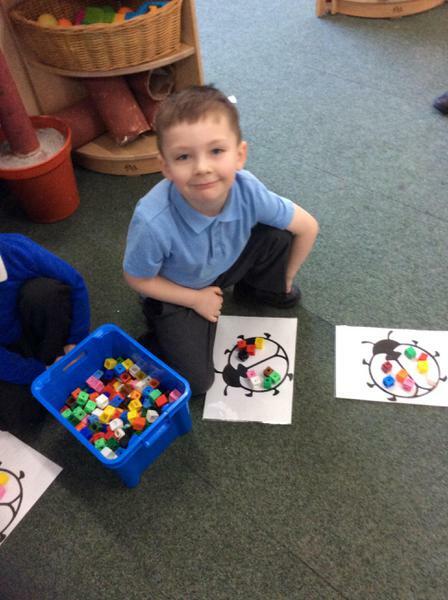 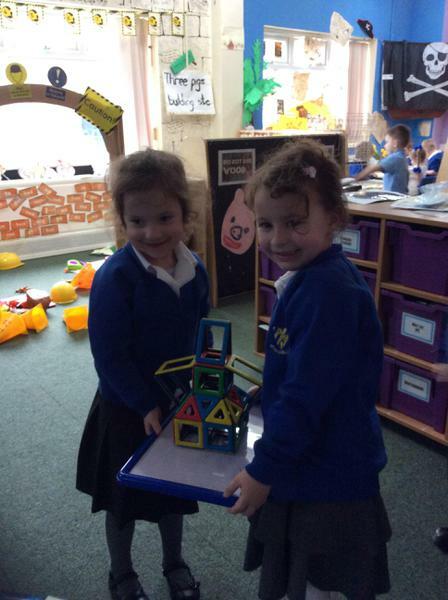 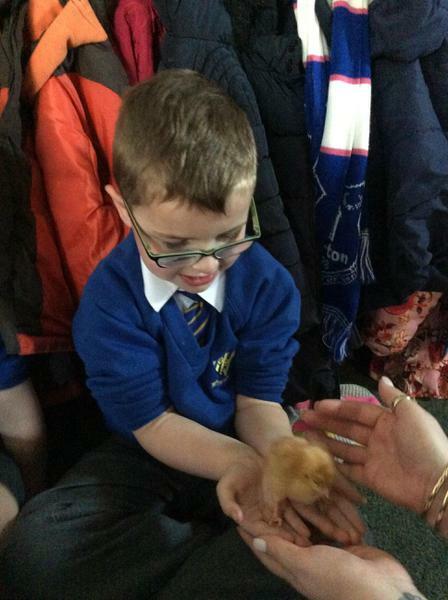 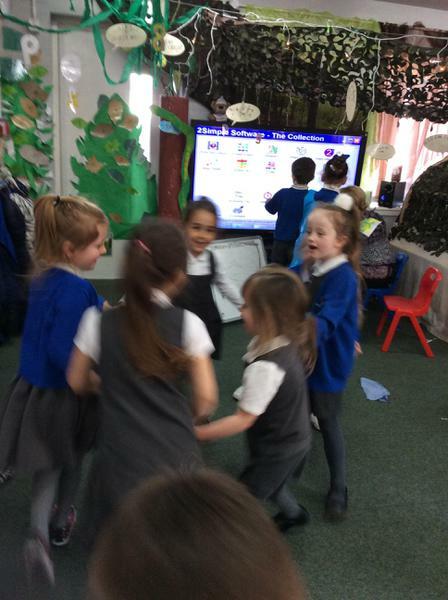 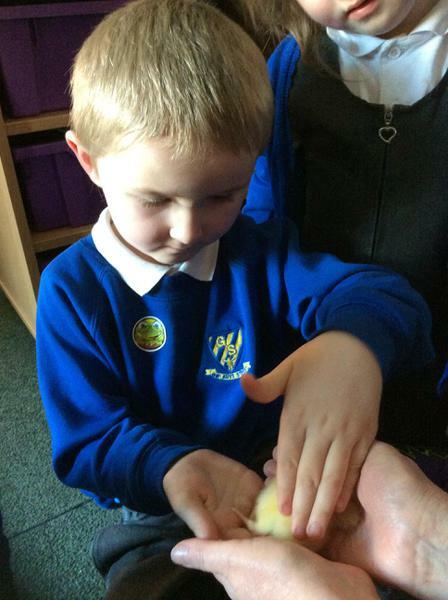 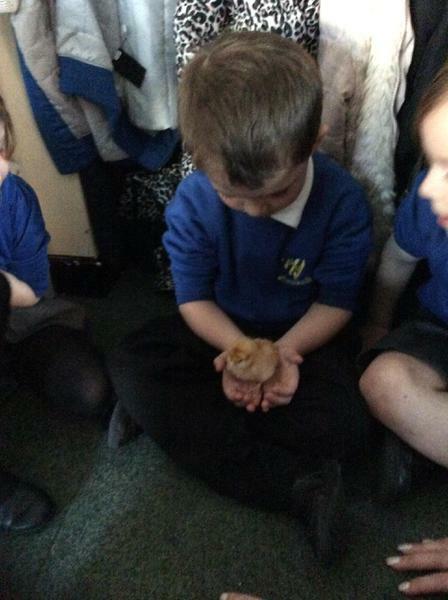 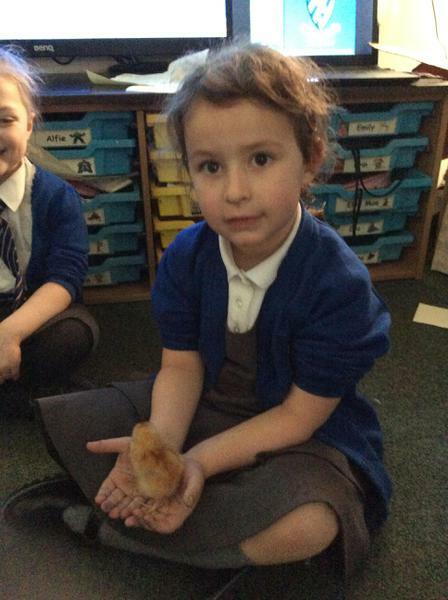 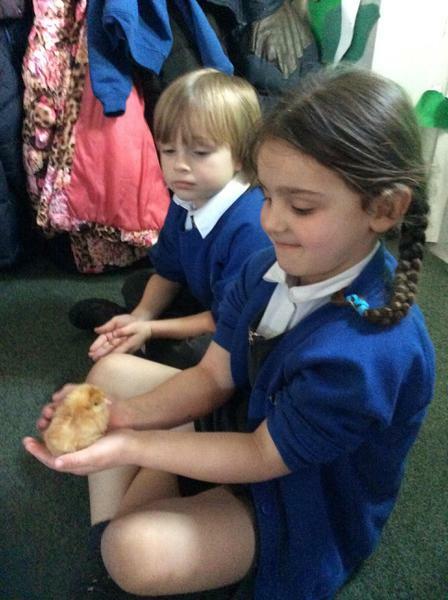 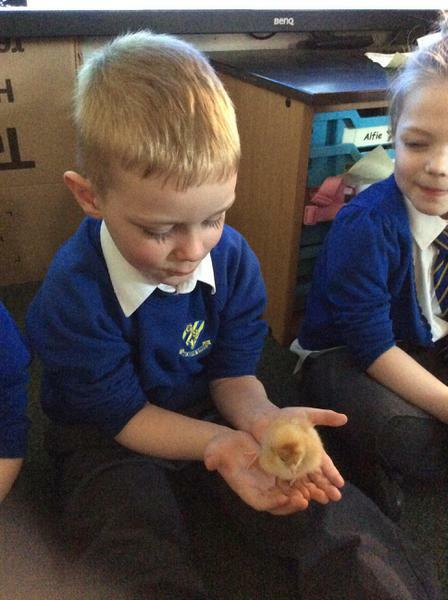 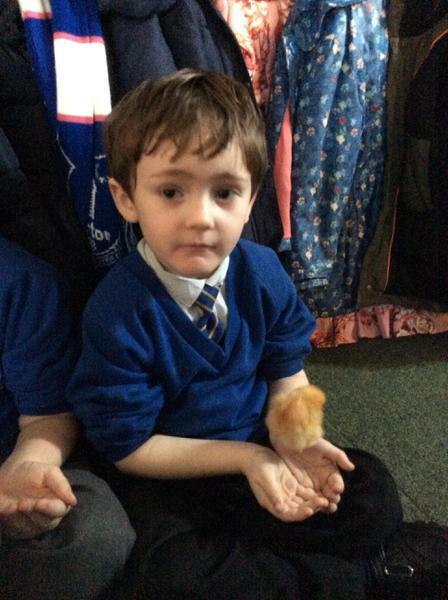 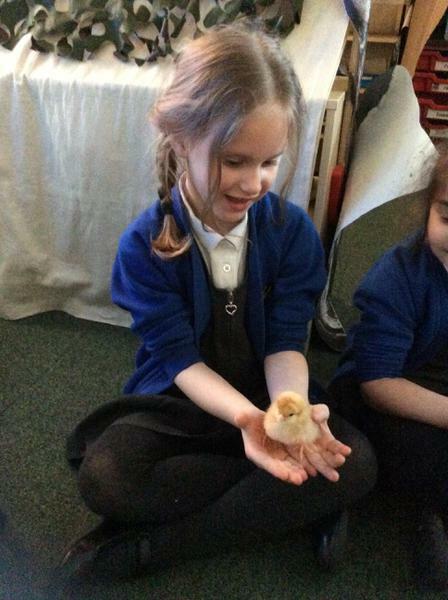 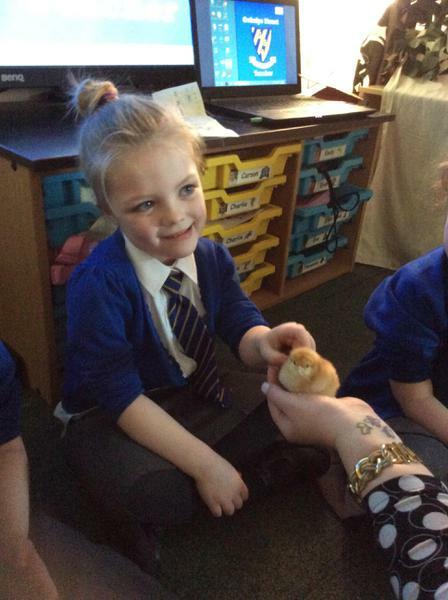 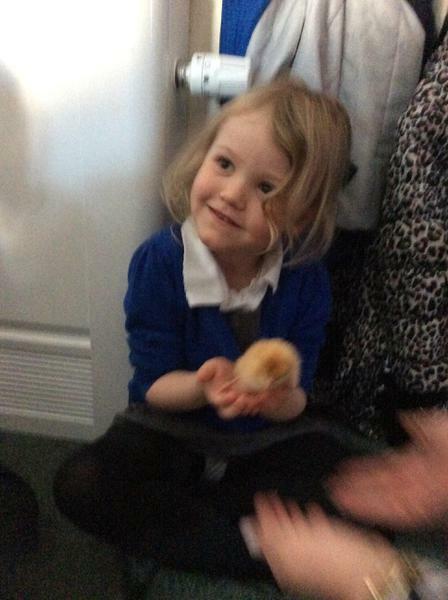 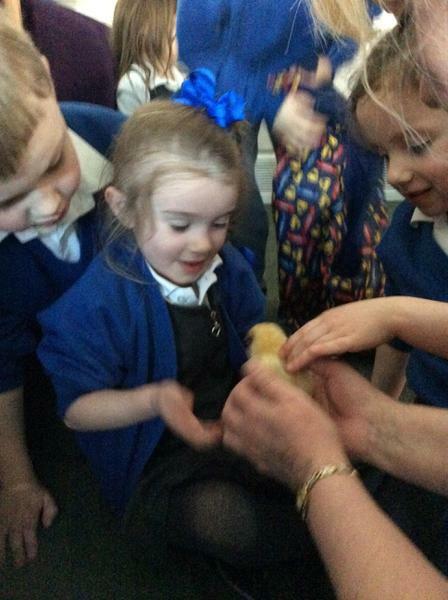 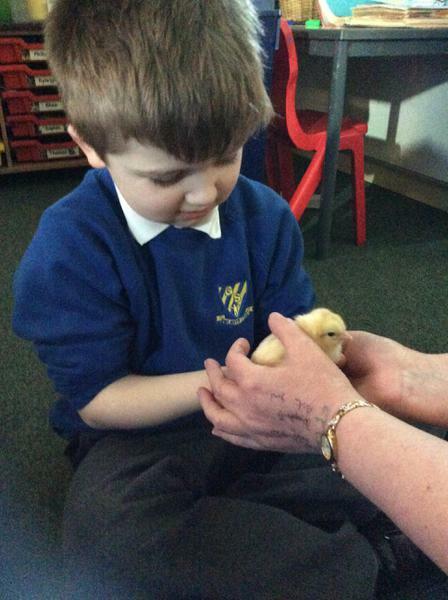 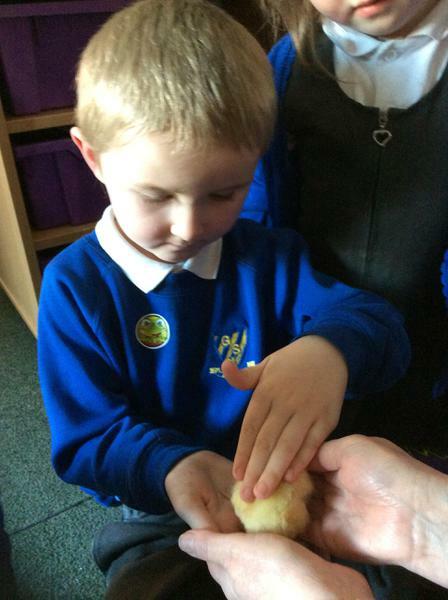 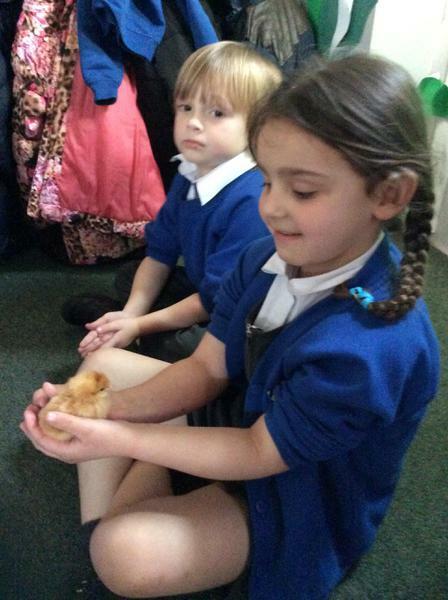 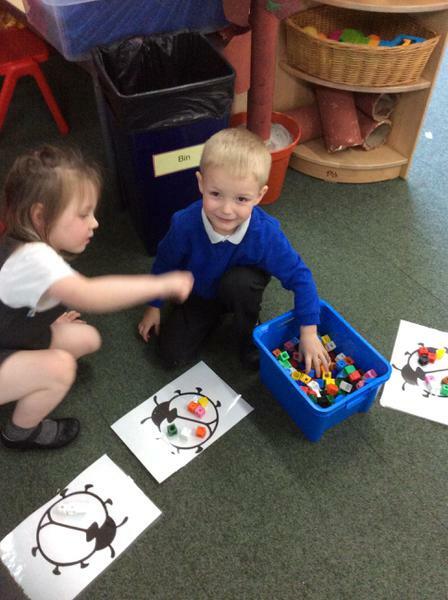 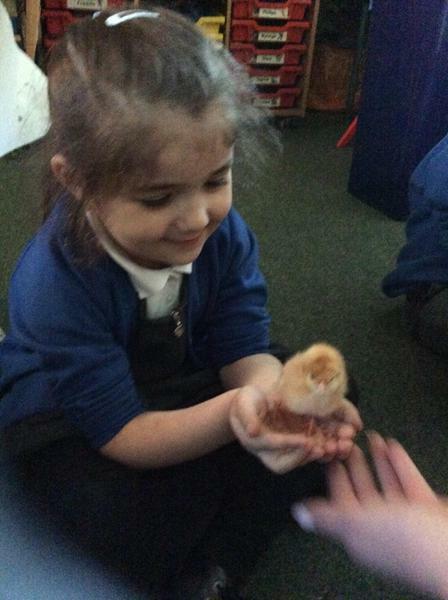 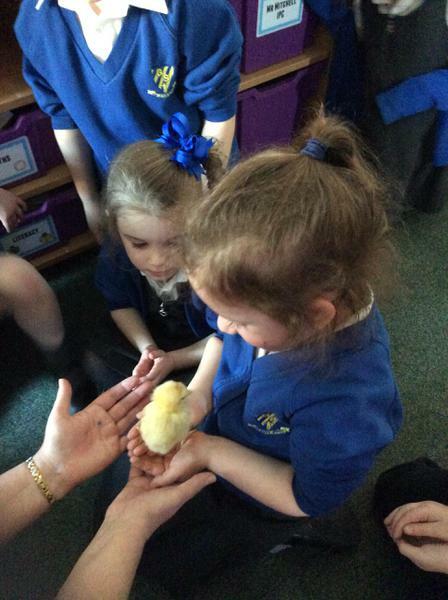 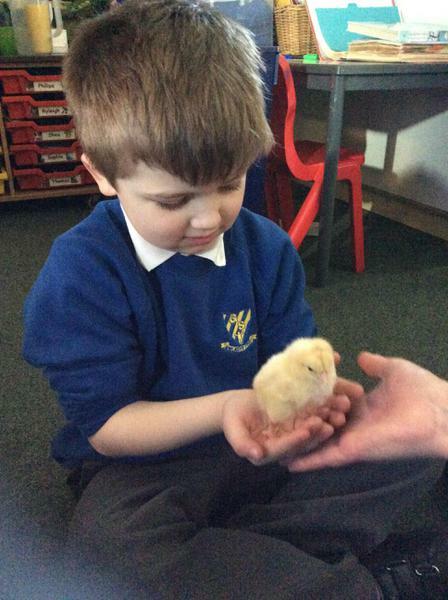 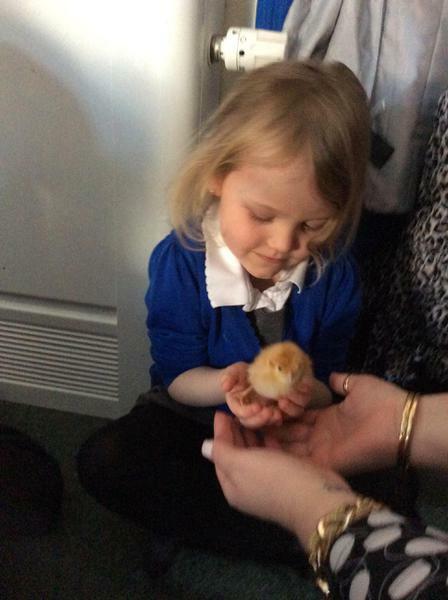 The children have settled in really well and are busy making friends. 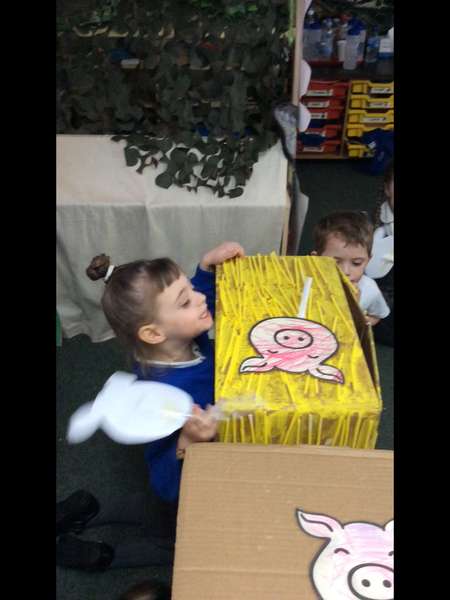 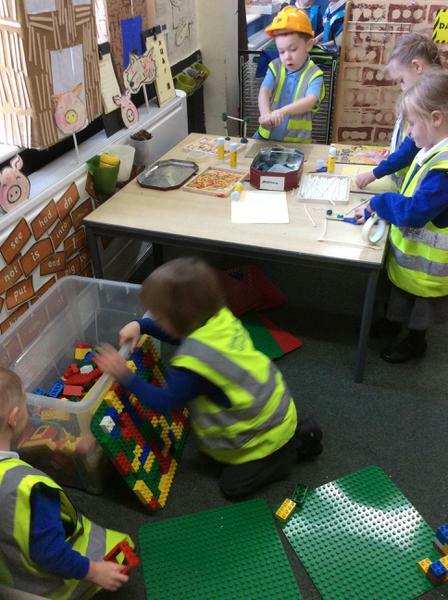 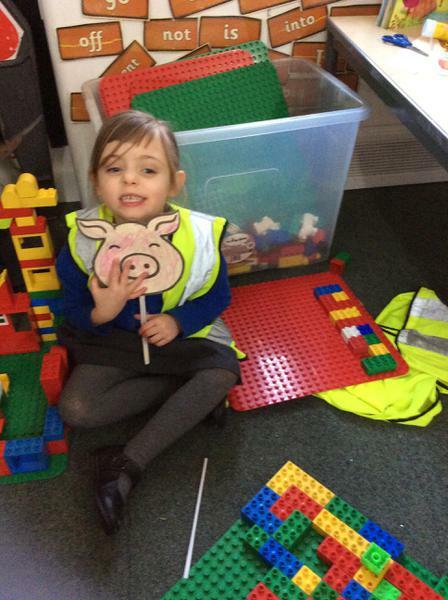 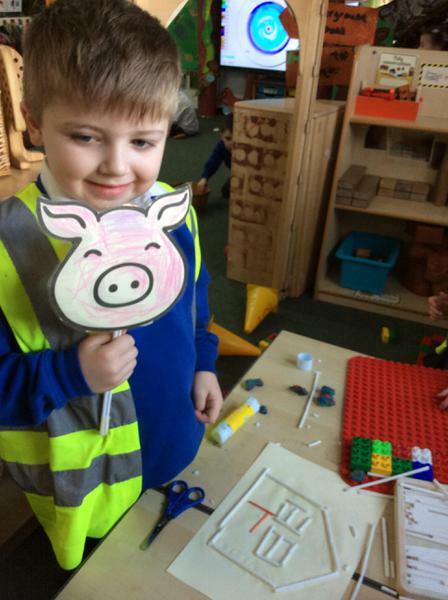 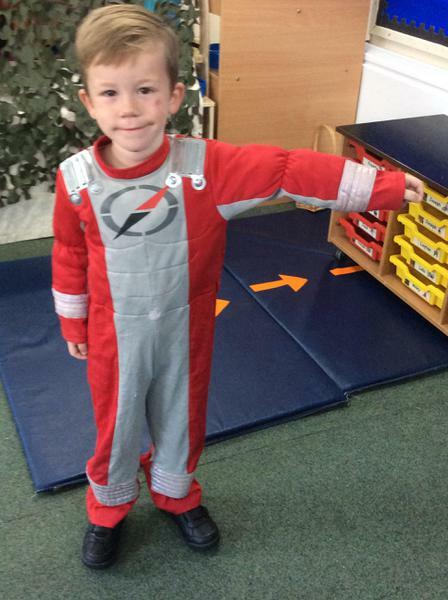 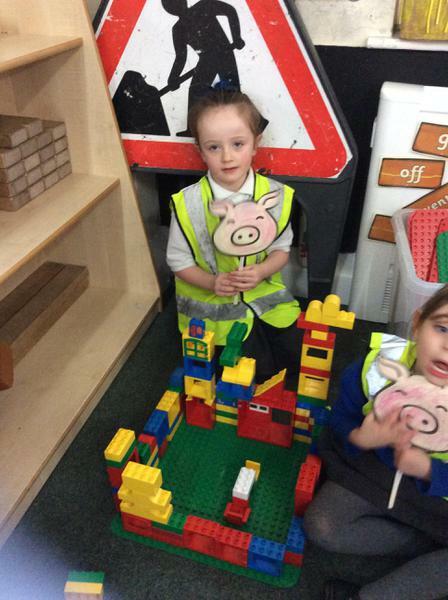 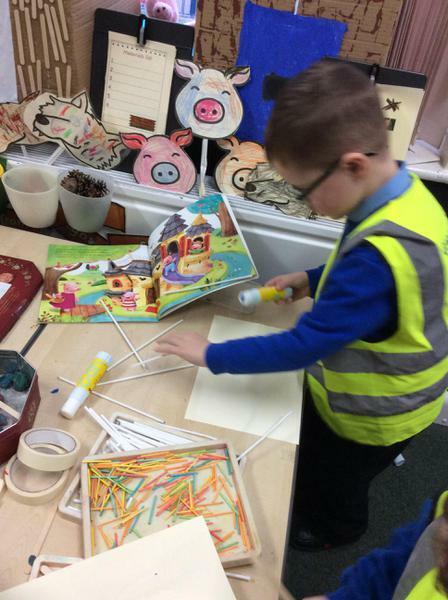 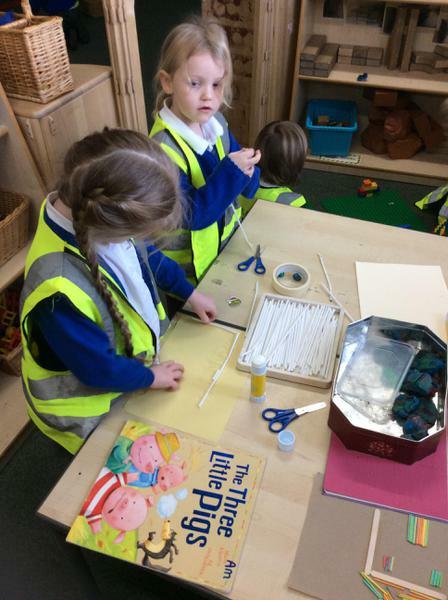 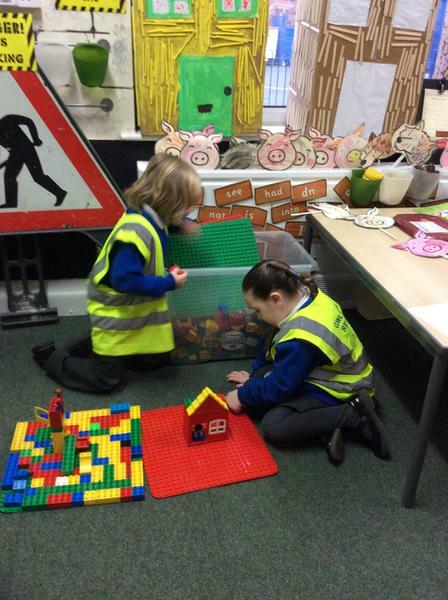 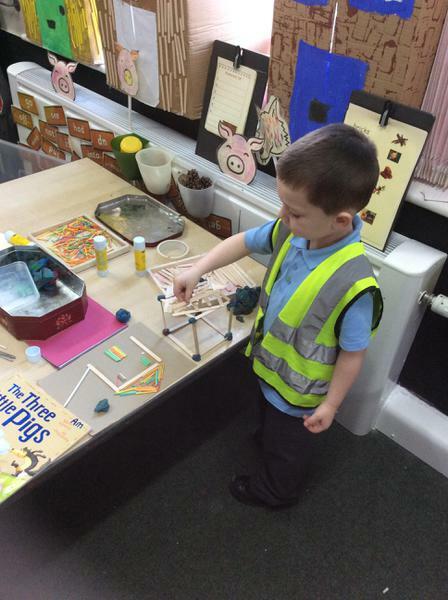 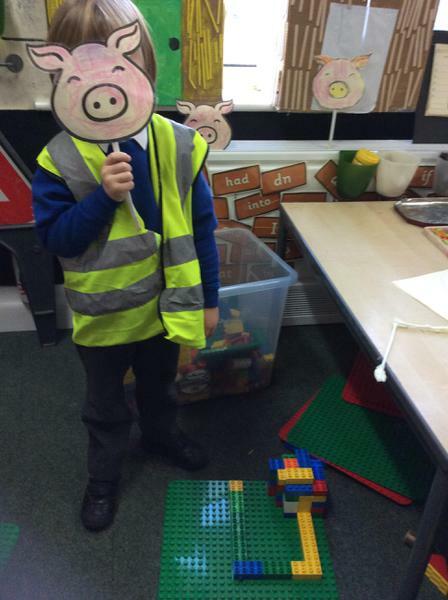 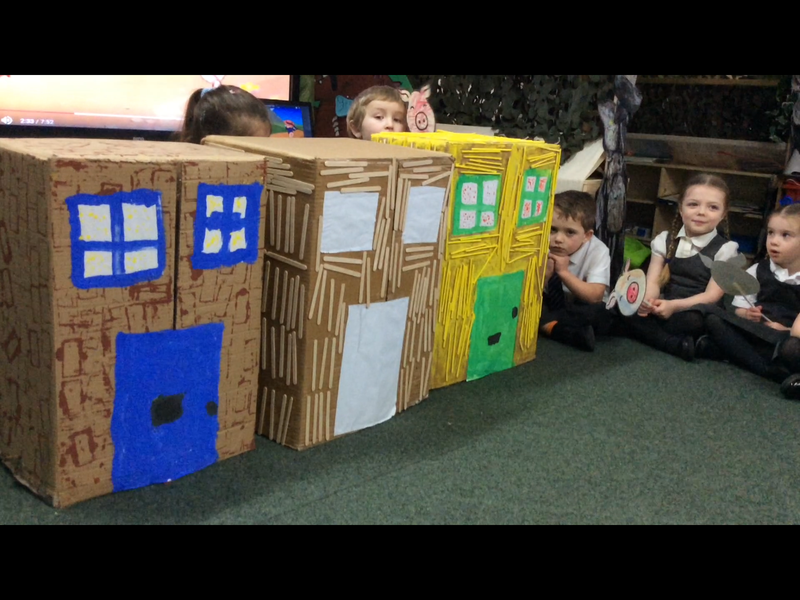 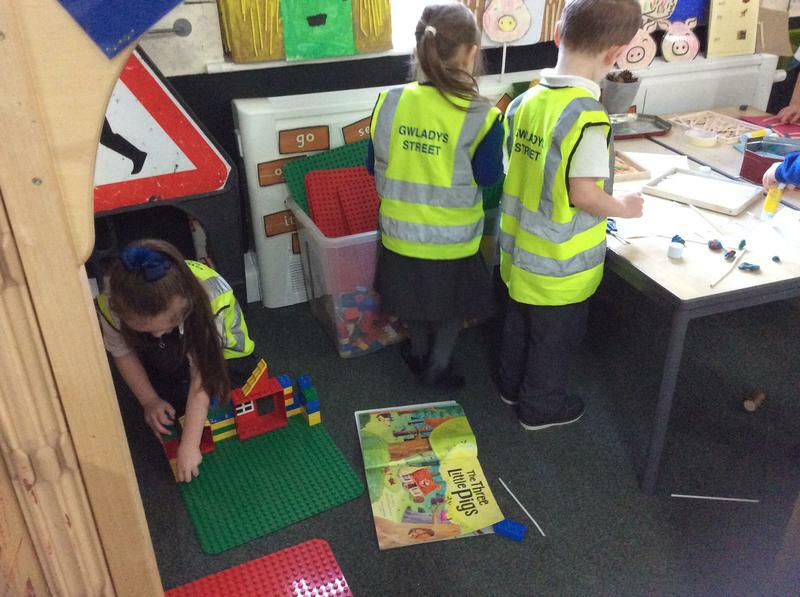 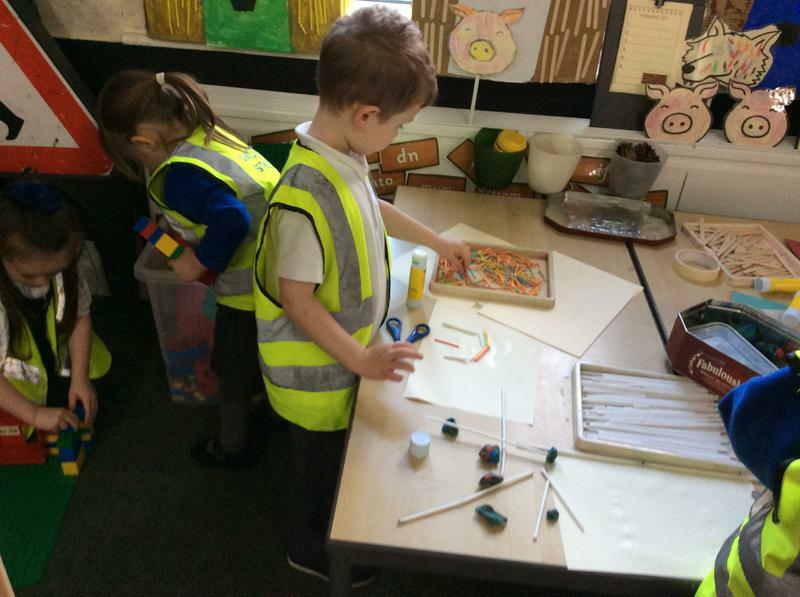 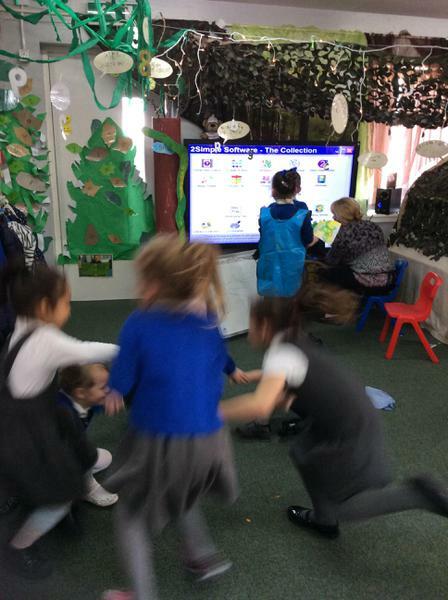 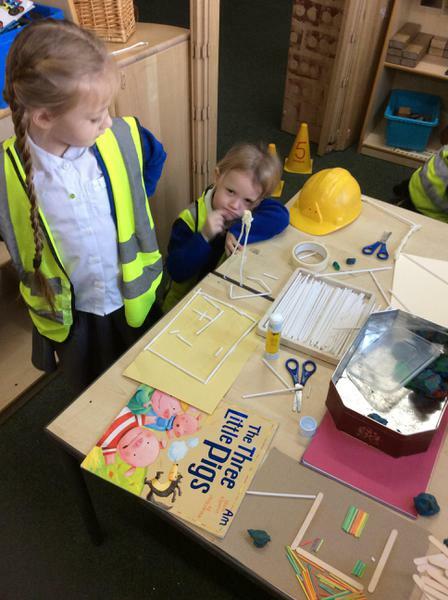 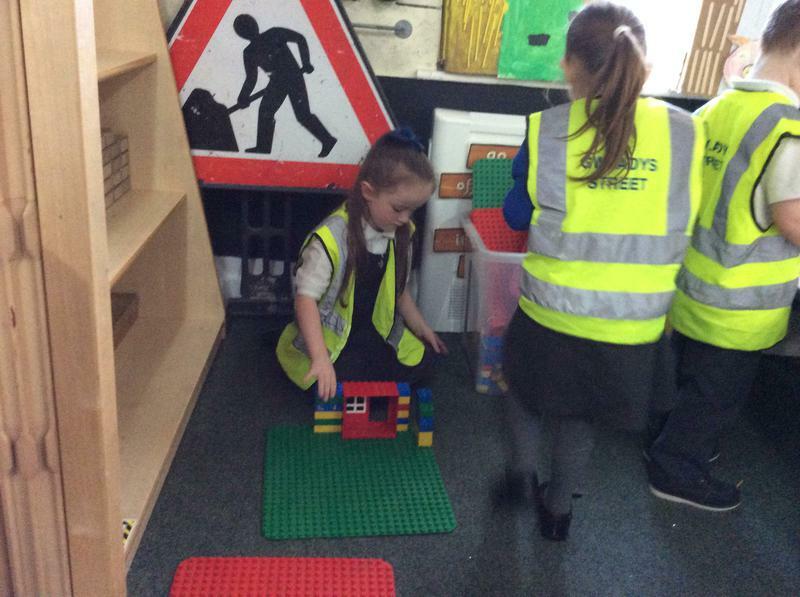 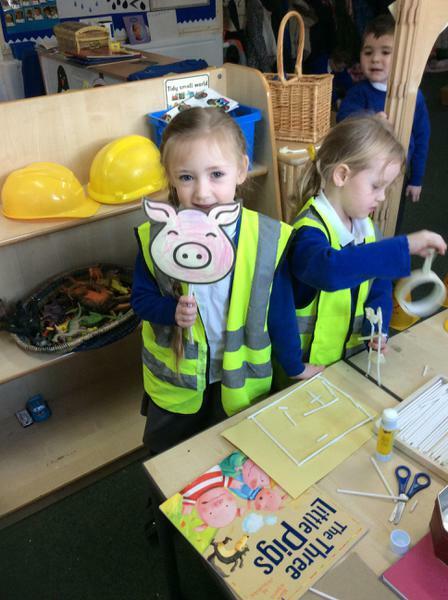 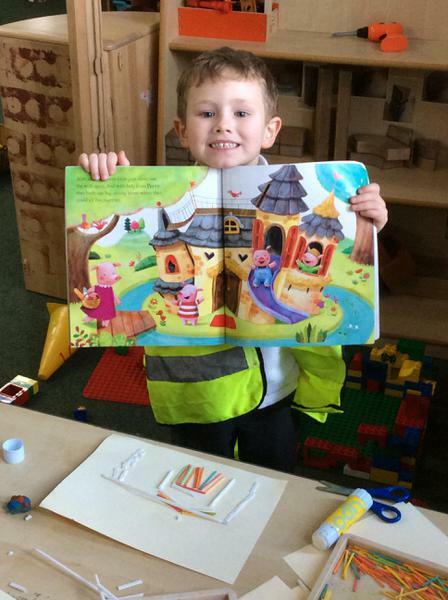 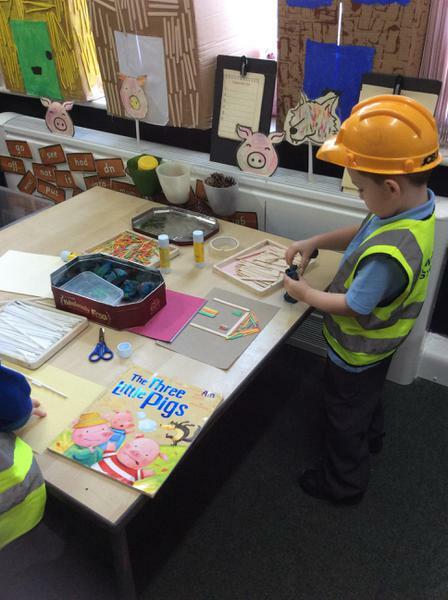 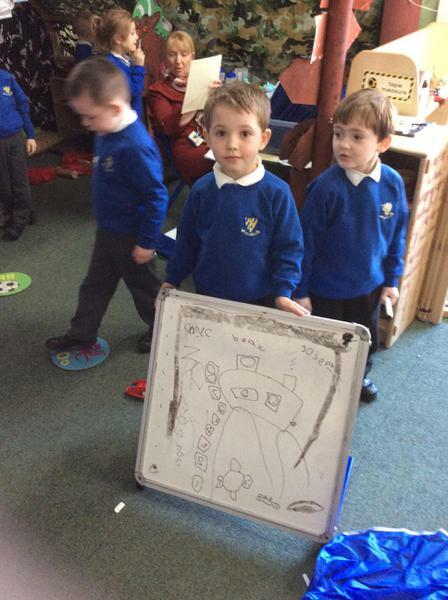 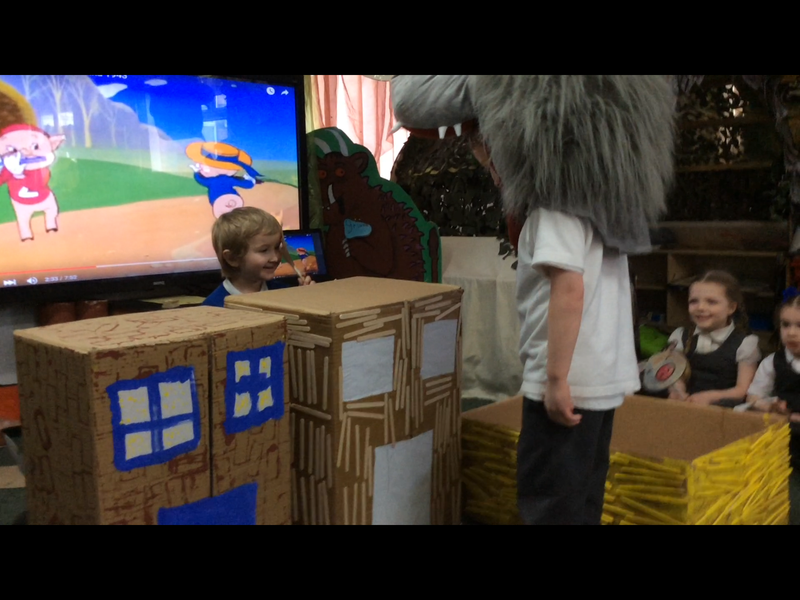 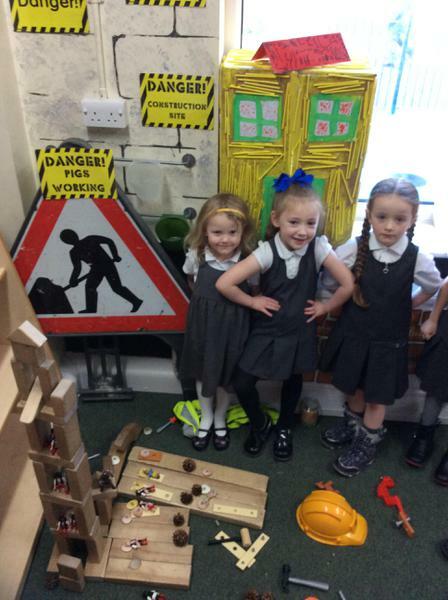 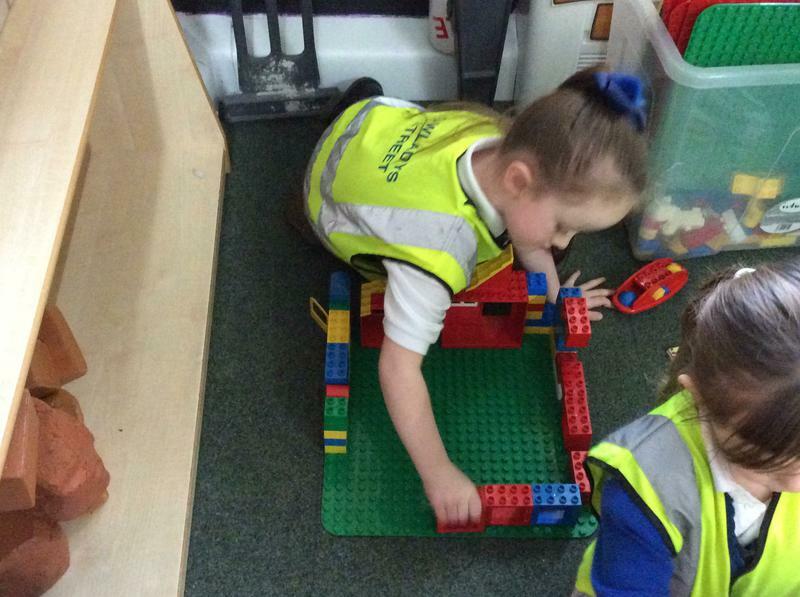 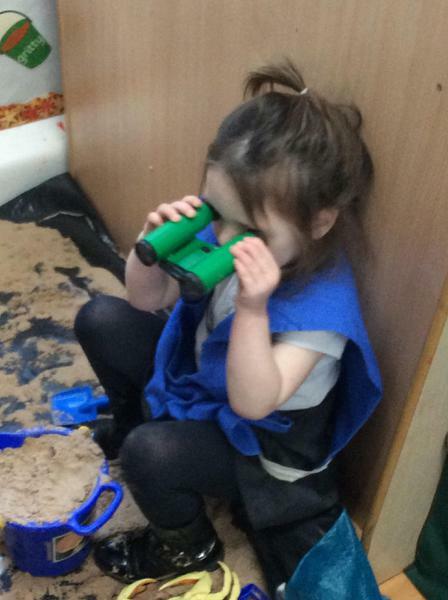 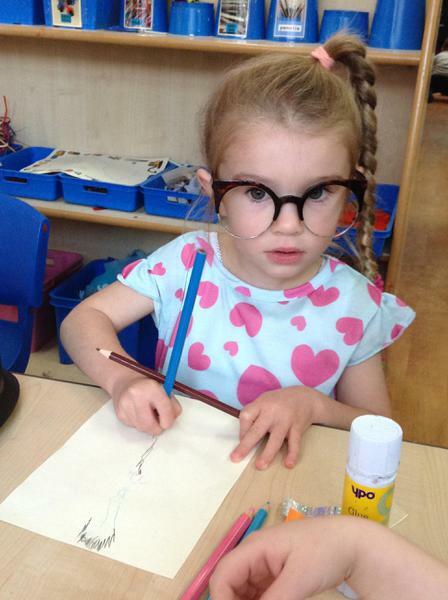 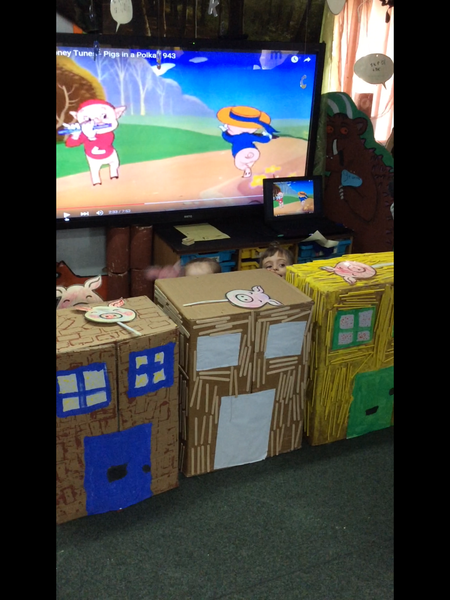 We have created an exciting classroom and the children are learning all about 'Superheroes' and 'Real life' heroes, such as Doctors, Nurses and the emergency services. 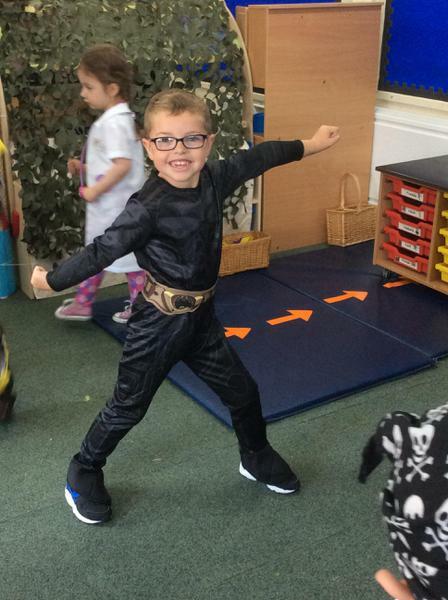 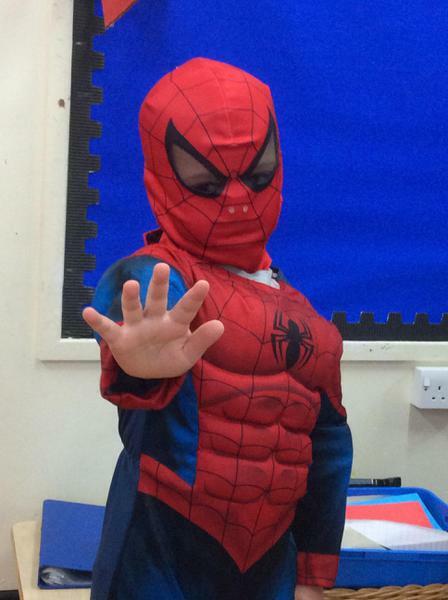 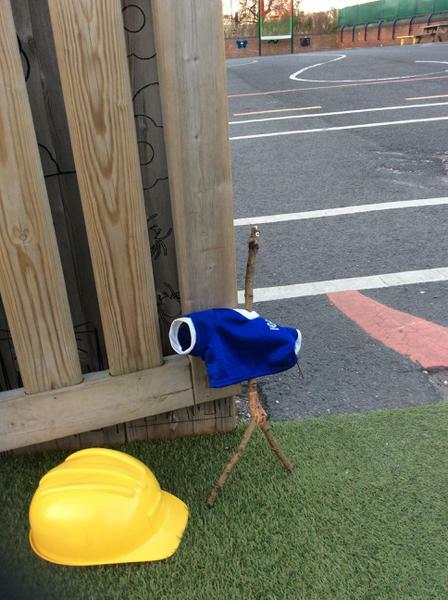 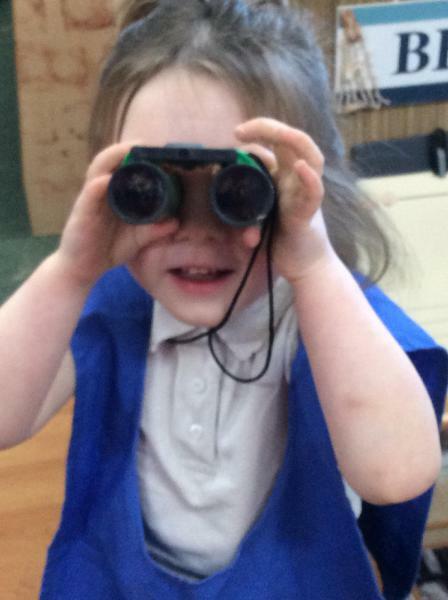 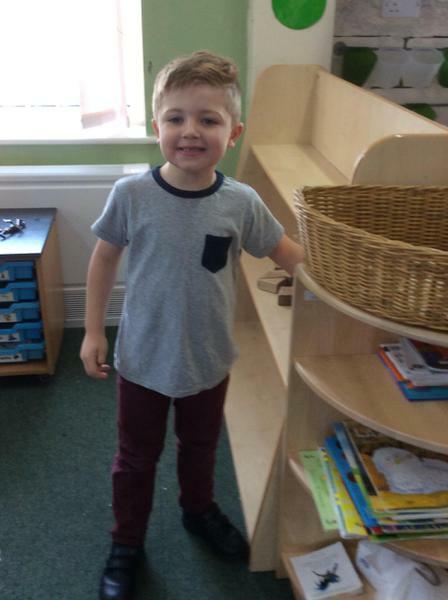 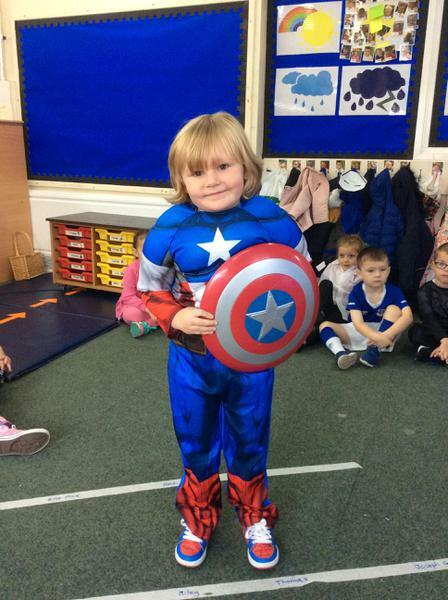 A topic like ours often sees the children dressing up in role play costumes, and we would like to thank those parents who have labelled all of their children's clothes. 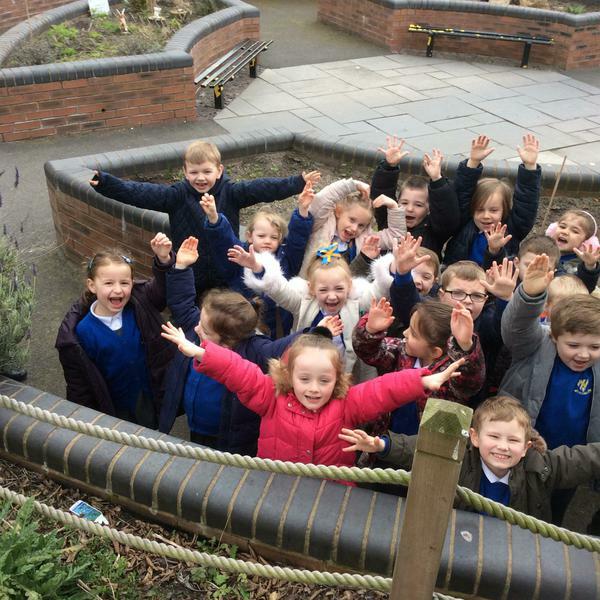 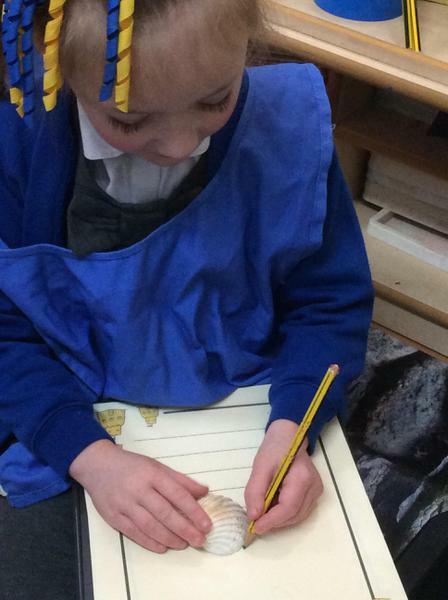 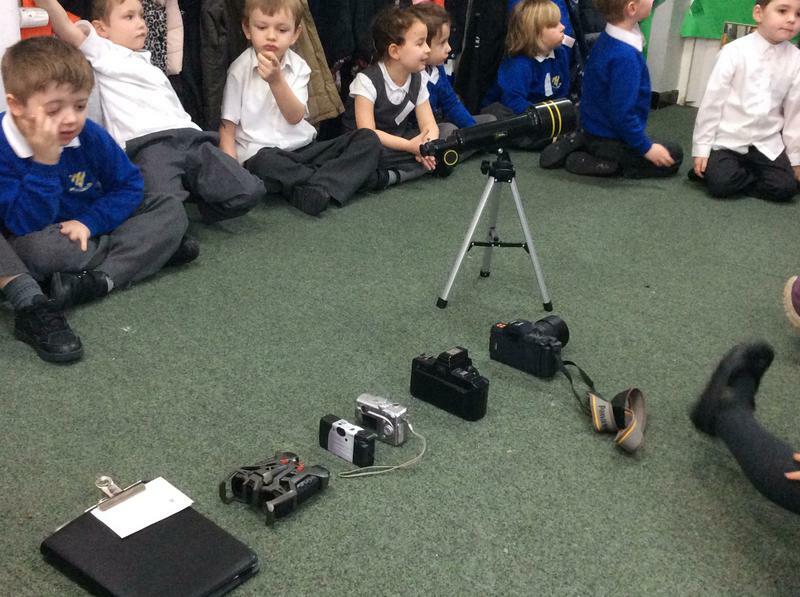 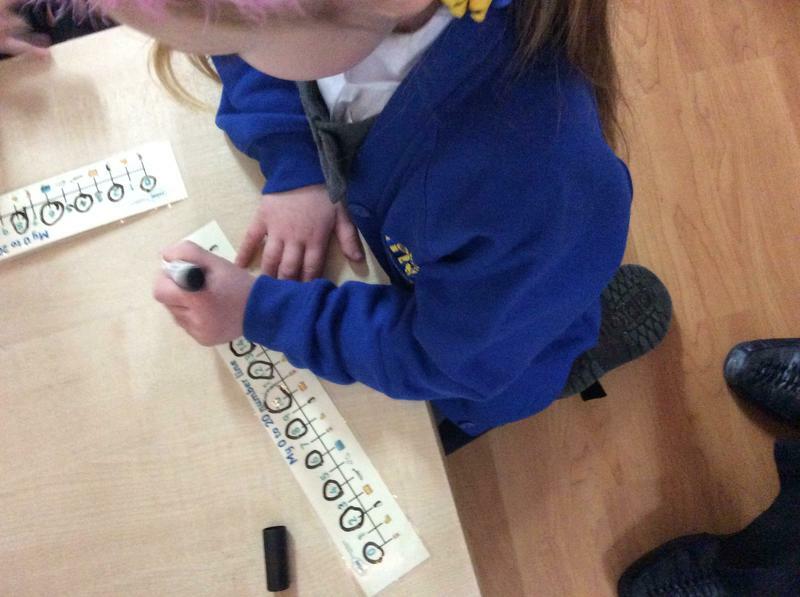 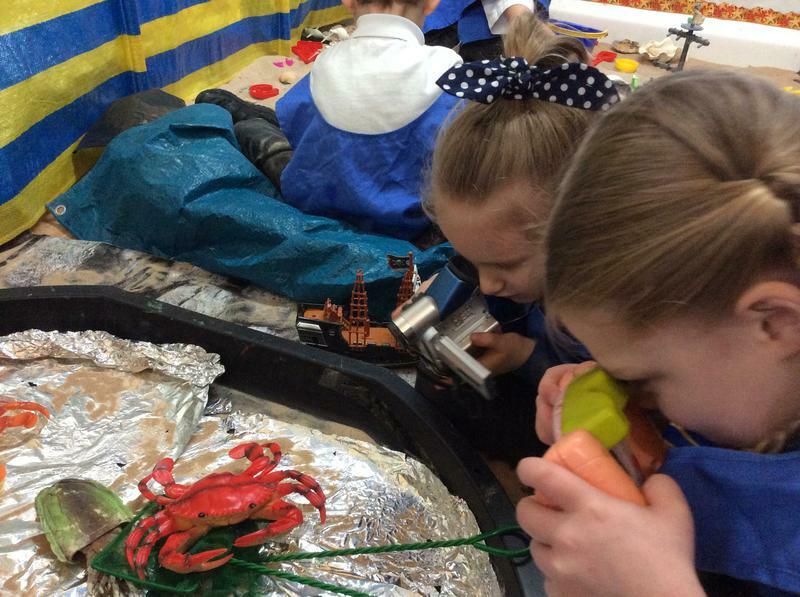 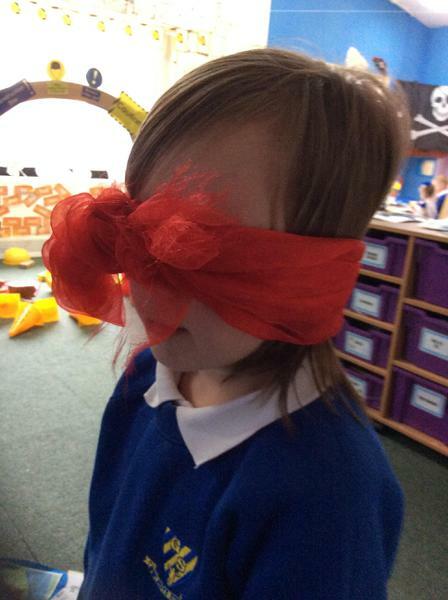 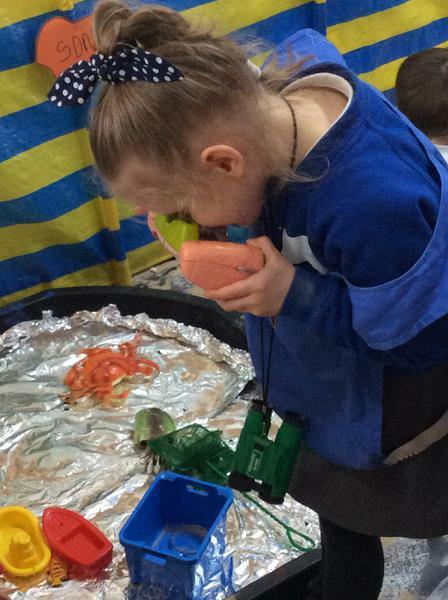 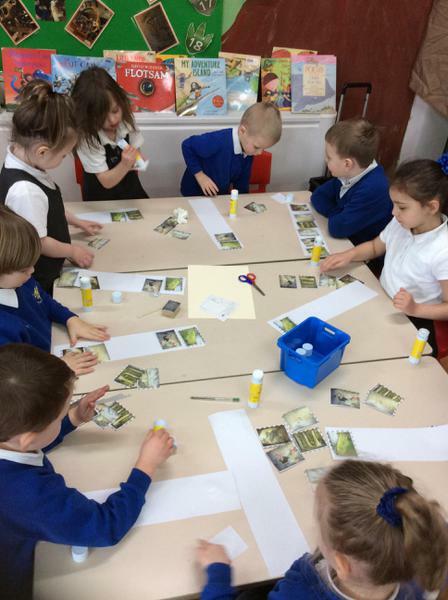 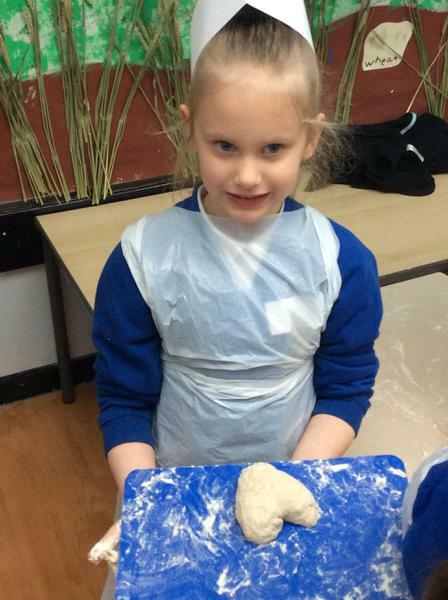 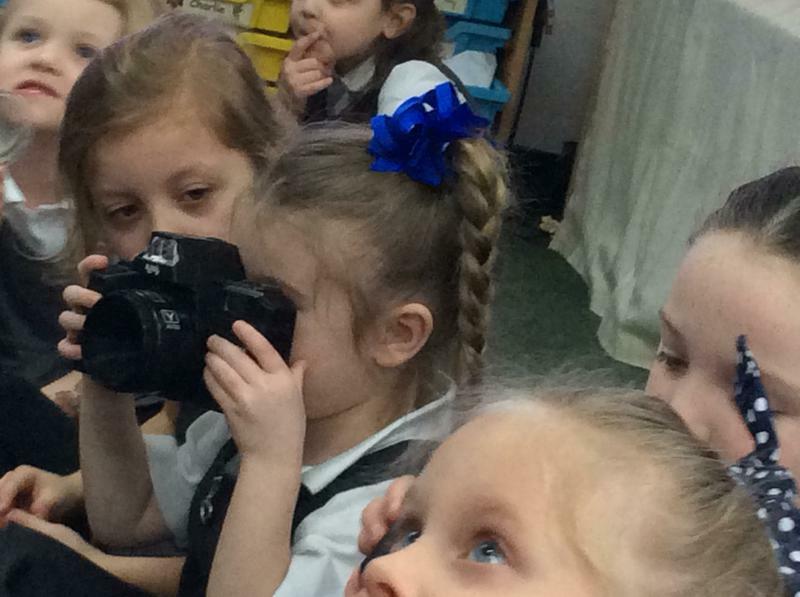 Over the next few weeks we will be adding lots of photographs, both here, and in the 'Gallery' section of the website, to show you some of our fun filled learning adventures. 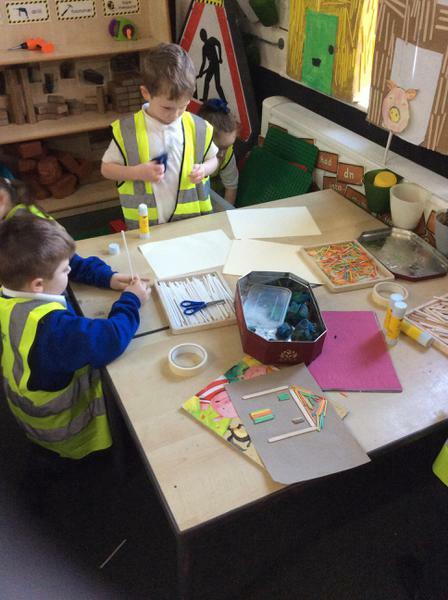 If you have any questions or suggestions about how we can add to our topic then please do not hesitate to speak to us at the end of the day. 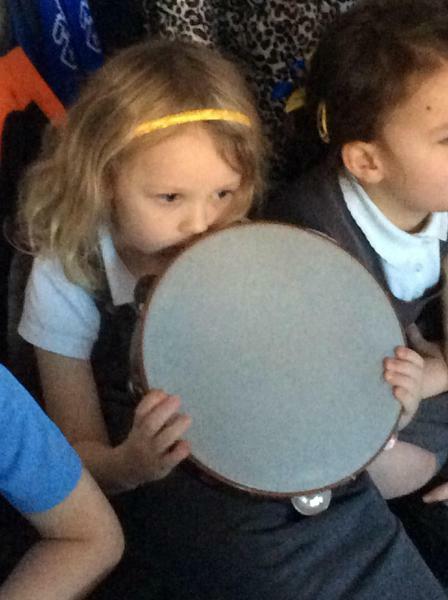 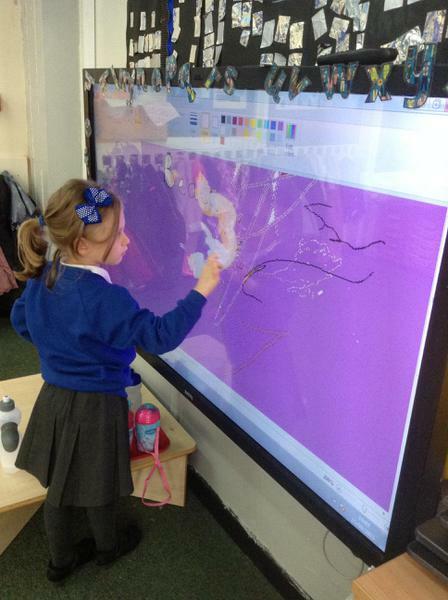 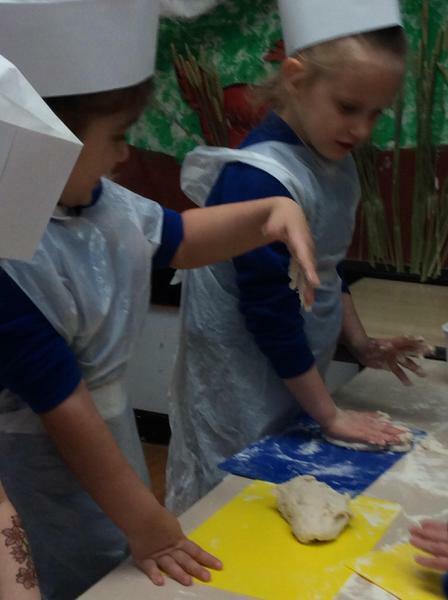 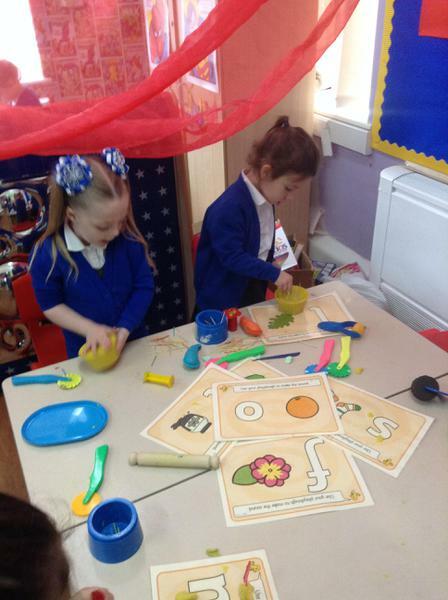 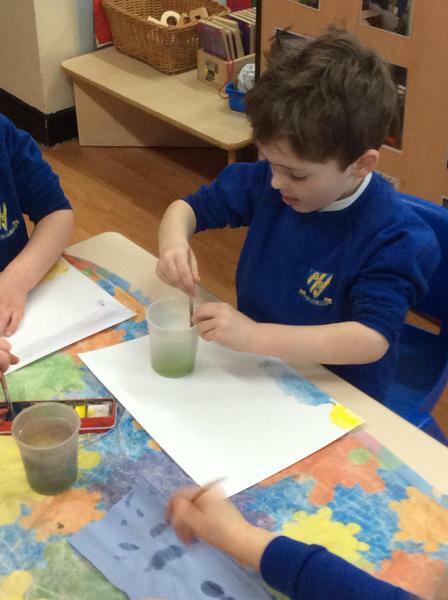 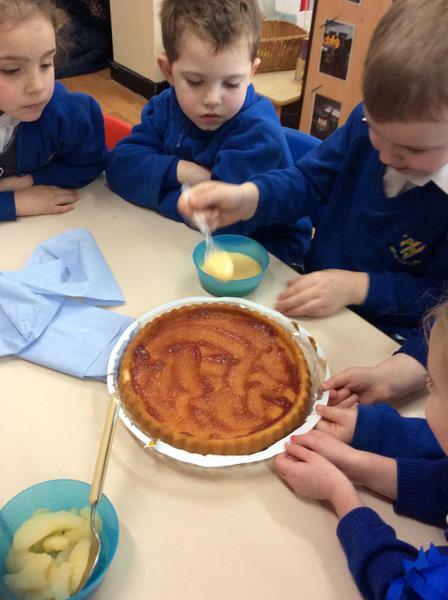 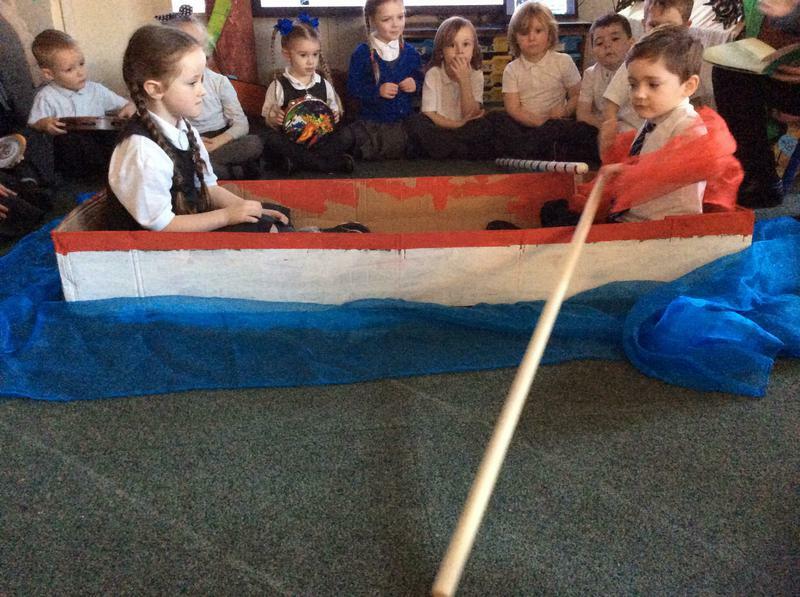 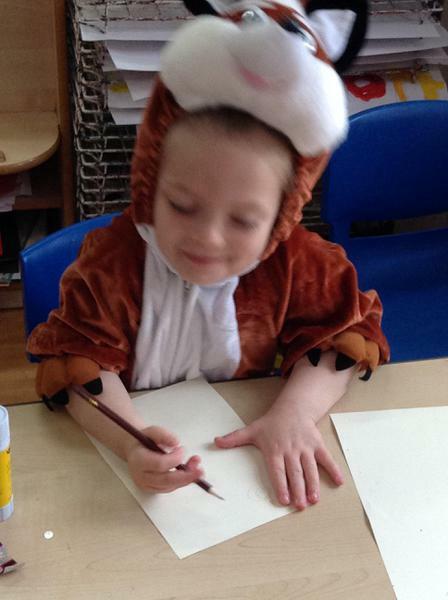 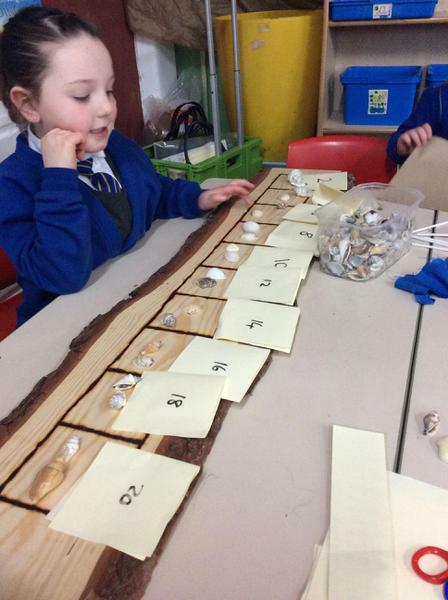 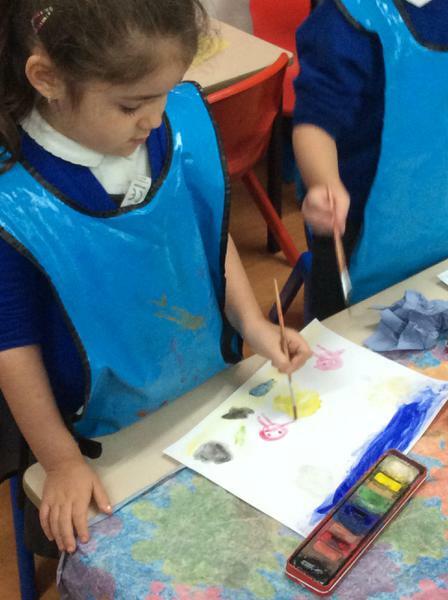 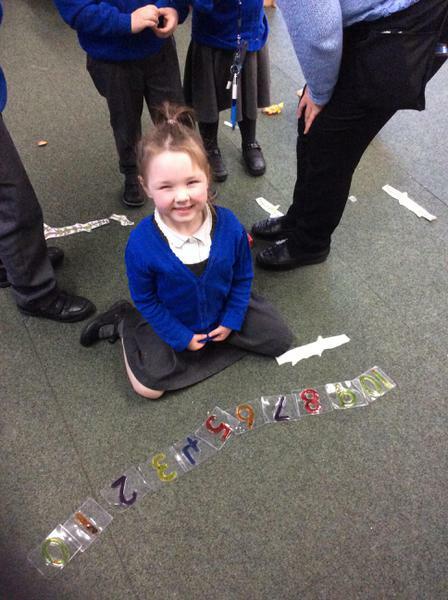 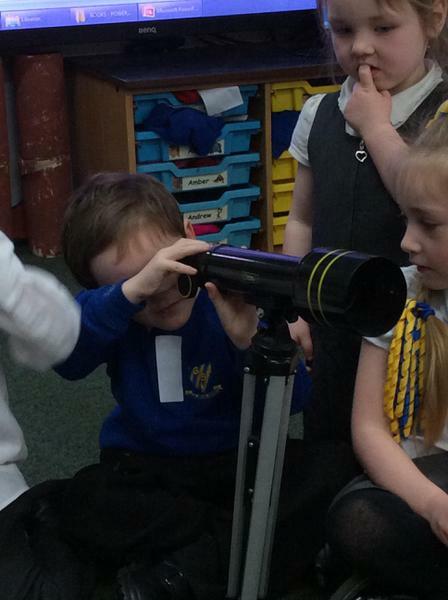 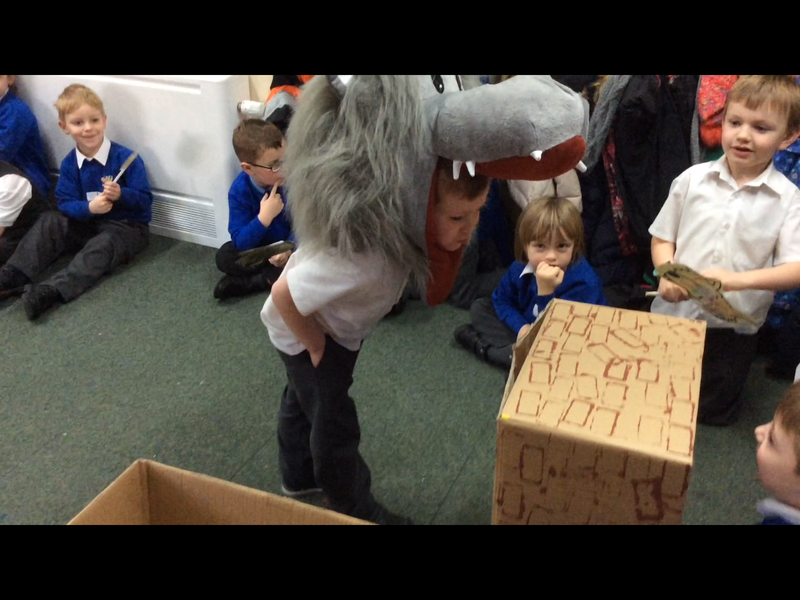 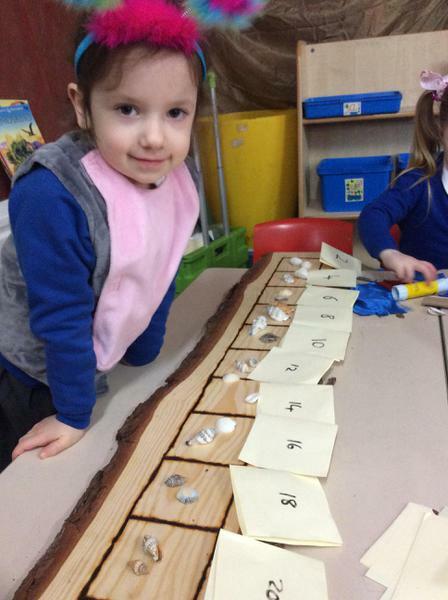 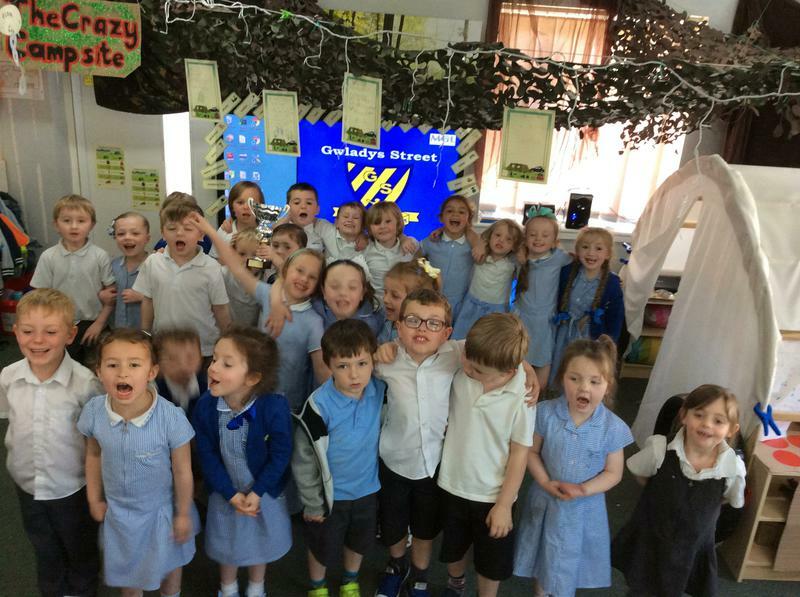 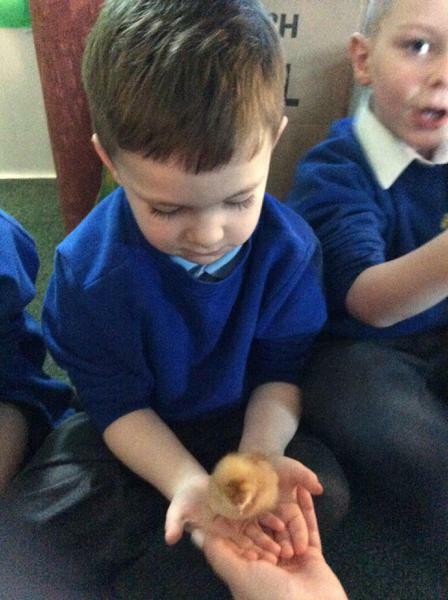 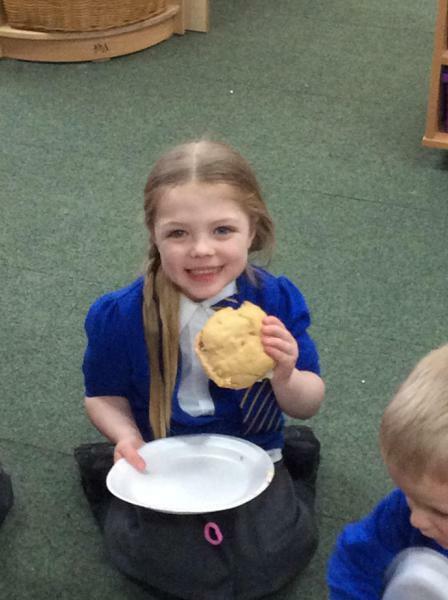 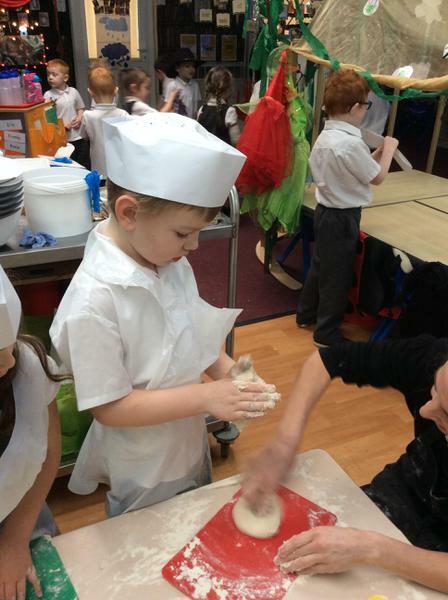 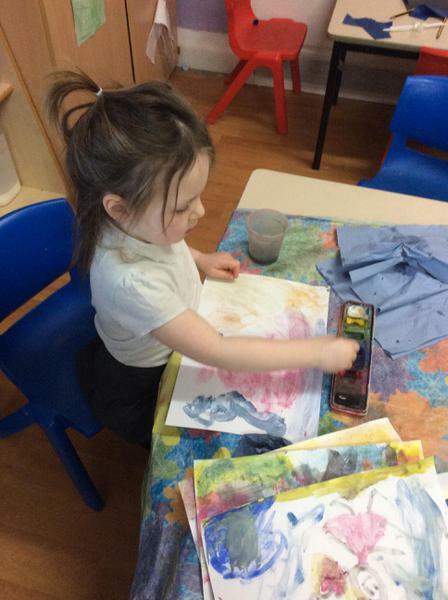 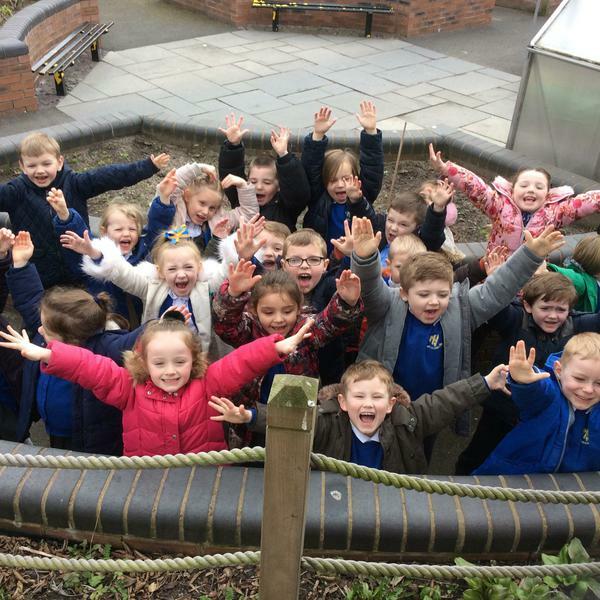 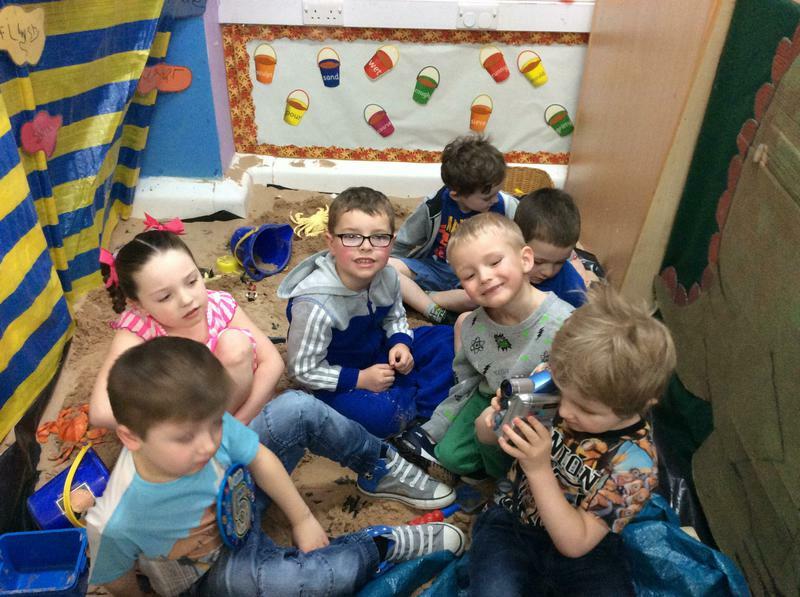 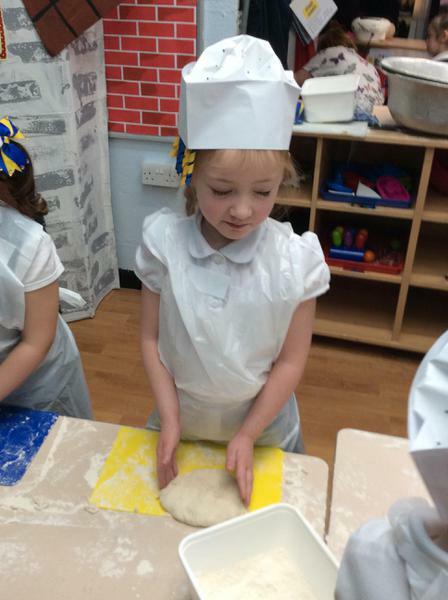 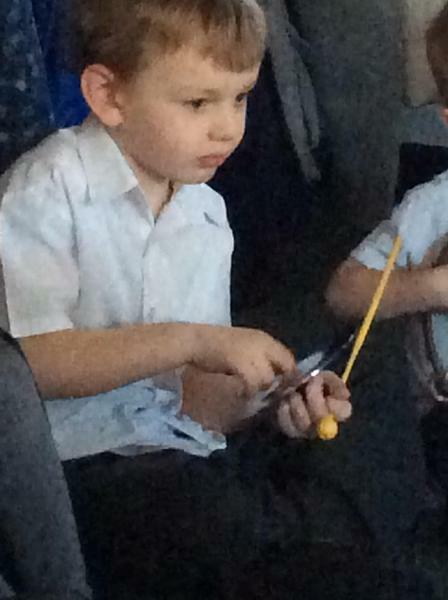 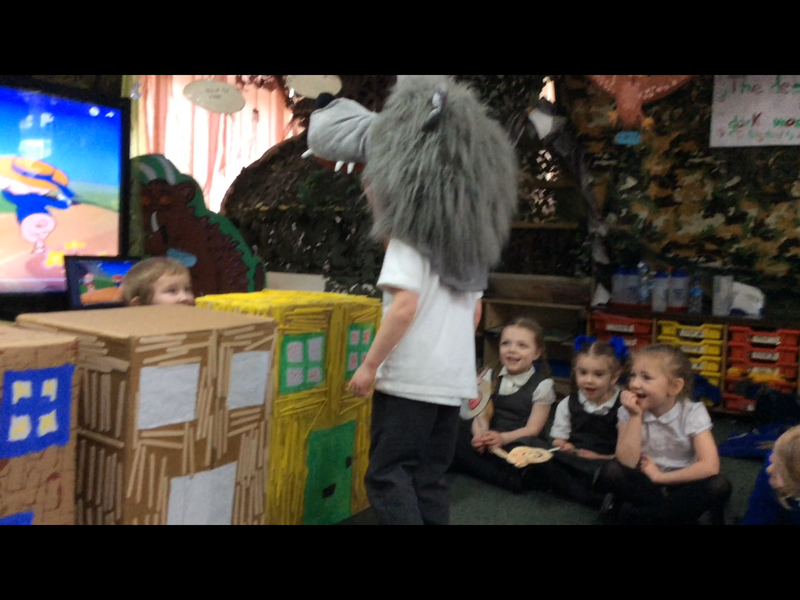 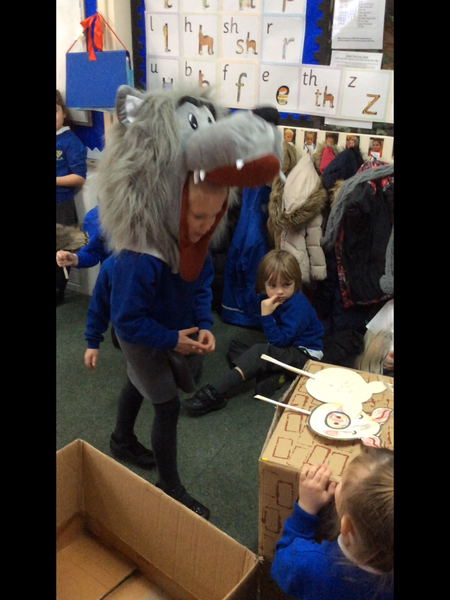 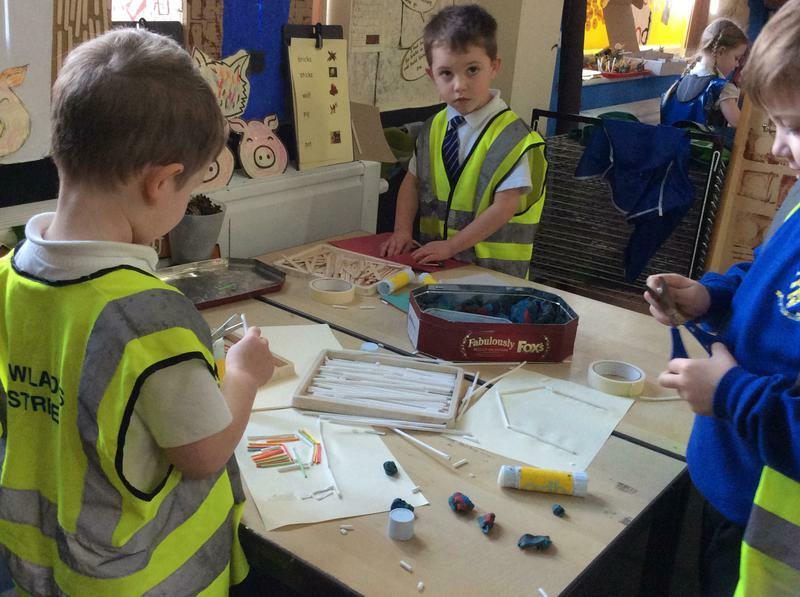 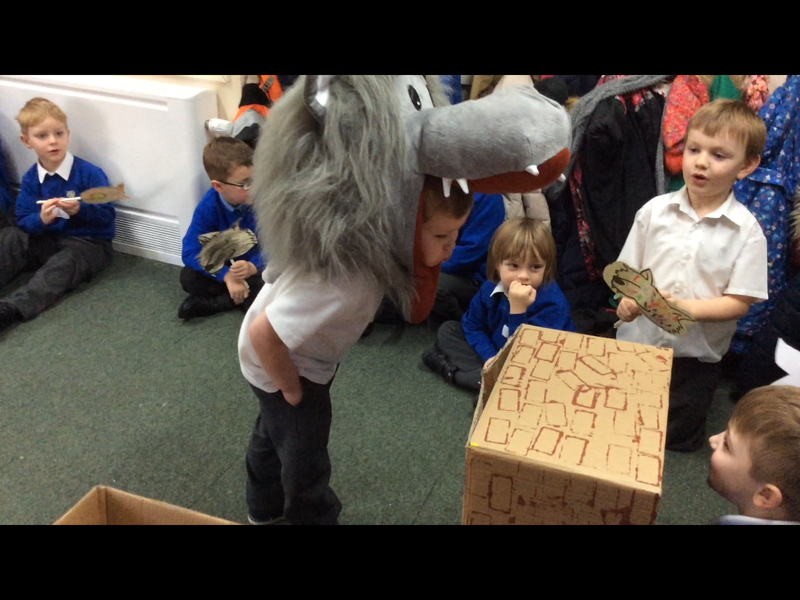 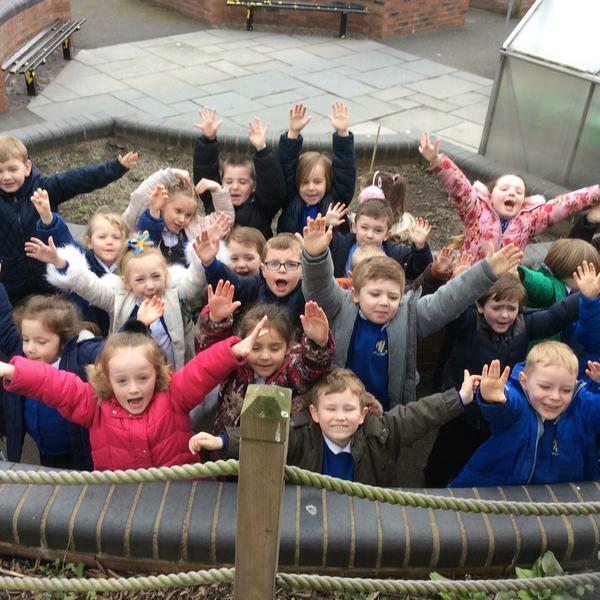 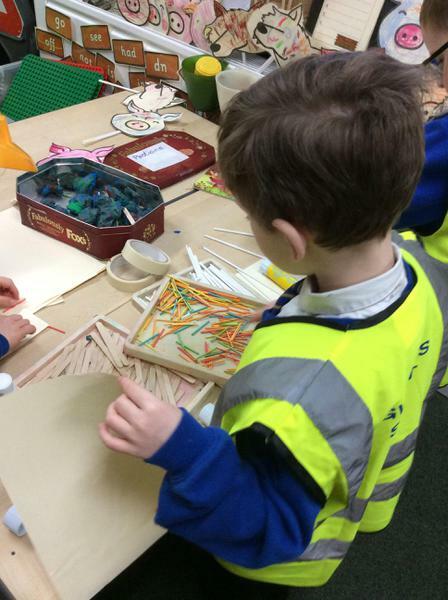 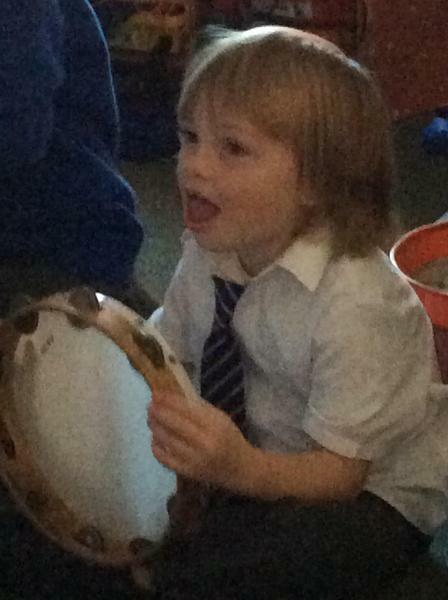 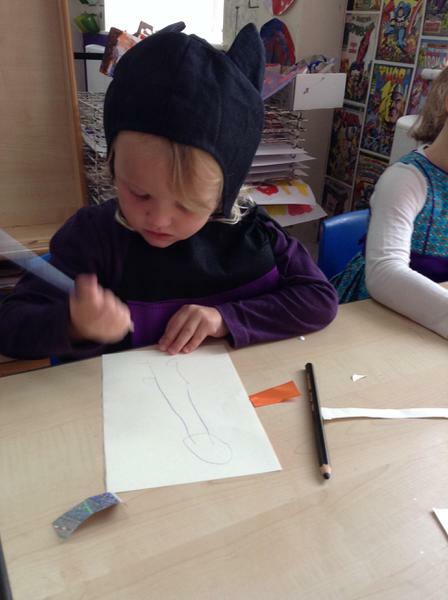 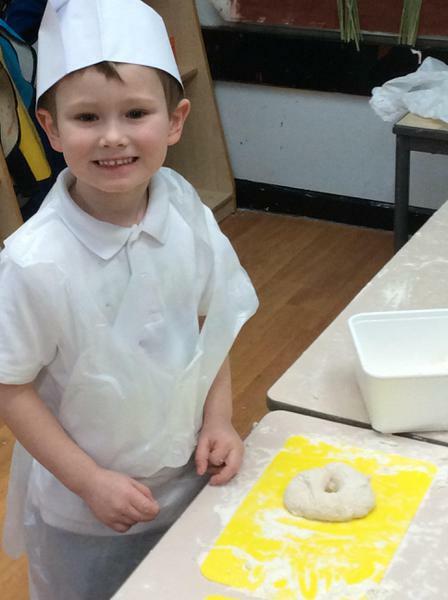 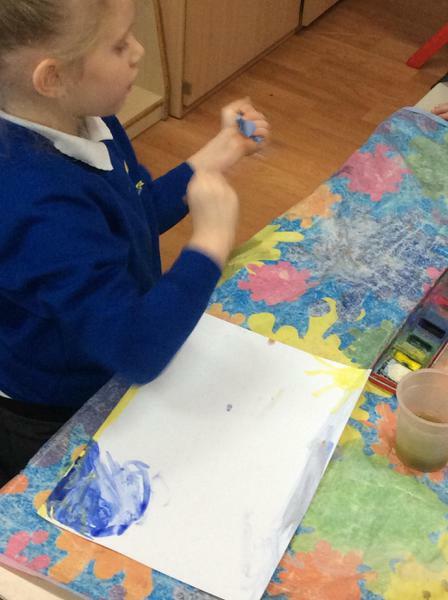 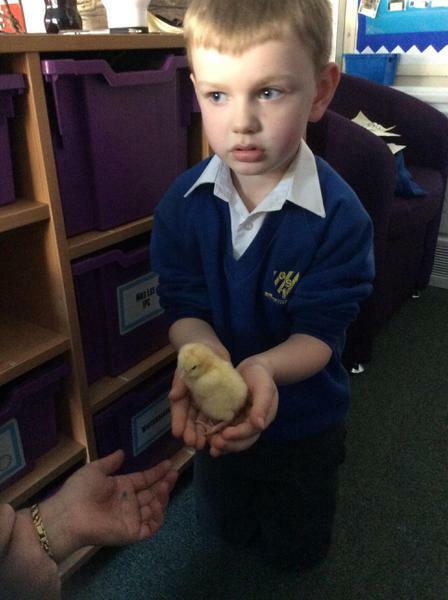 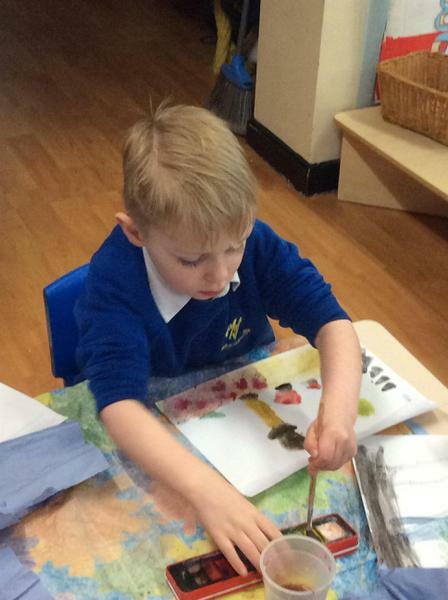 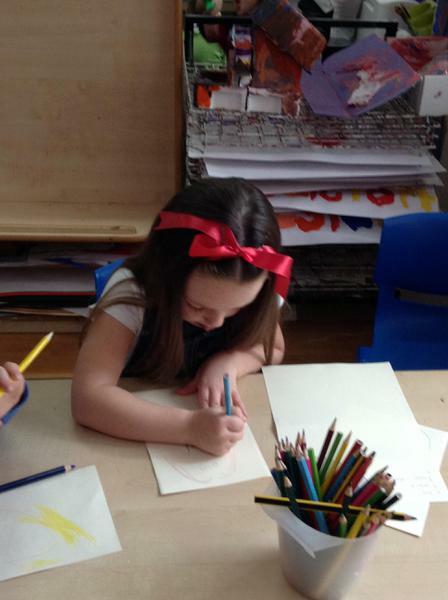 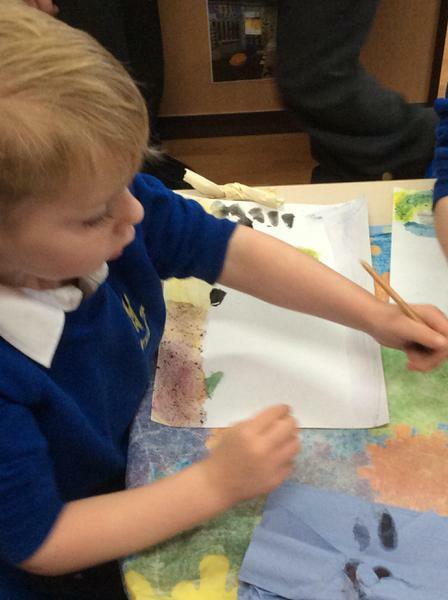 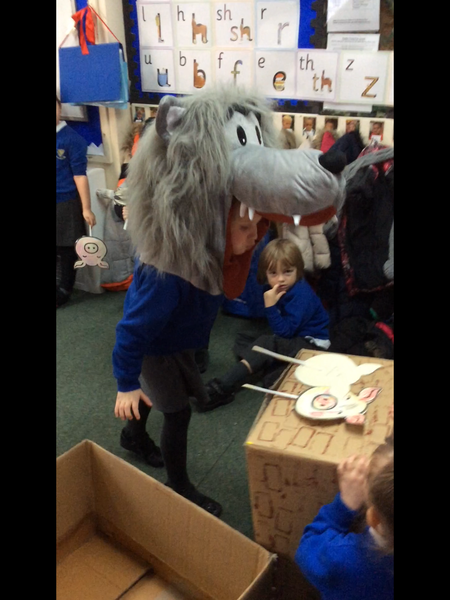 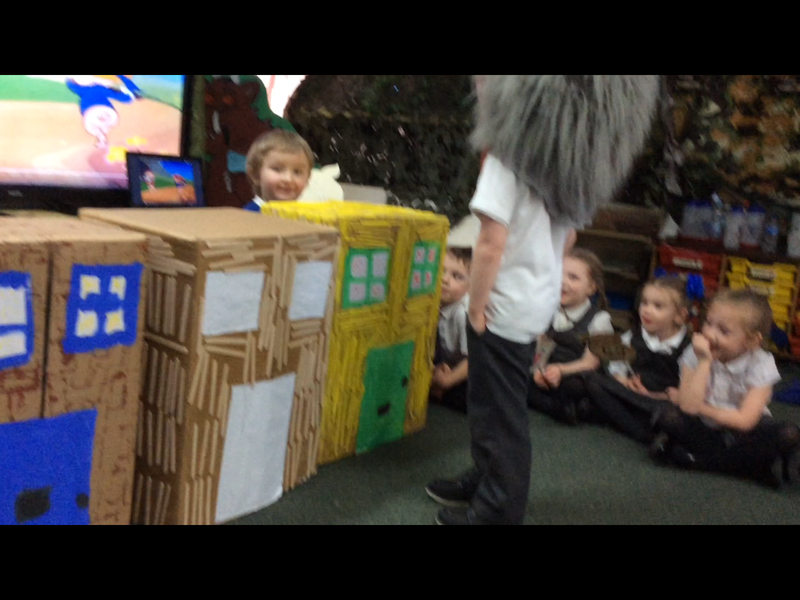 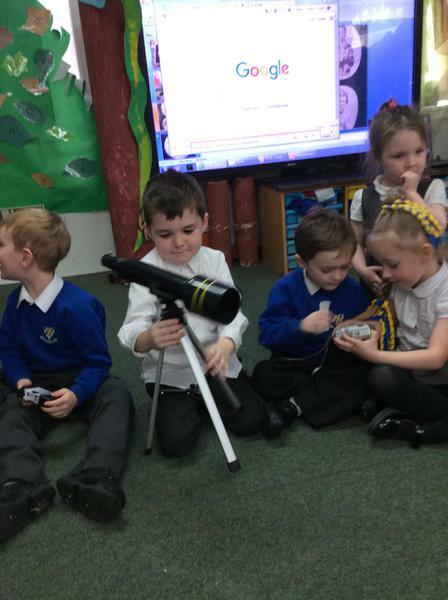 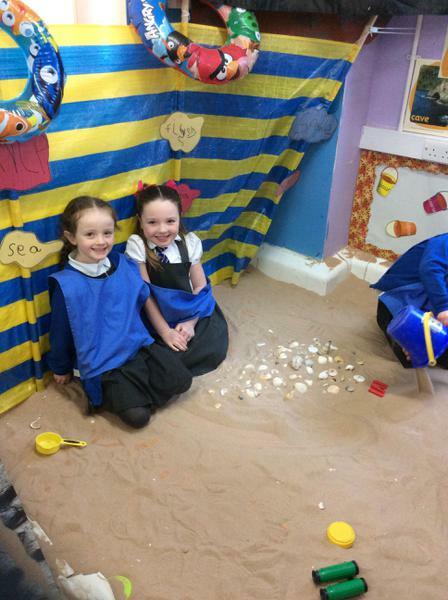 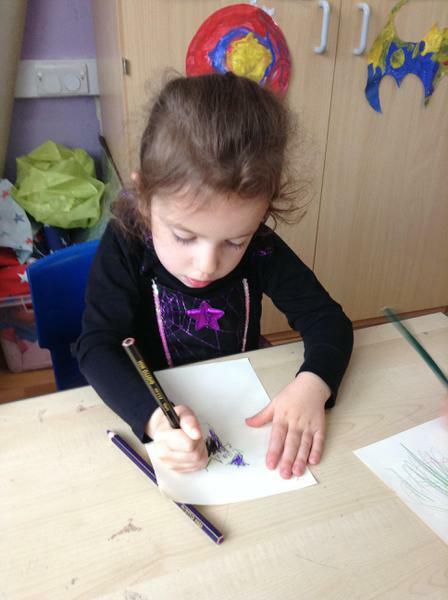 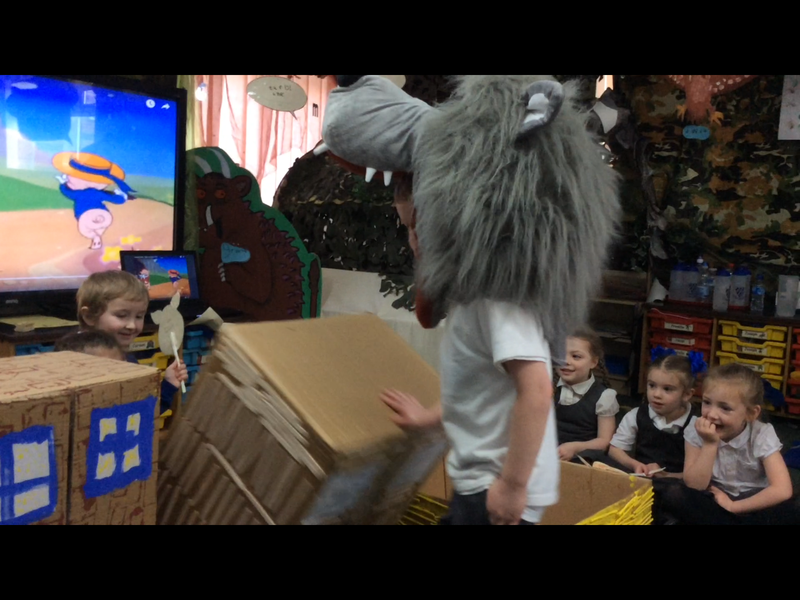 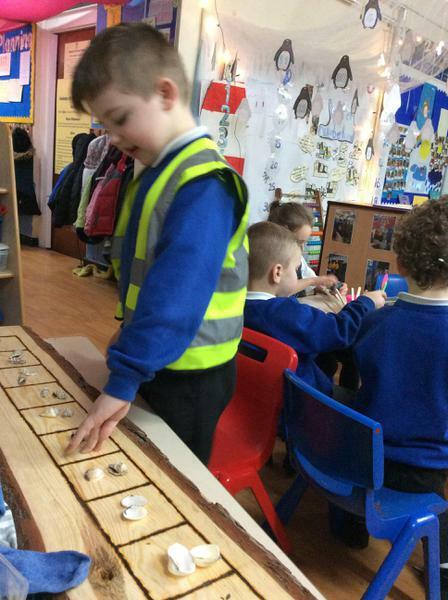 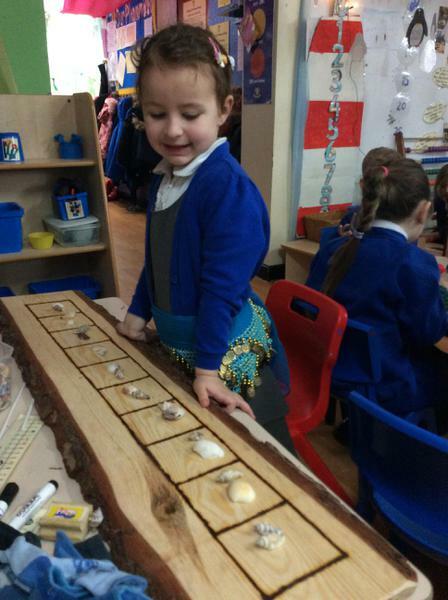 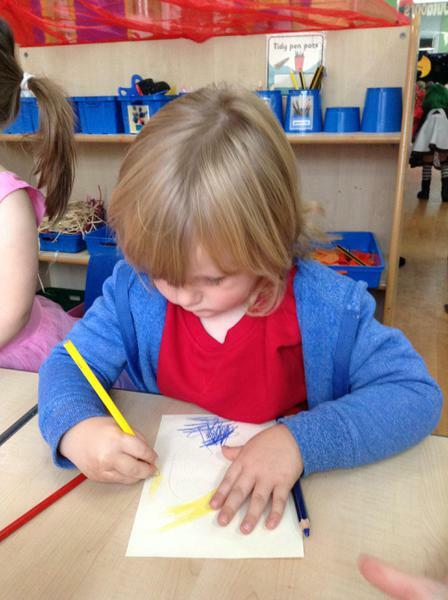 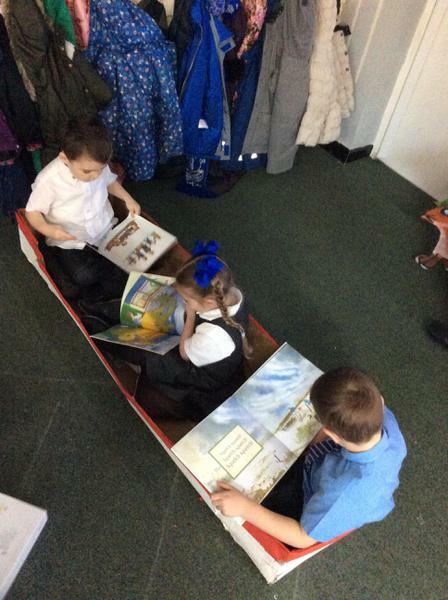 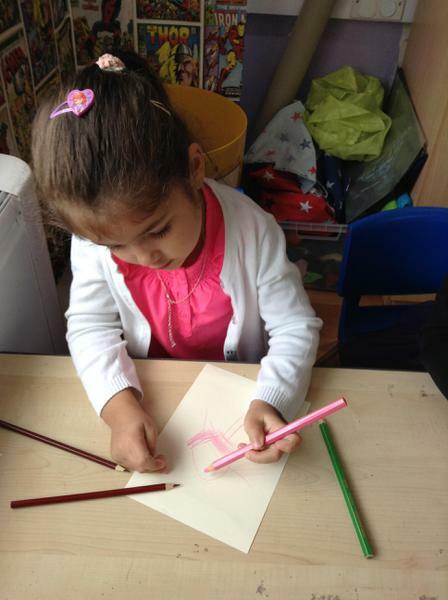 What a wonderful, exciting half term we have had in our class. 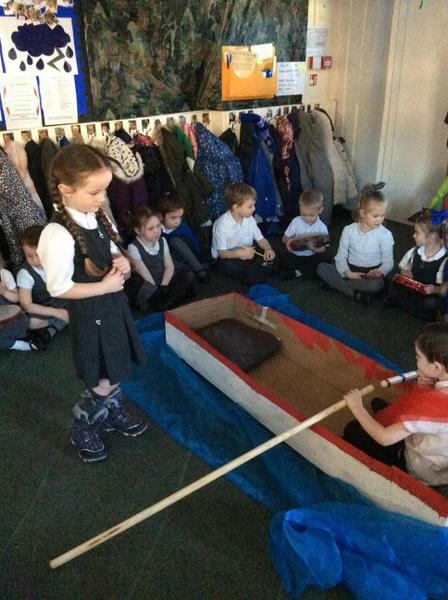 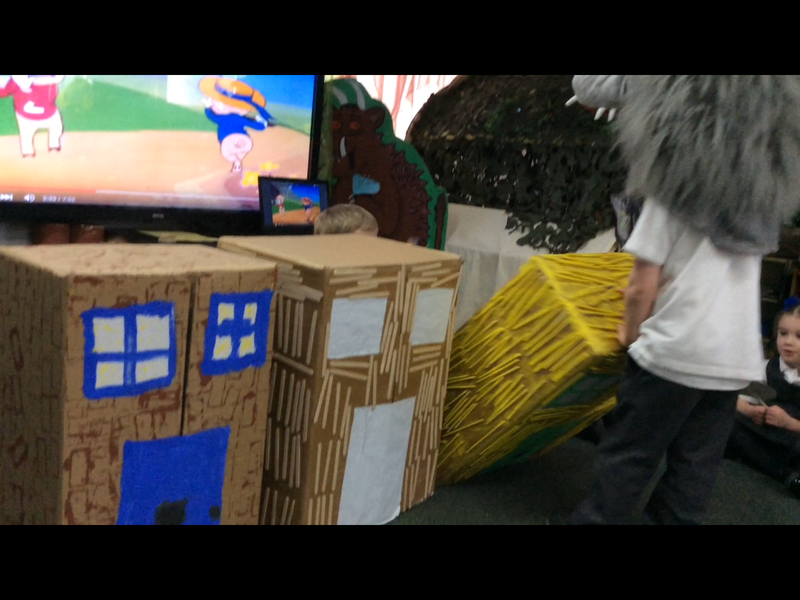 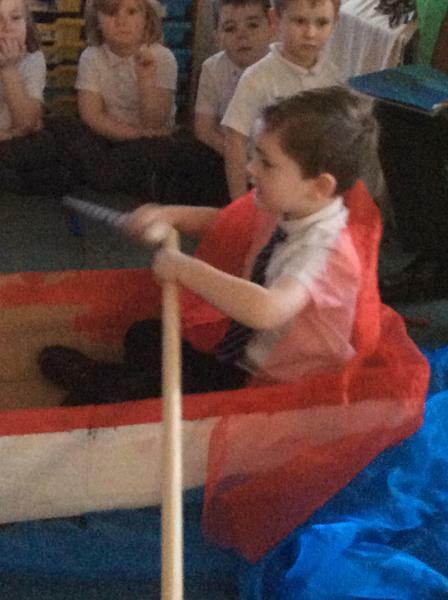 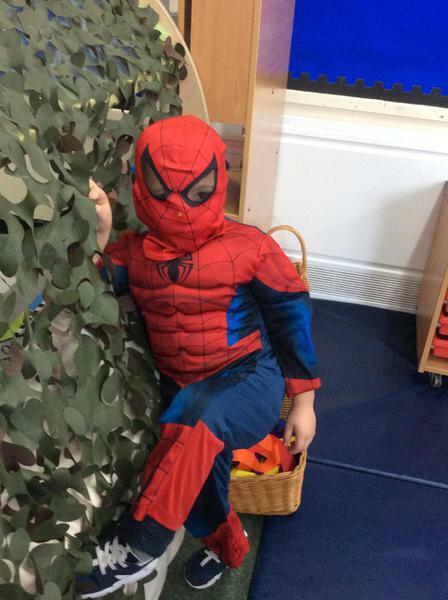 We have been having lots of exciting adventures, learning all about our 'Heroes' topic. 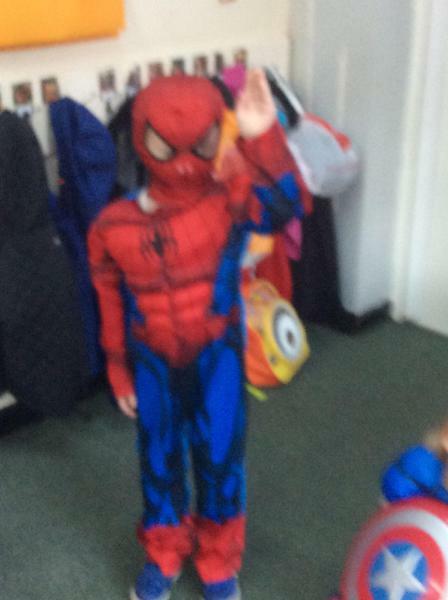 It has been wonderful to see the children discussing their favourite 'real life' heroes along with their 'Superheroes'. 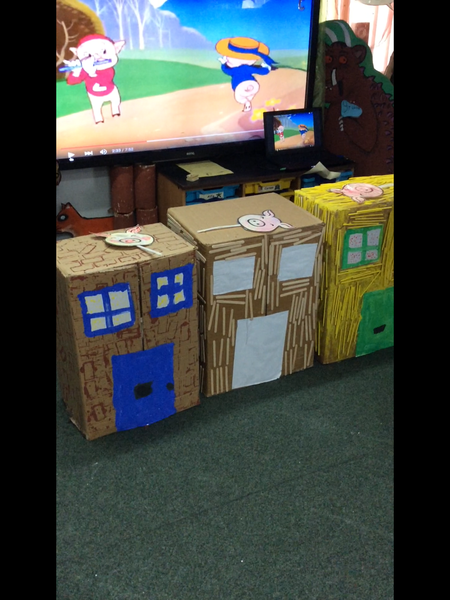 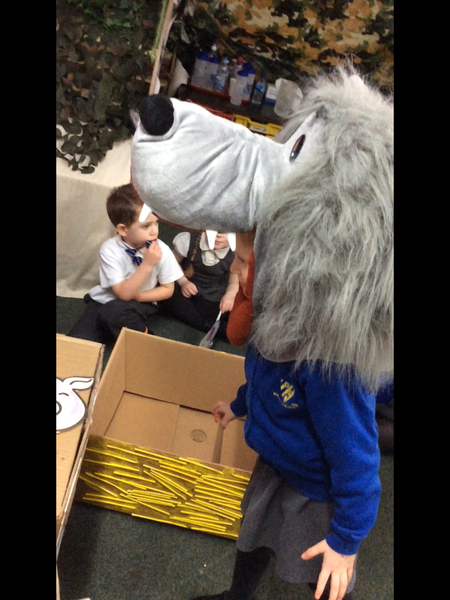 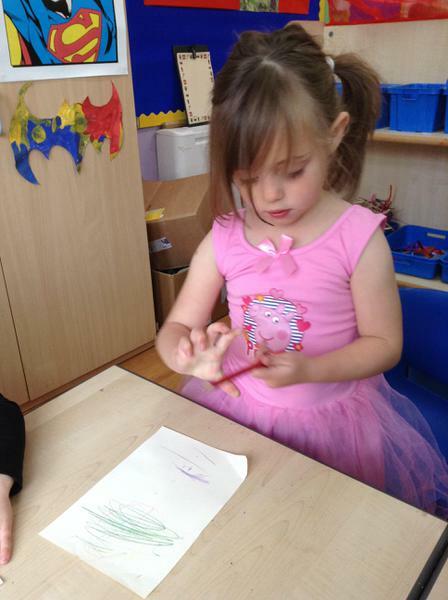 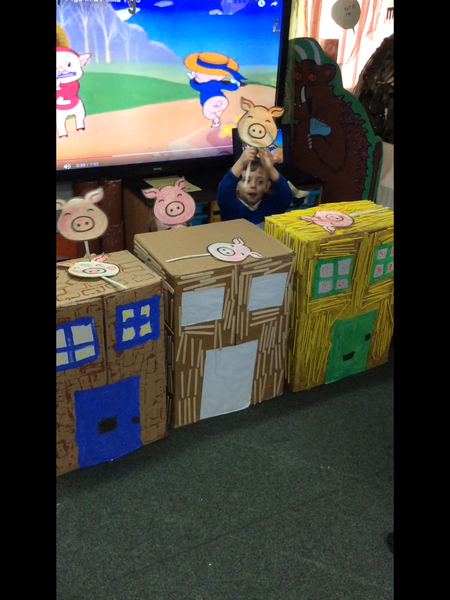 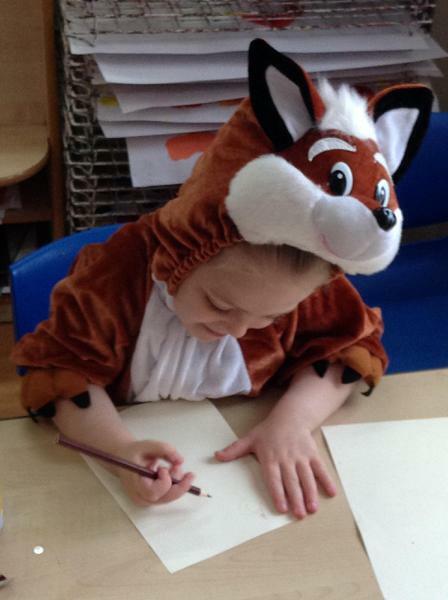 Thank you for all your hard work and enthusiasm, preparing the children for our dress up days. 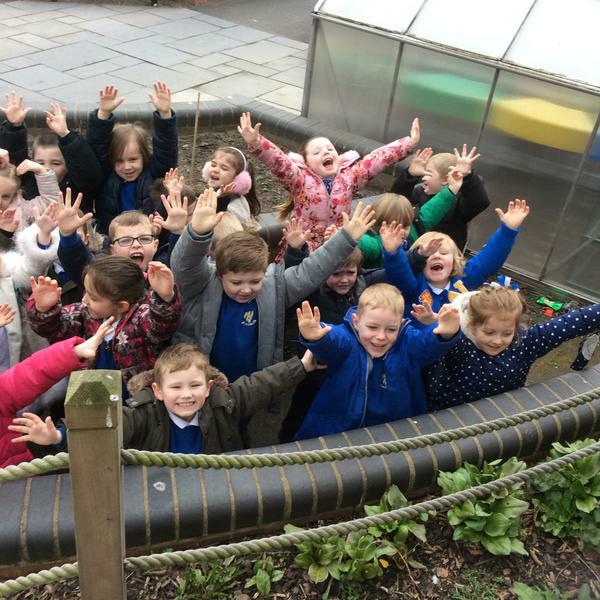 They certainly enjoyed themselves. 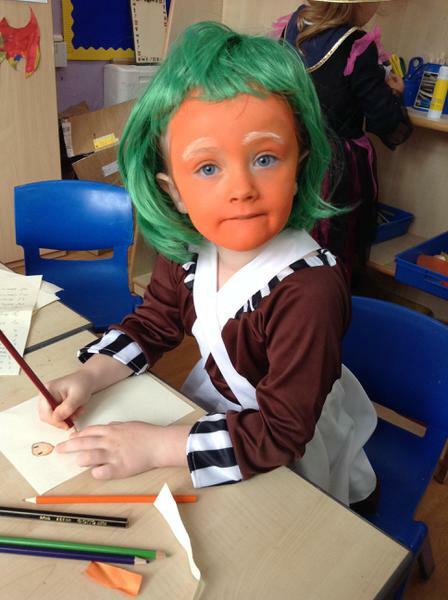 We hope you enjoy the photographs which show just a few of the fantastic costumes. 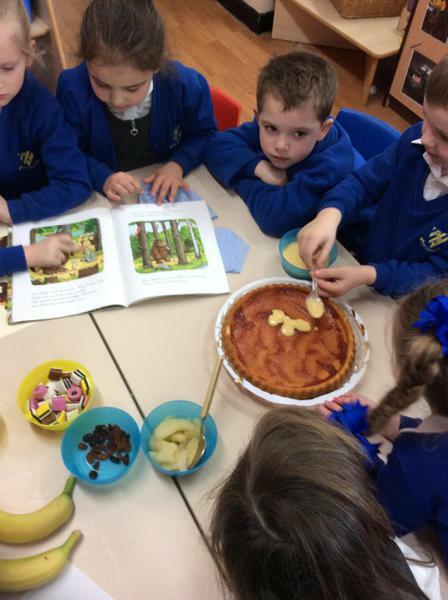 The children enjoy hearing stories written by many different, exciting authors. 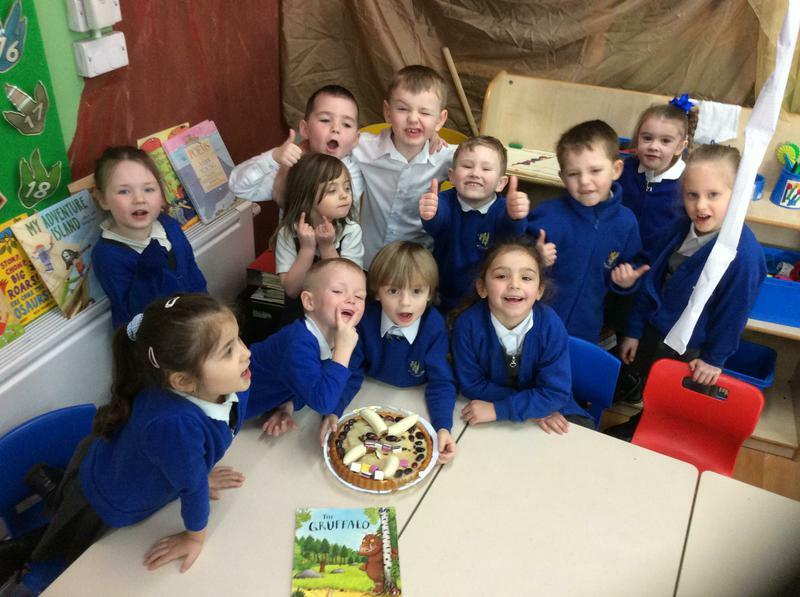 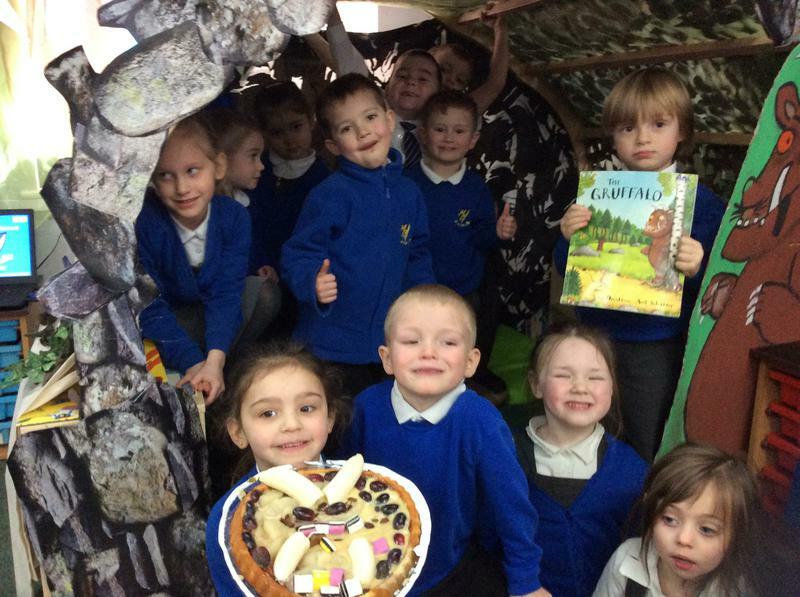 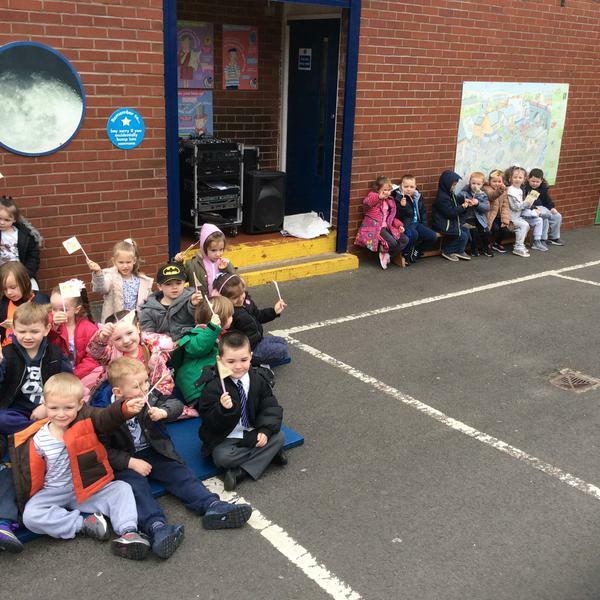 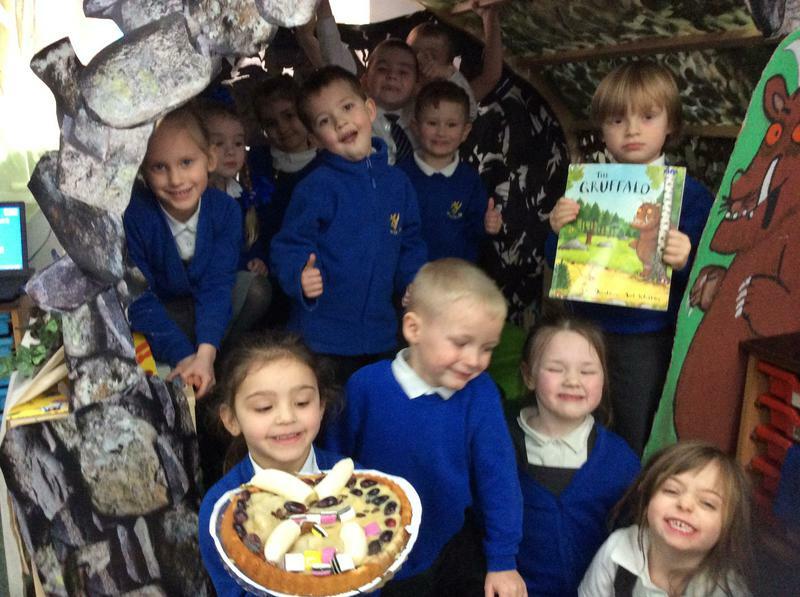 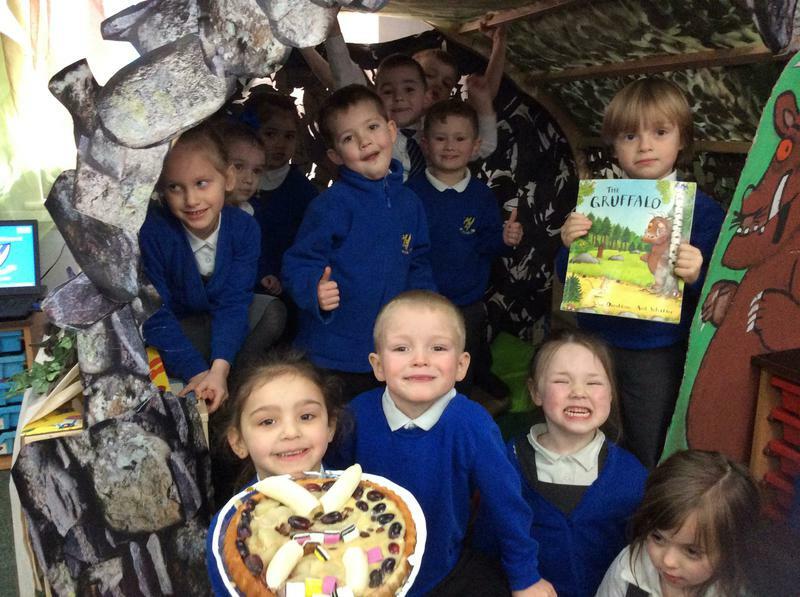 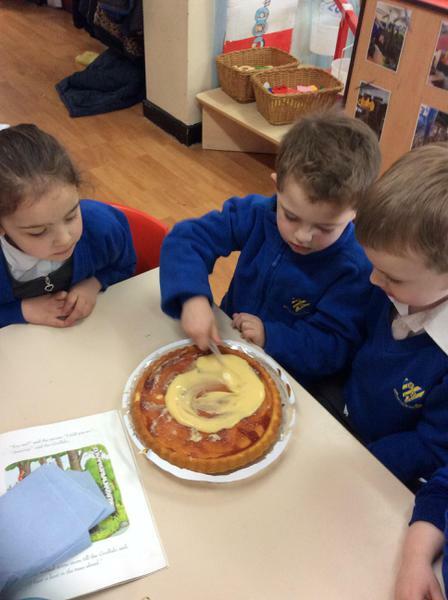 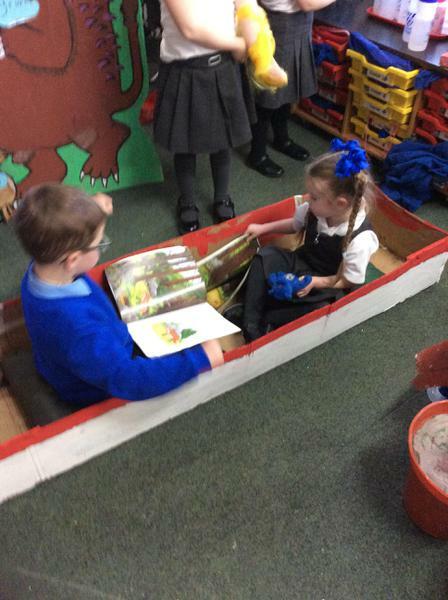 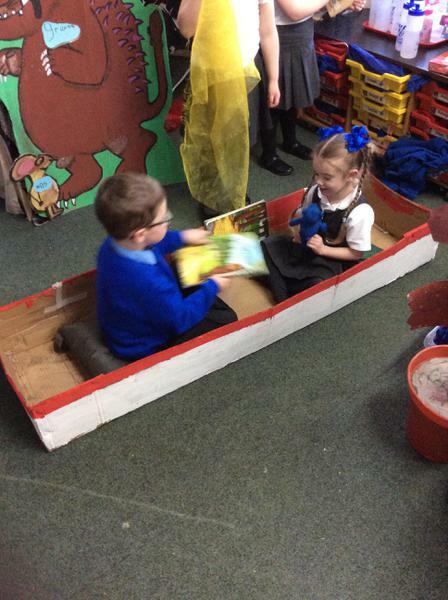 As a school, we celebrated the work of Roald Dahl, and in Foundation 2 we enjoyed listening to The Giraffe, the Pelly and Me. 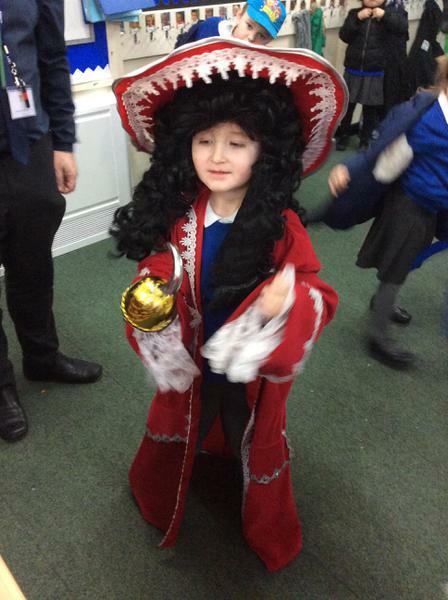 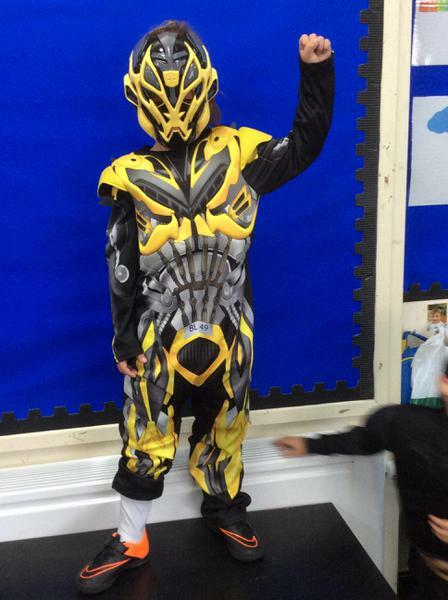 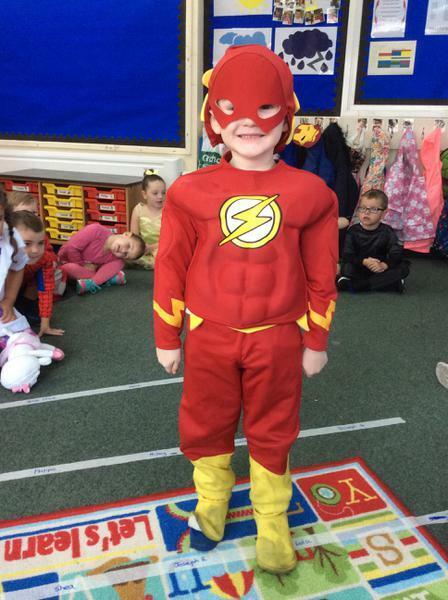 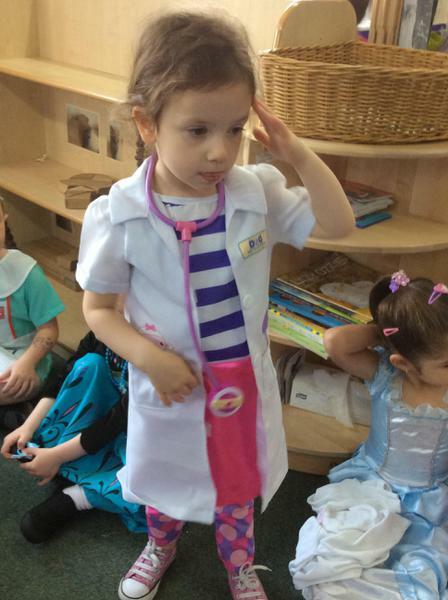 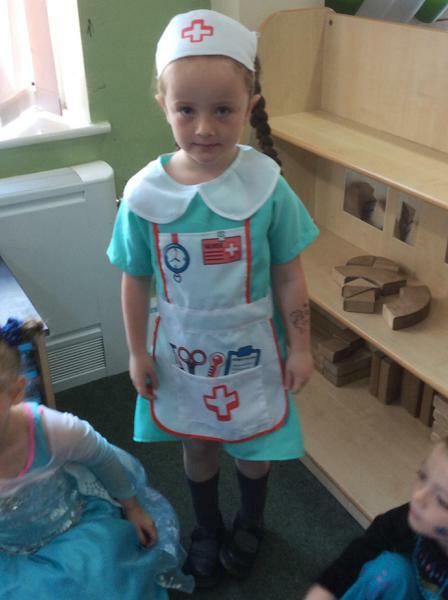 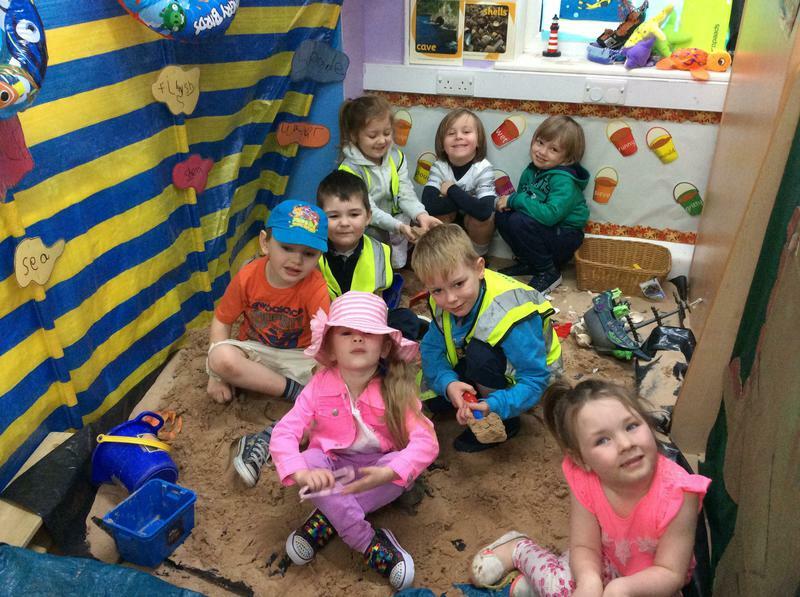 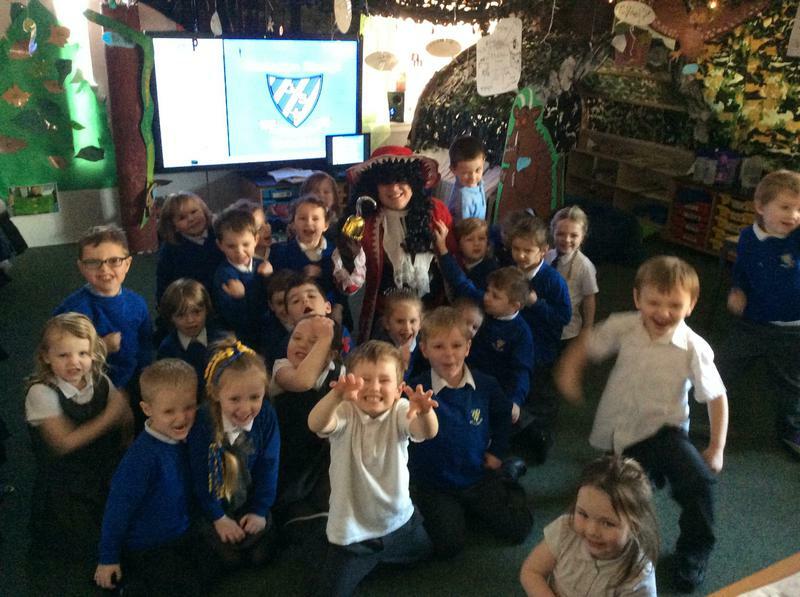 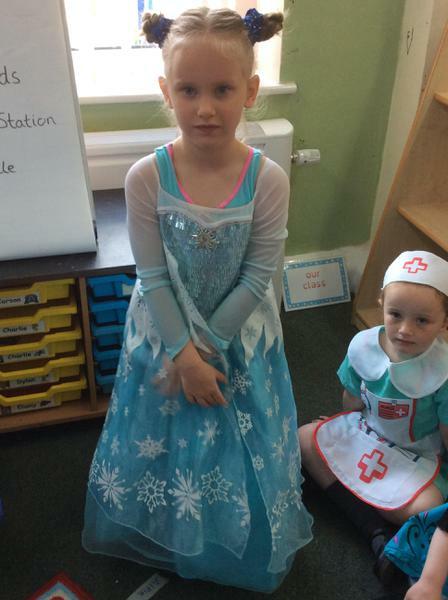 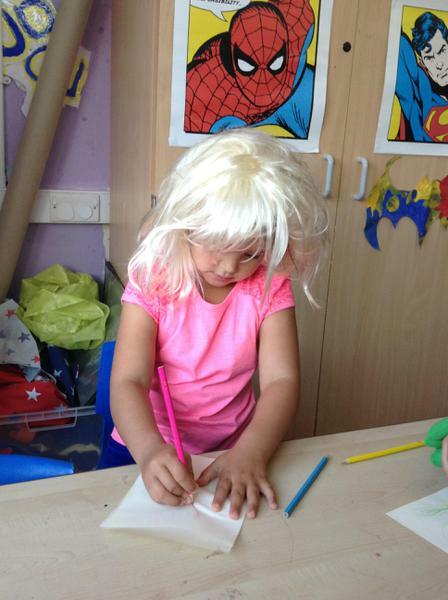 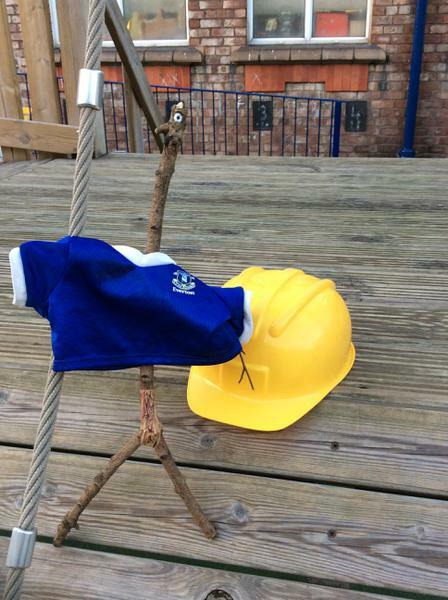 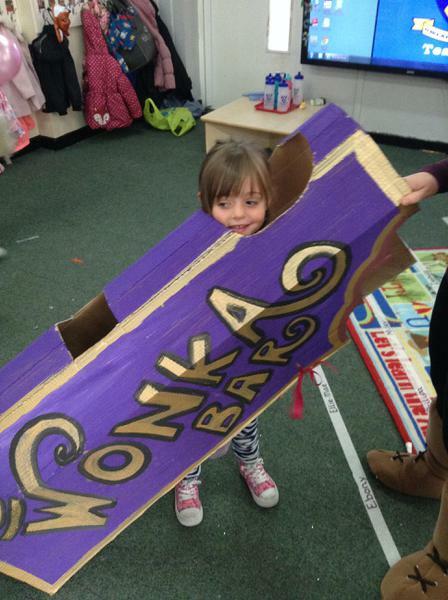 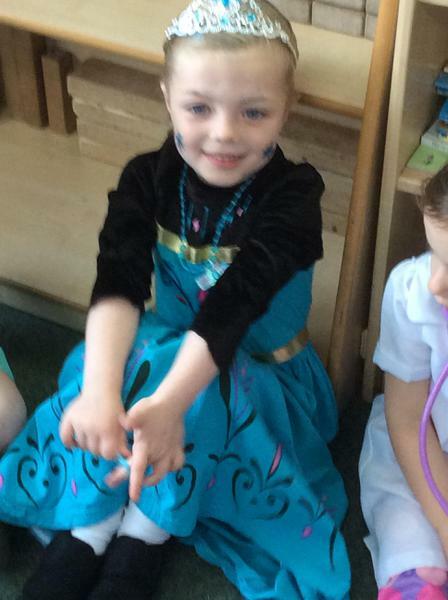 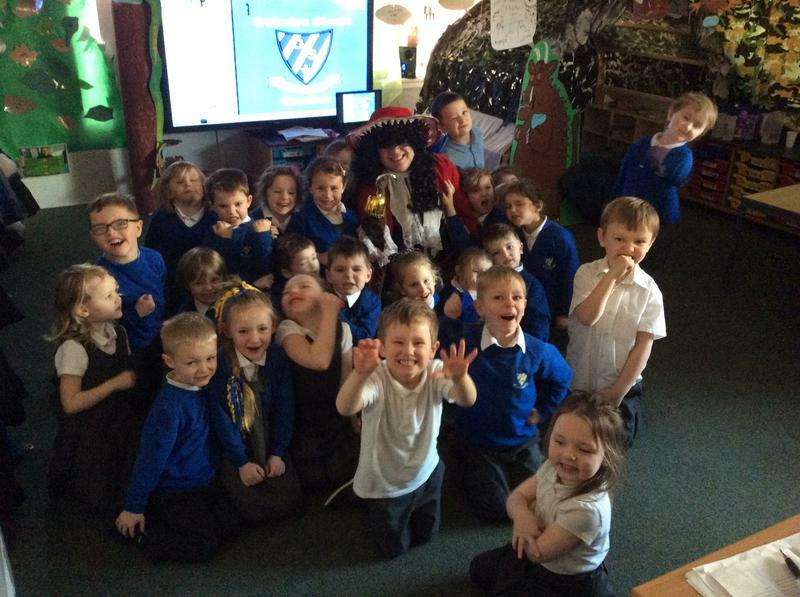 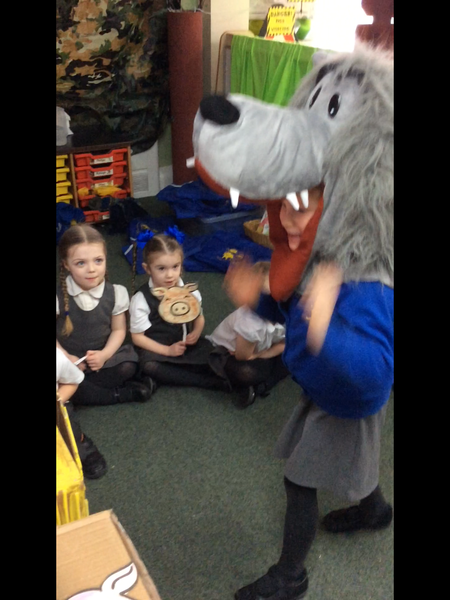 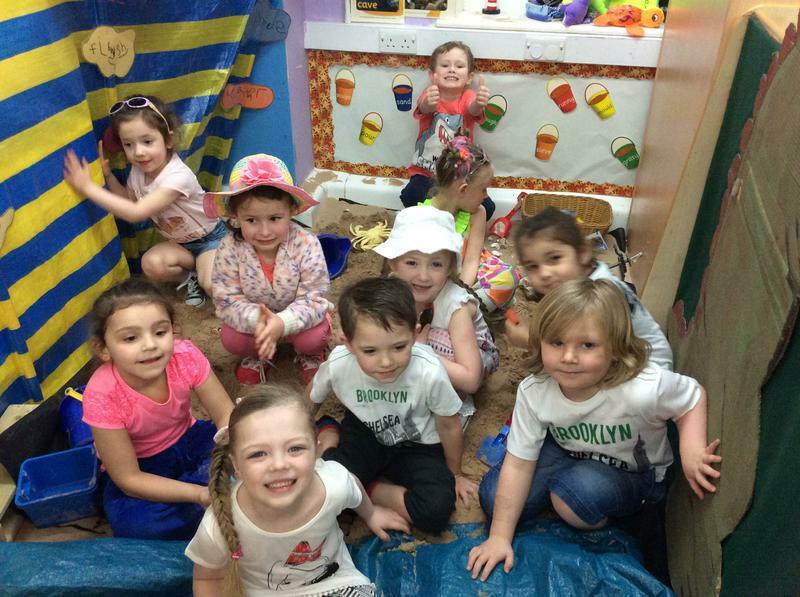 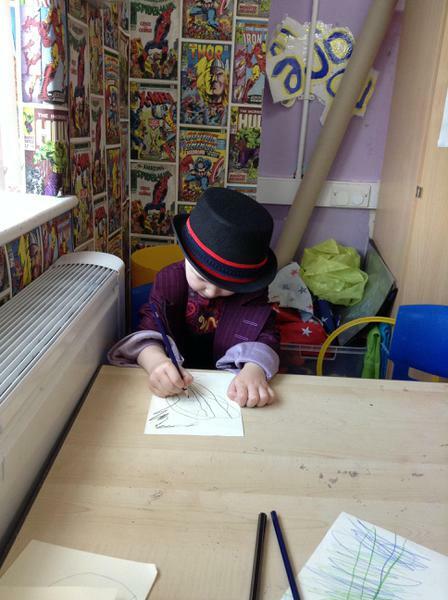 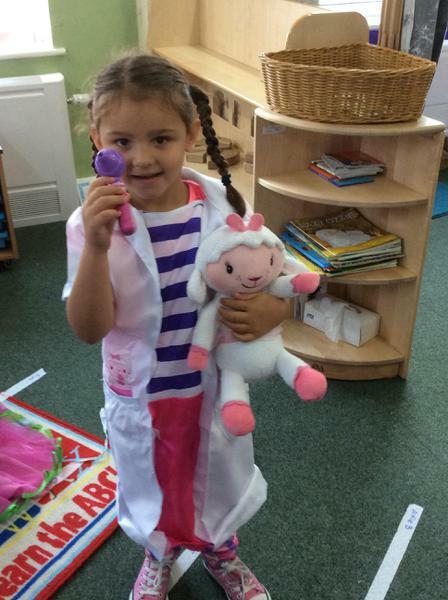 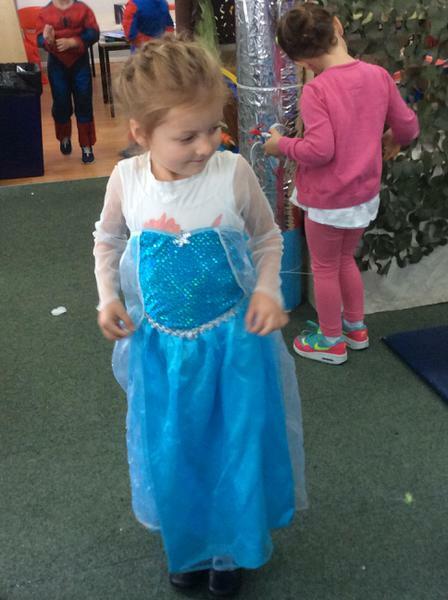 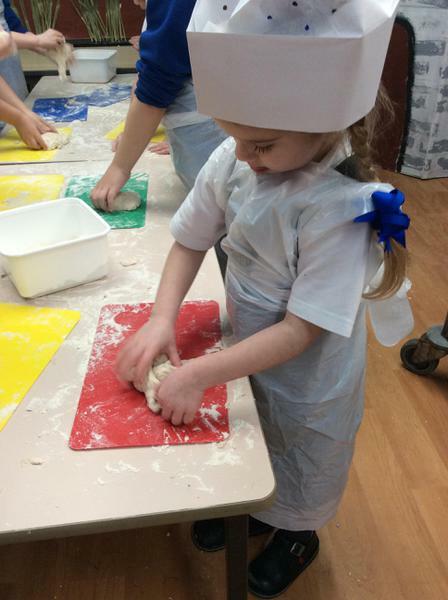 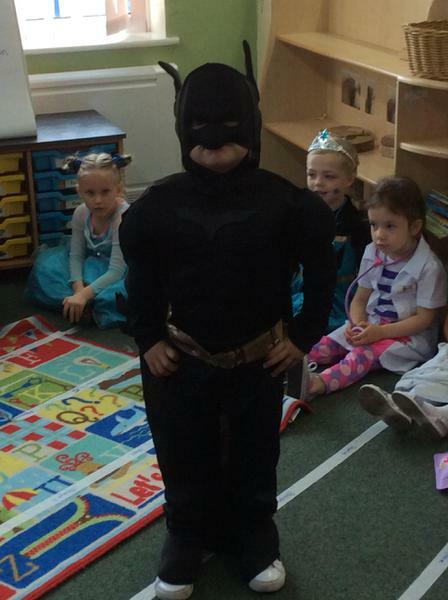 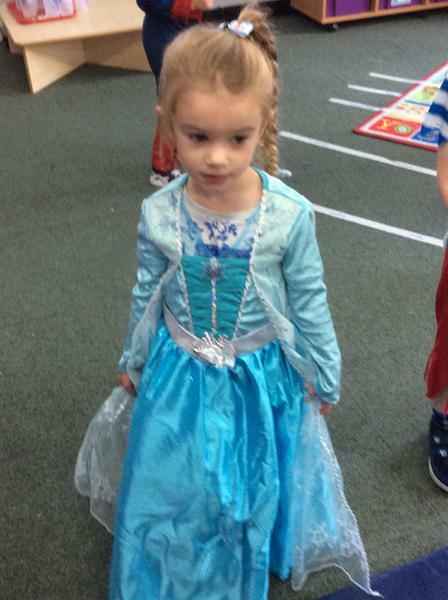 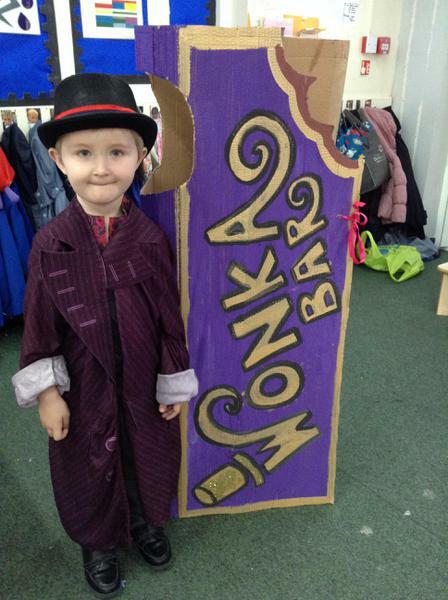 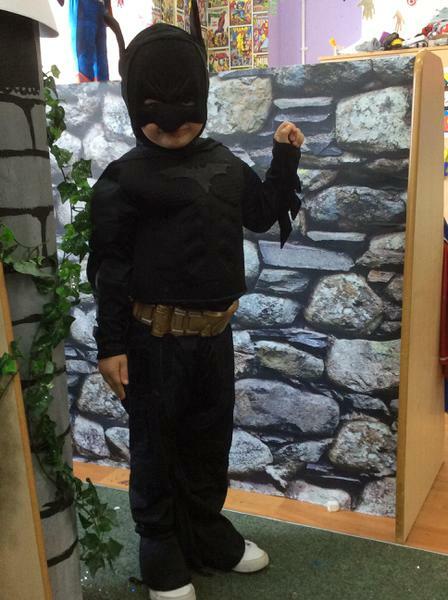 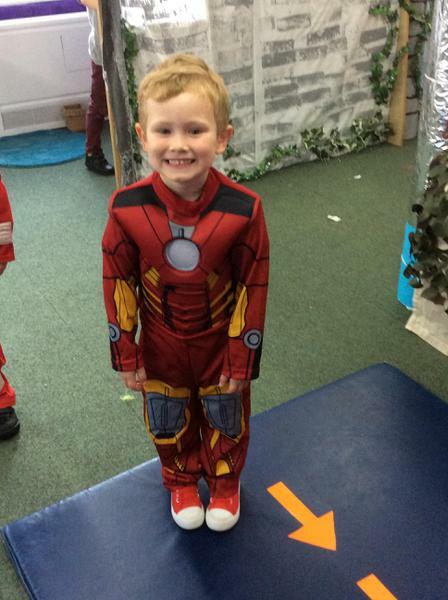 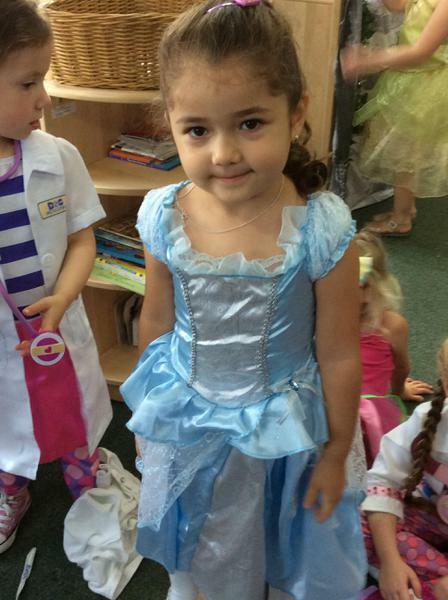 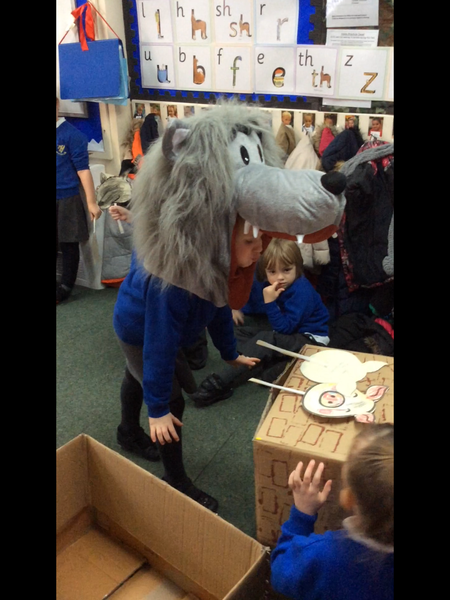 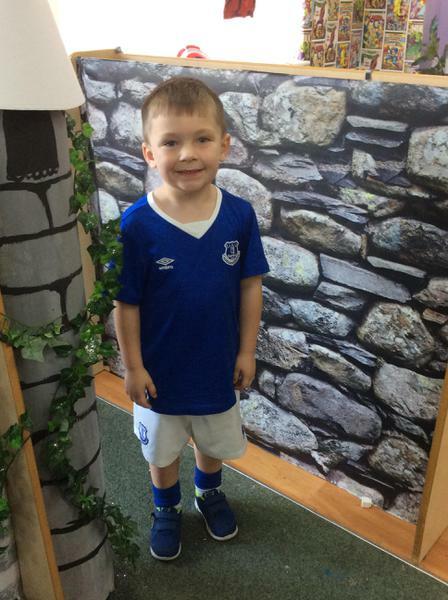 We hope you enjoy the photographs of our fantastic dress up day! 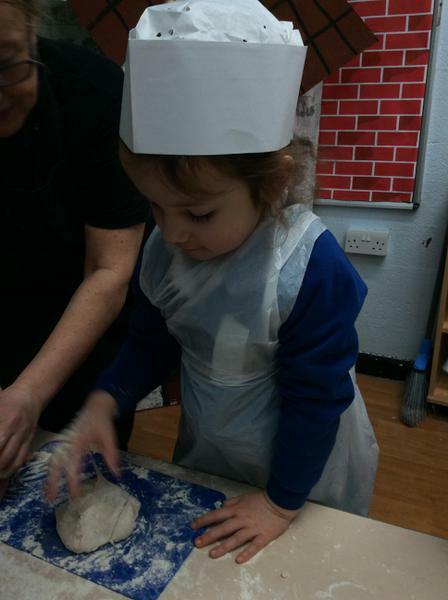 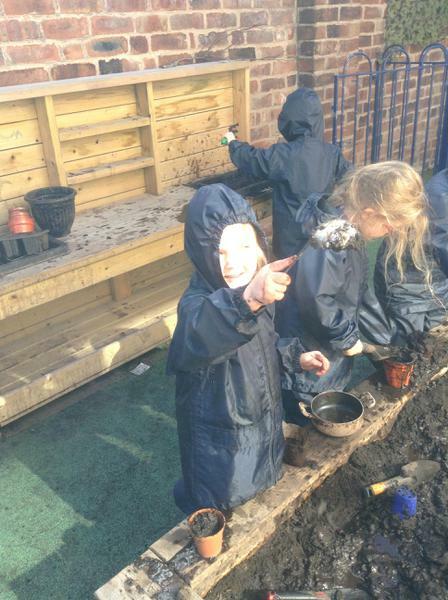 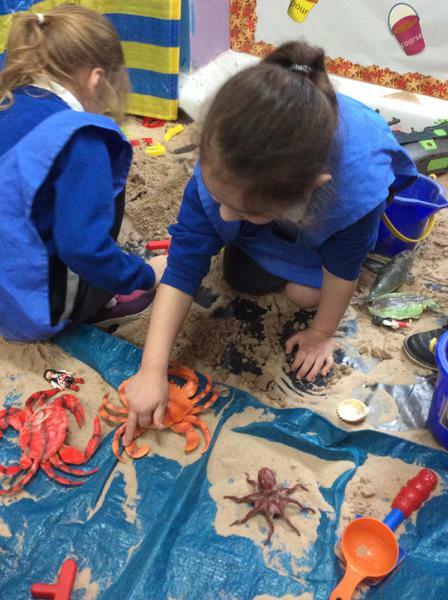 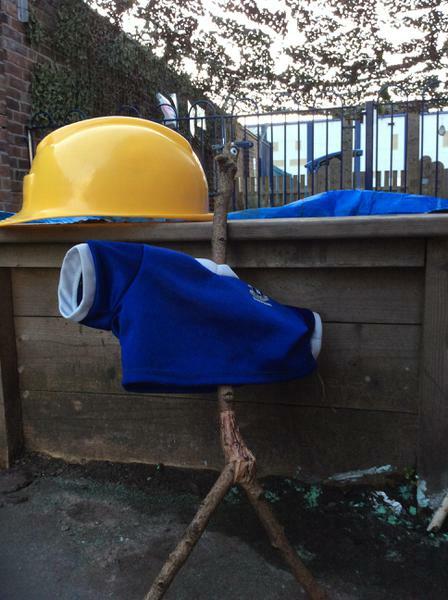 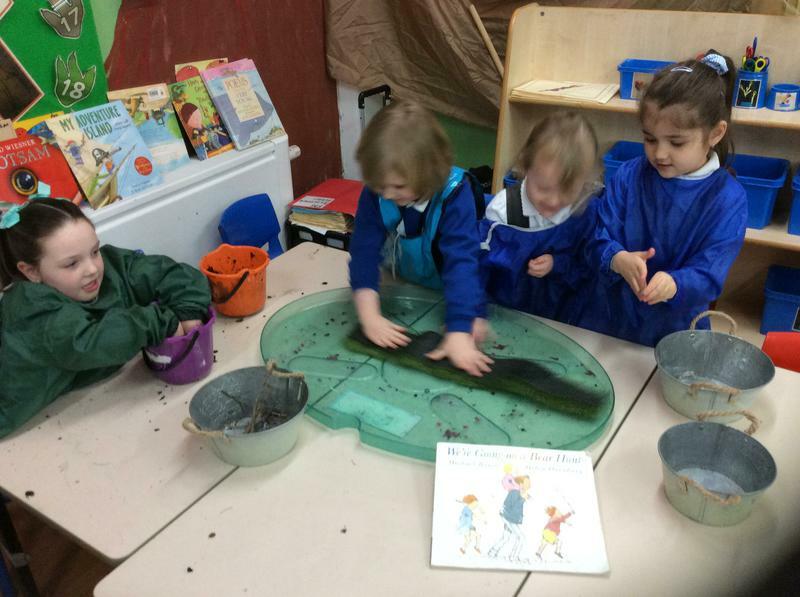 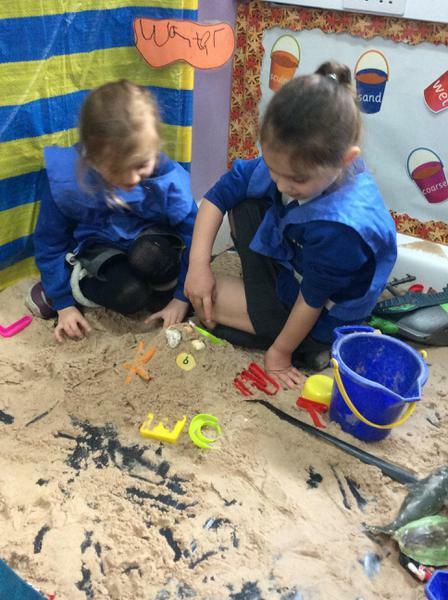 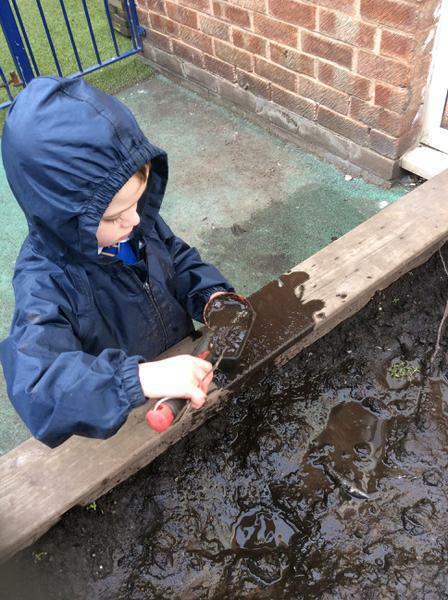 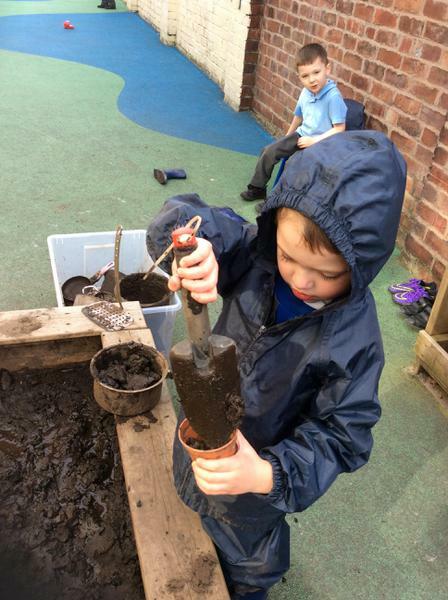 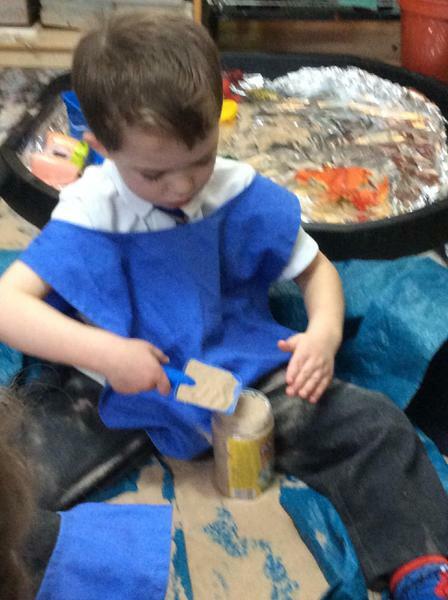 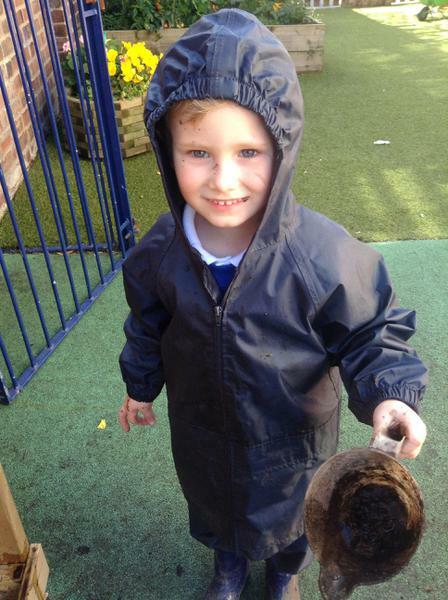 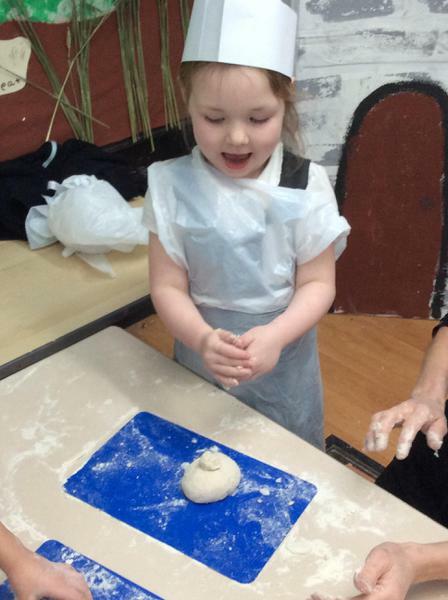 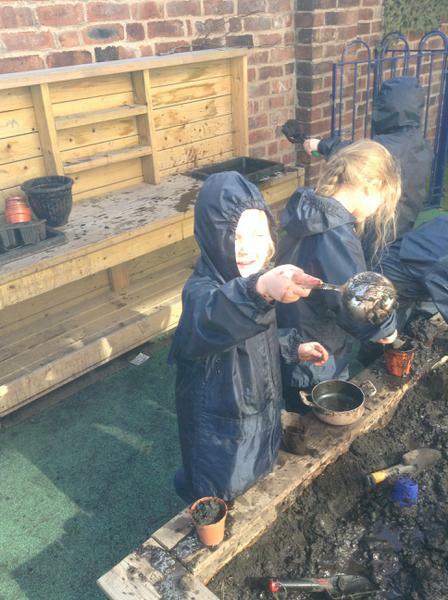 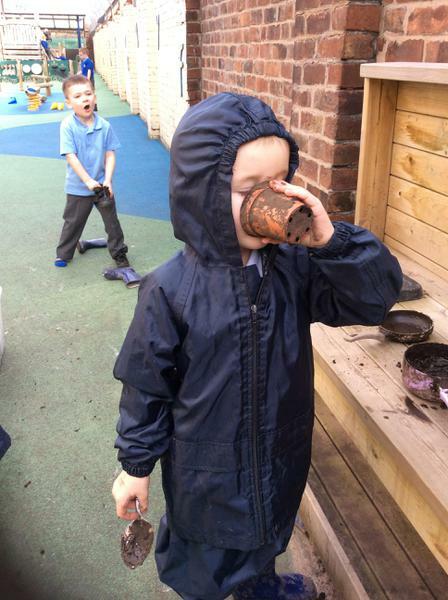 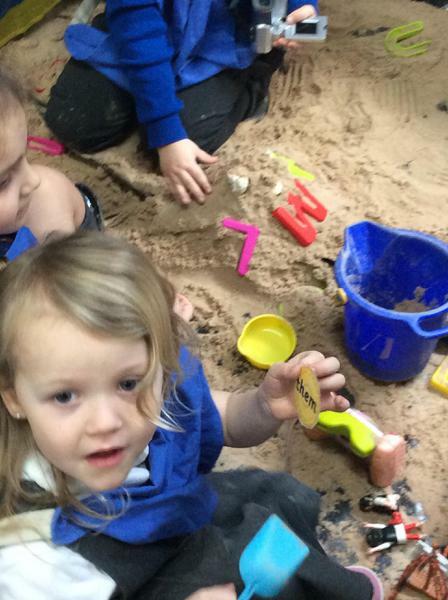 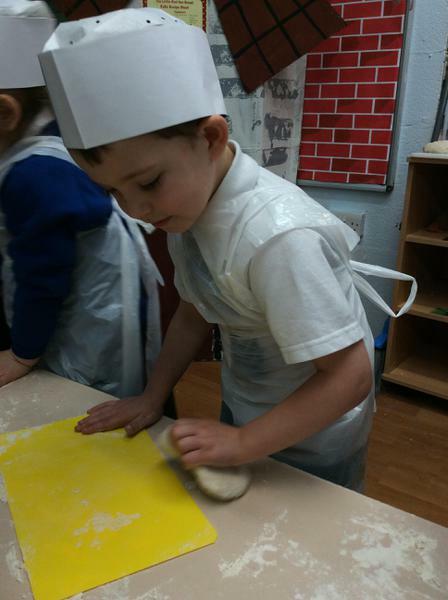 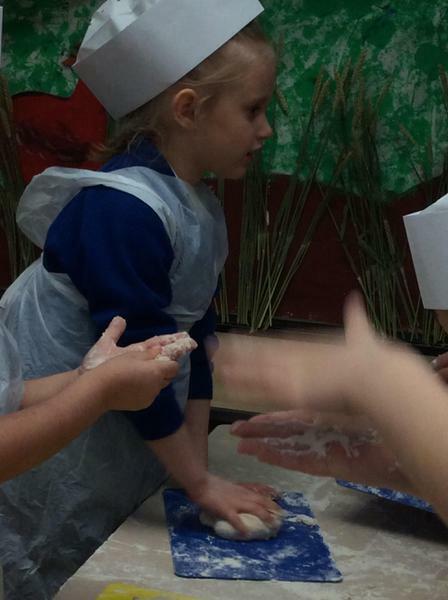 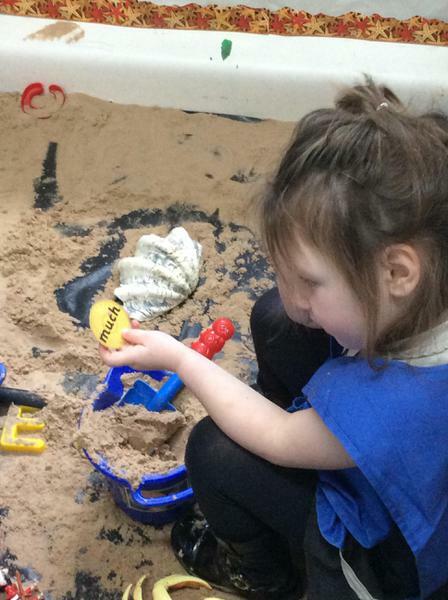 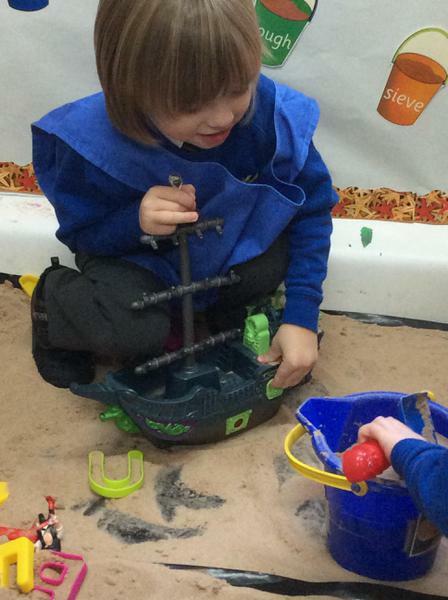 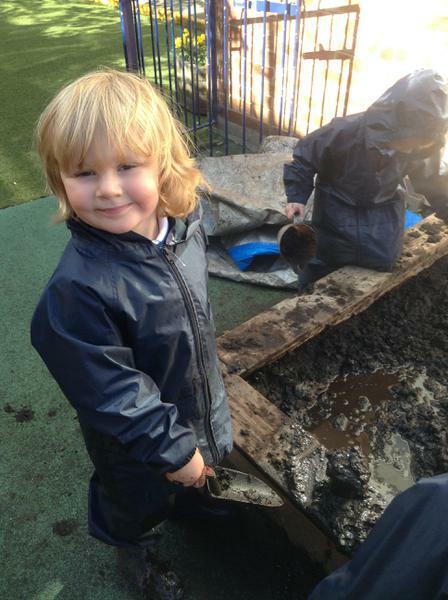 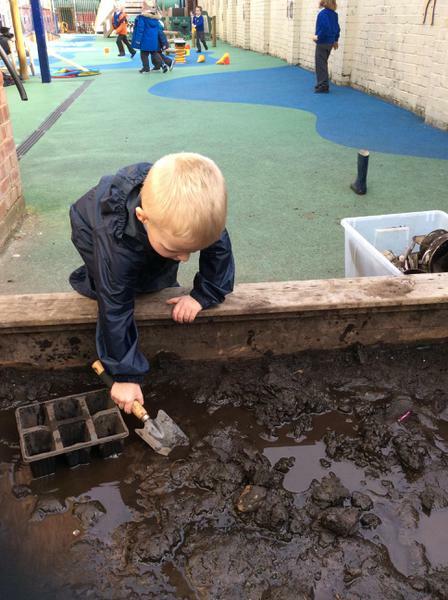 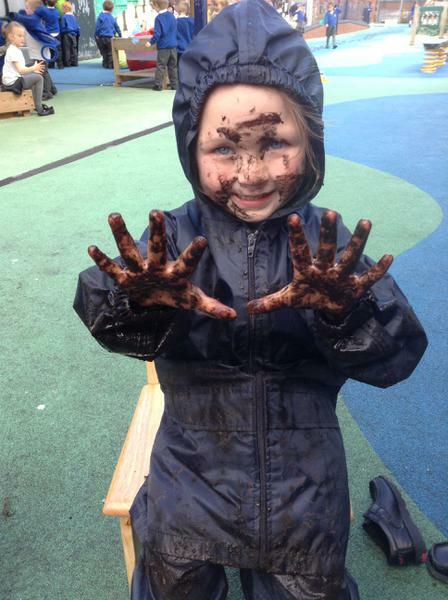 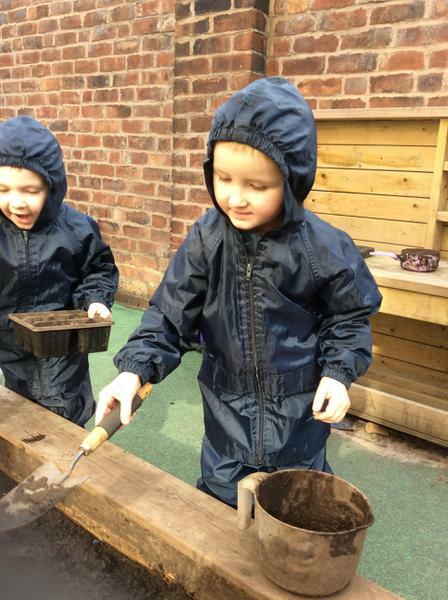 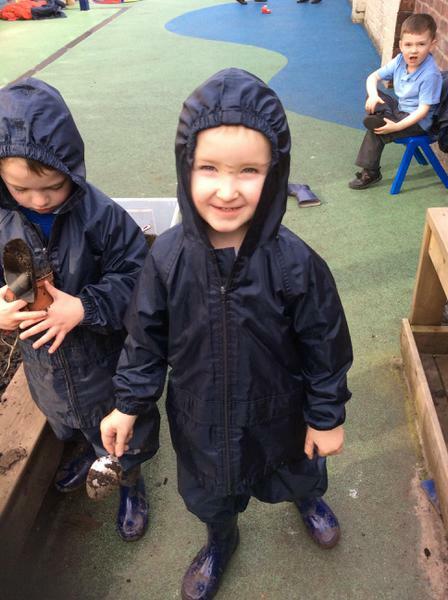 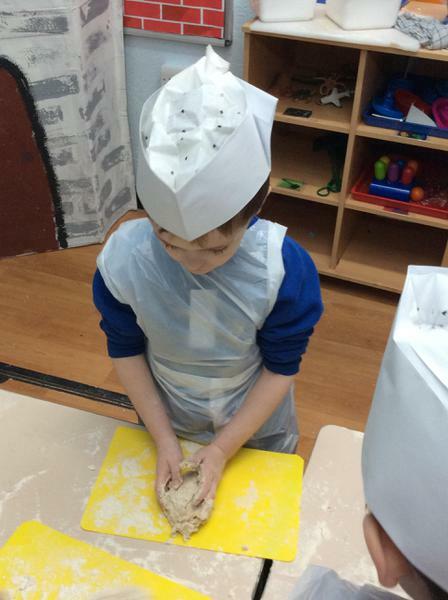 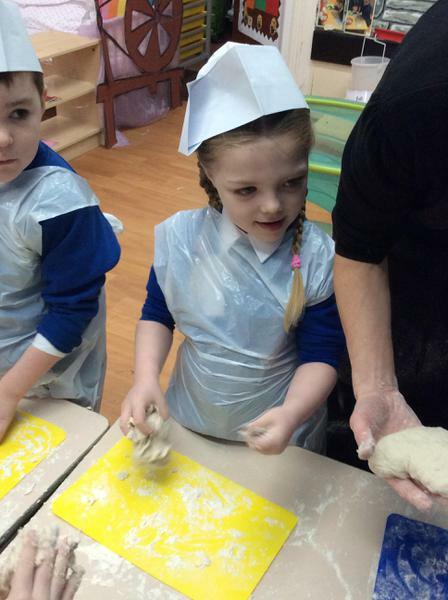 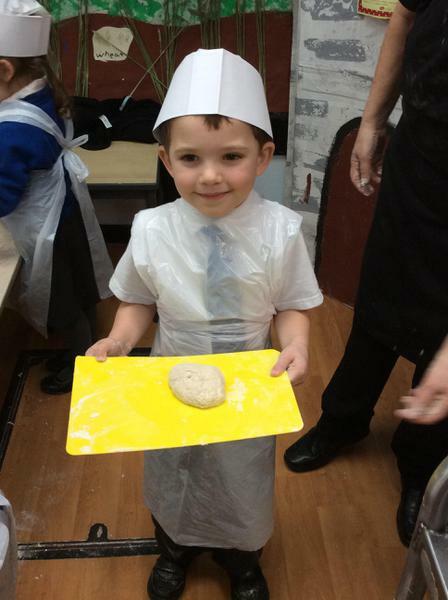 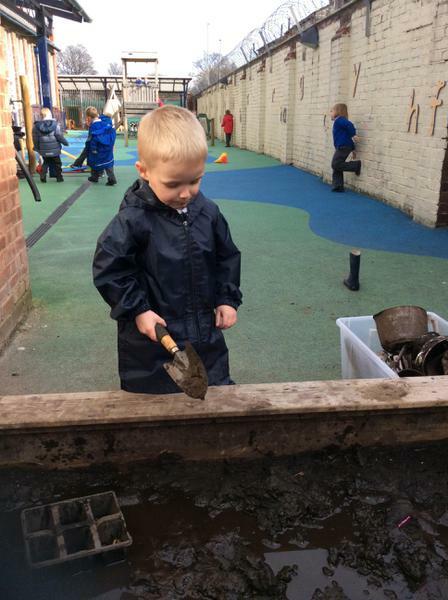 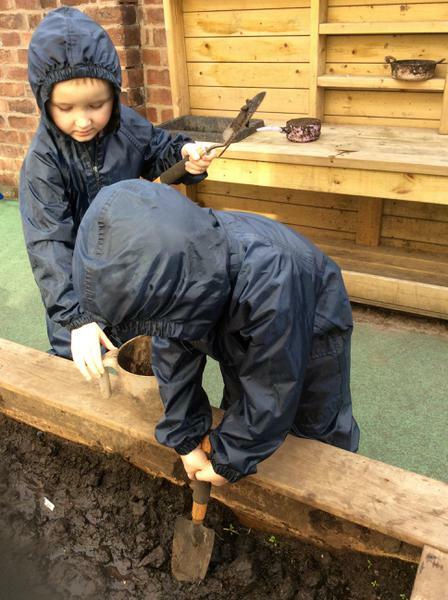 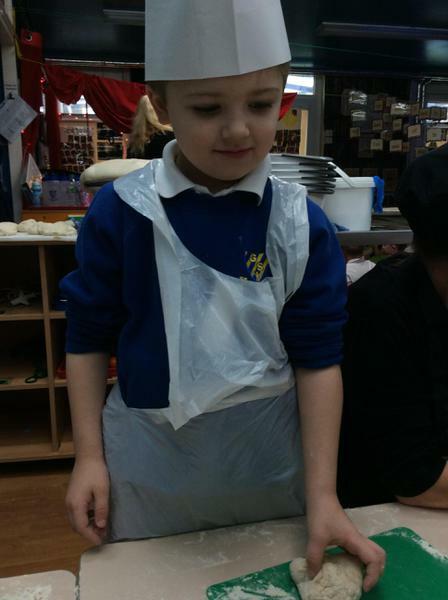 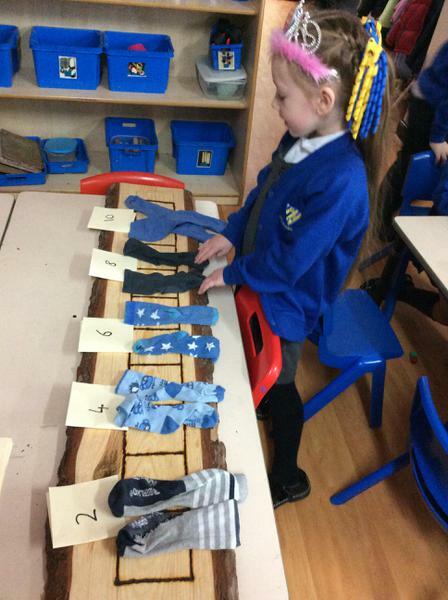 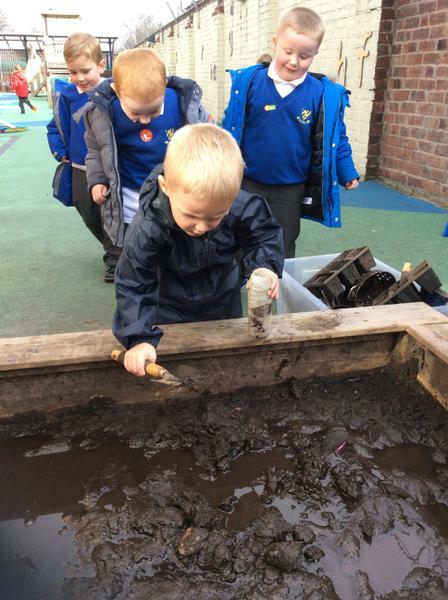 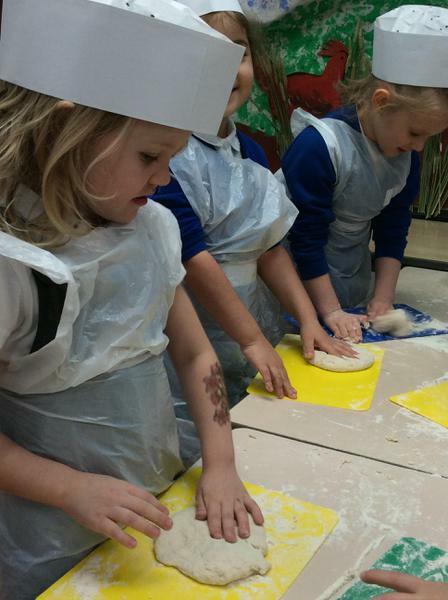 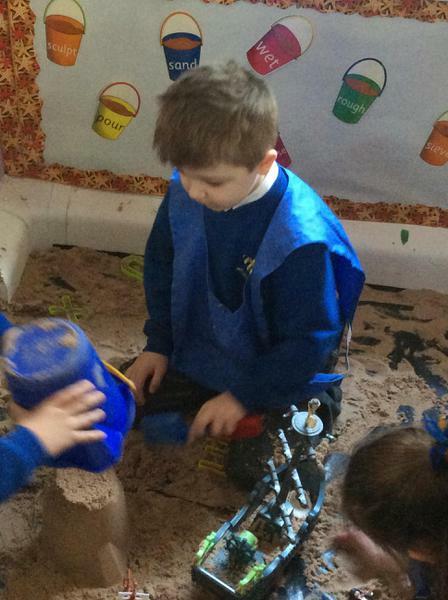 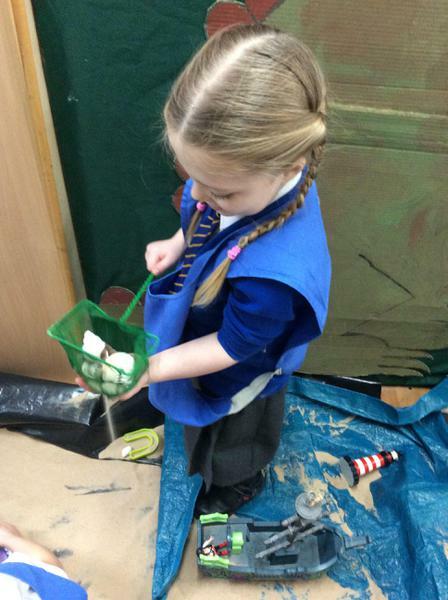 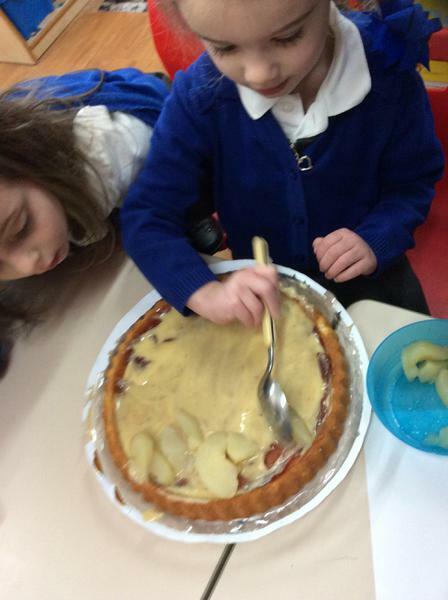 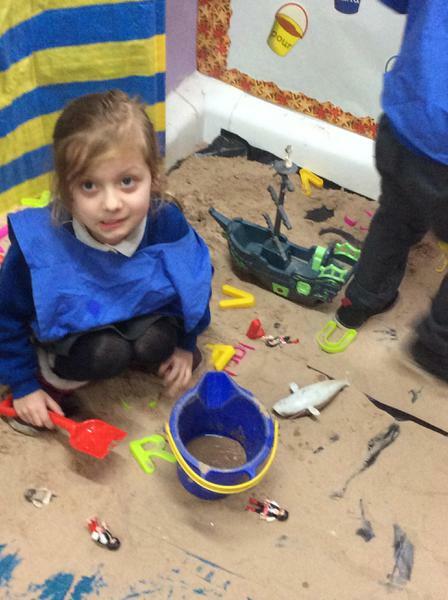 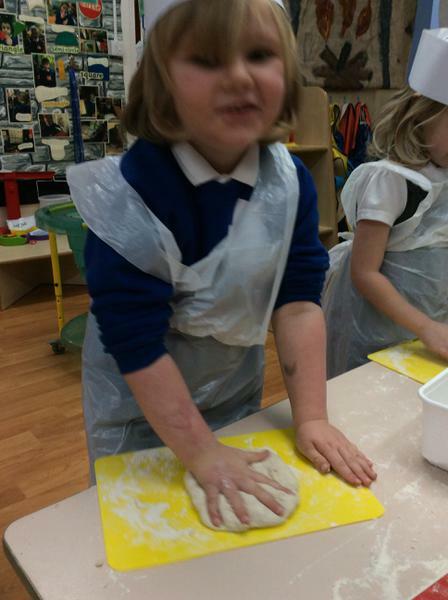 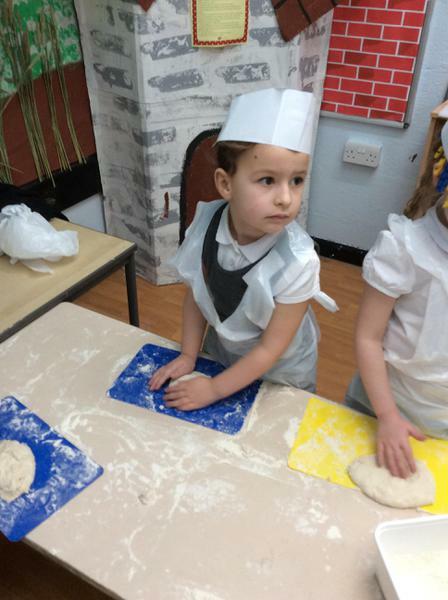 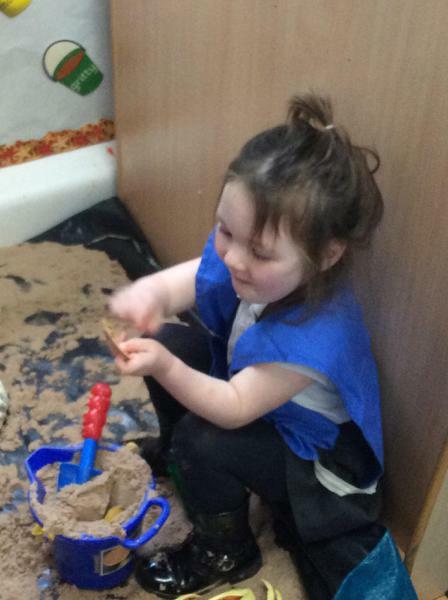 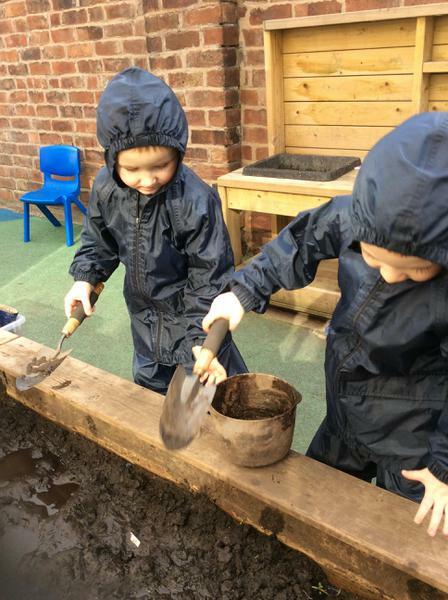 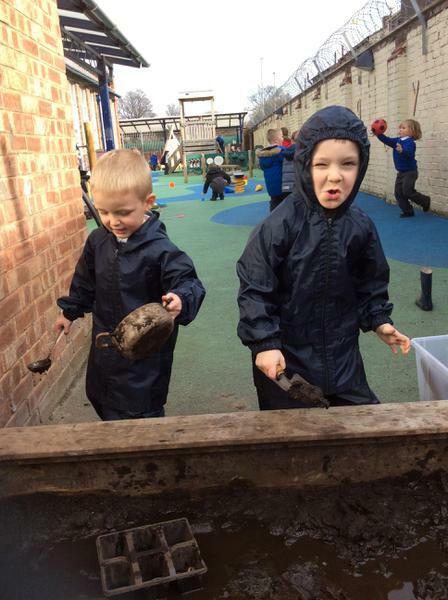 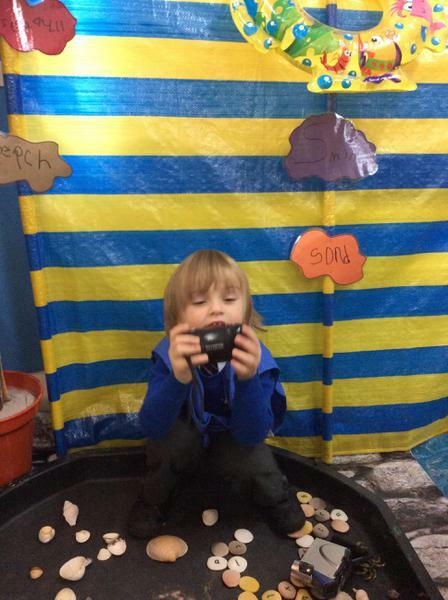 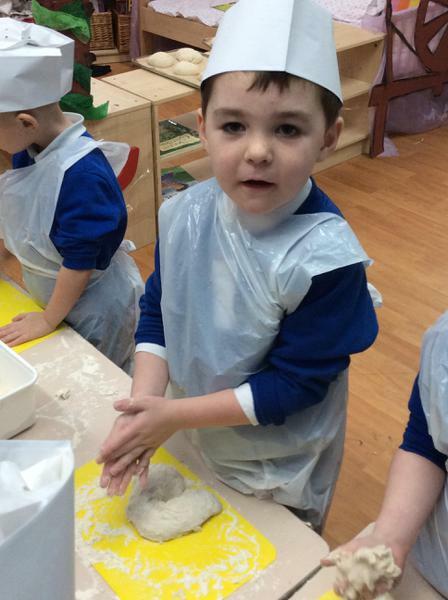 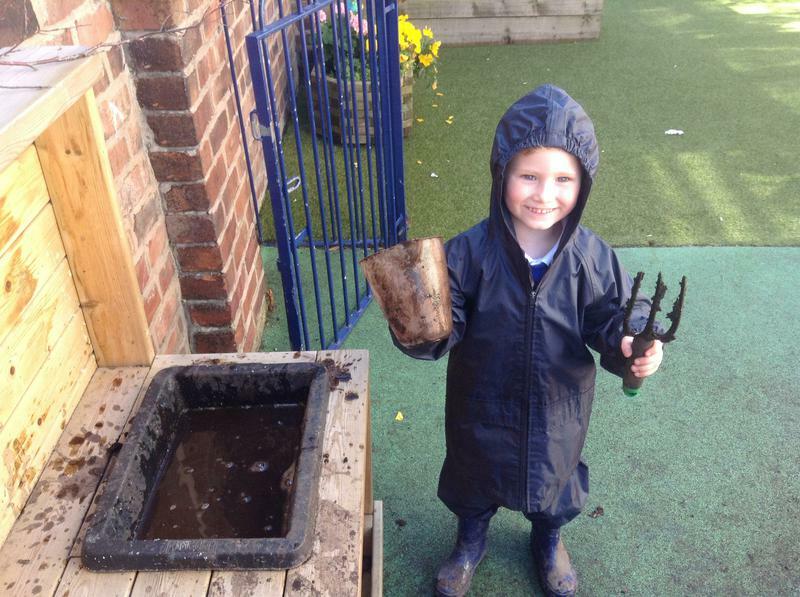 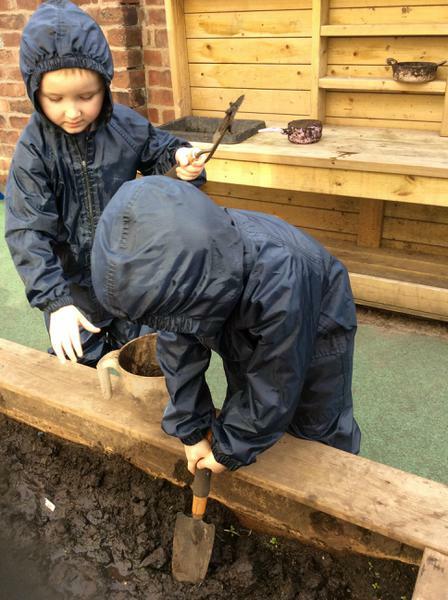 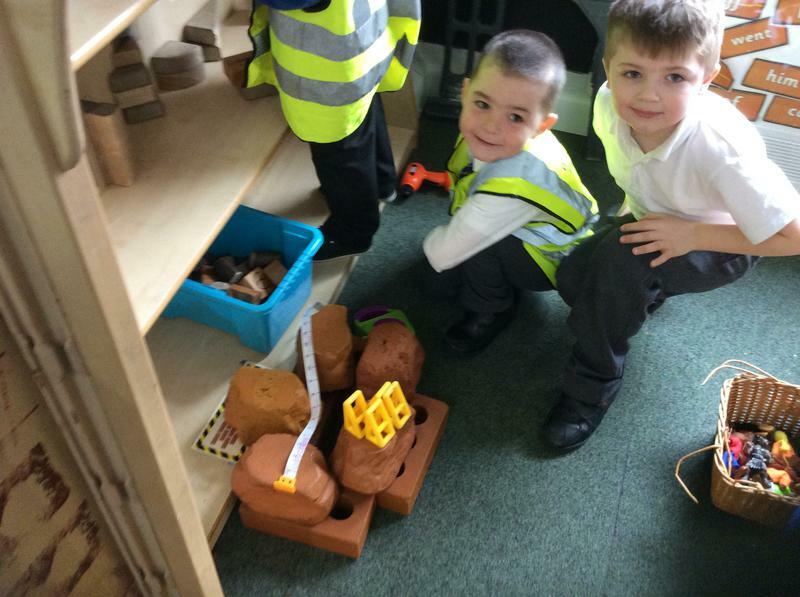 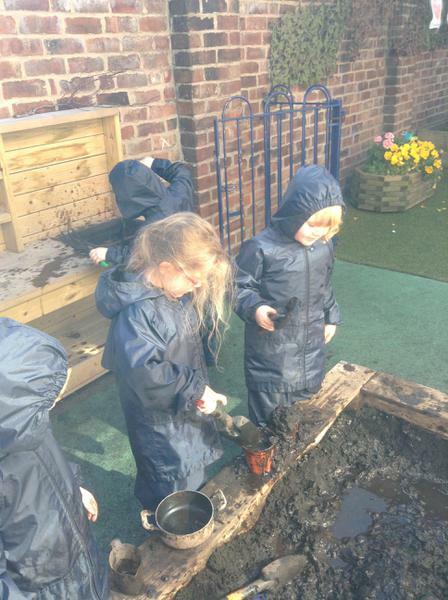 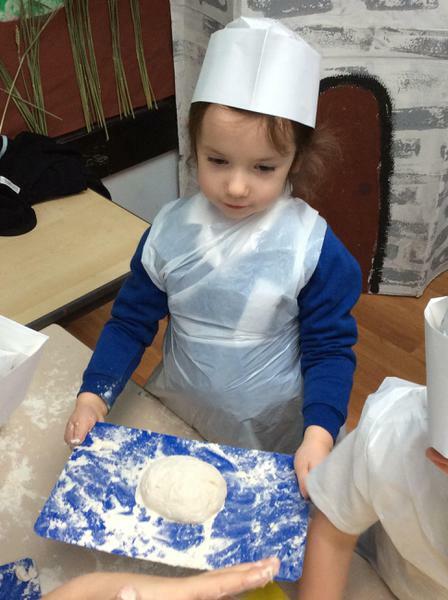 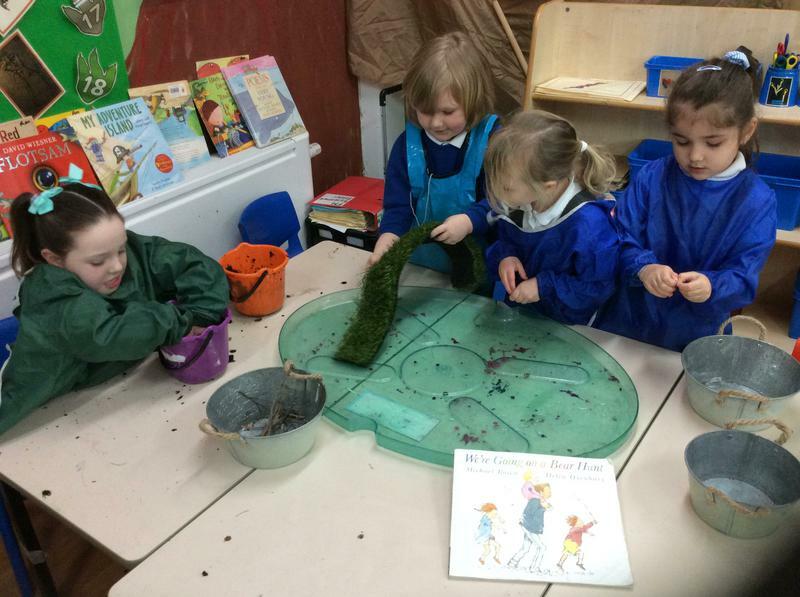 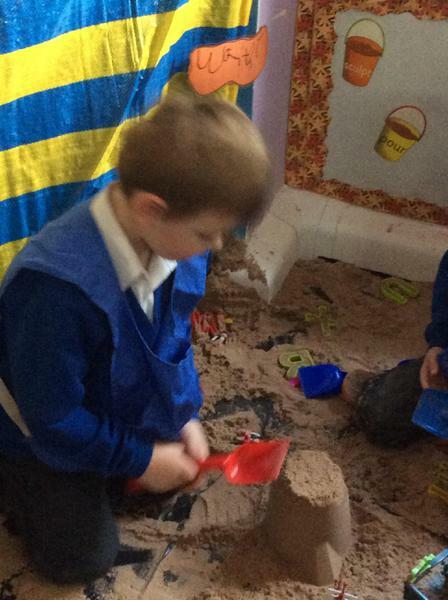 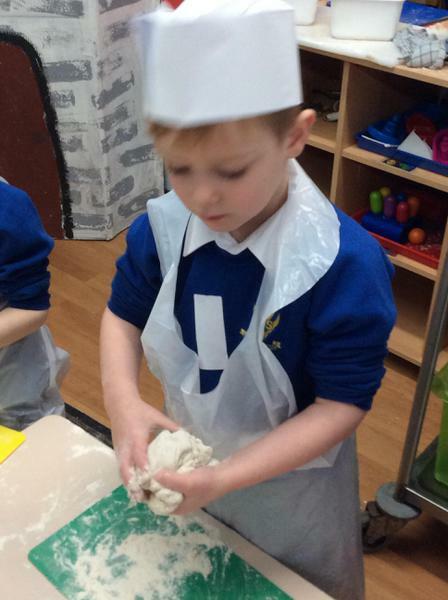 In F2 we have been making the most of our mud kitchen. 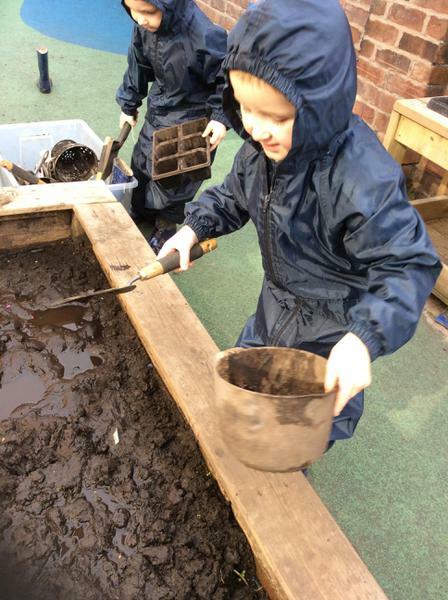 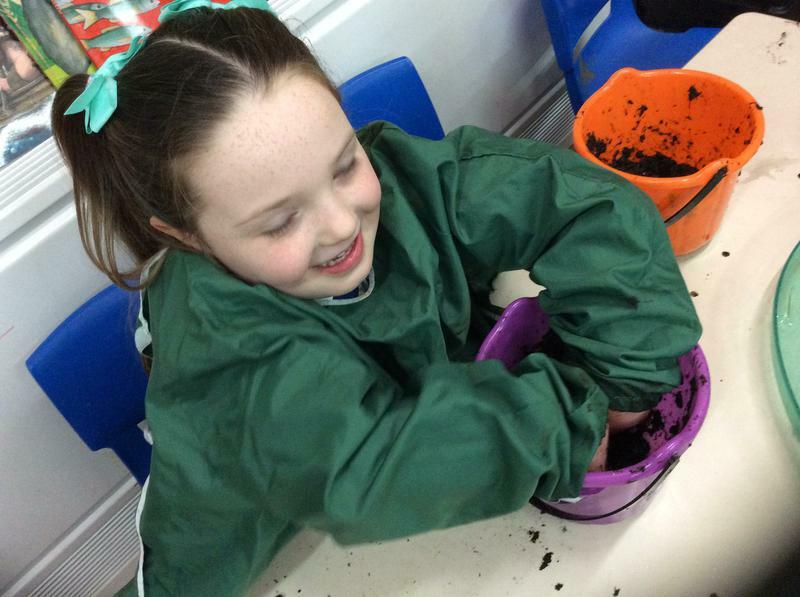 We had a great time, exploring the mud pit, digging for treasure, and making mud pies for Mr. Mitchell to eat ! 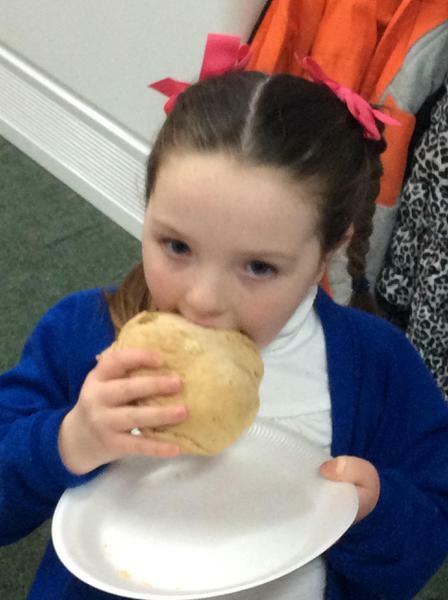 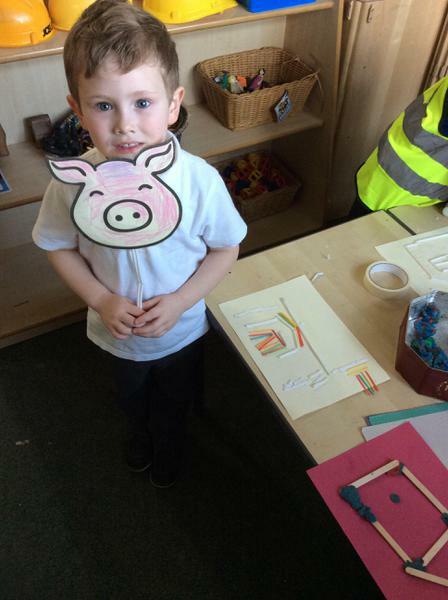 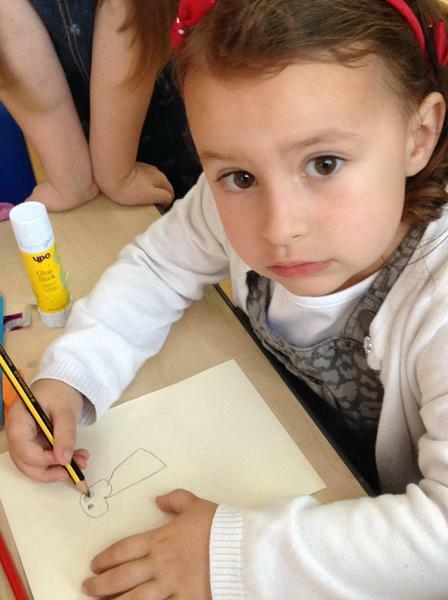 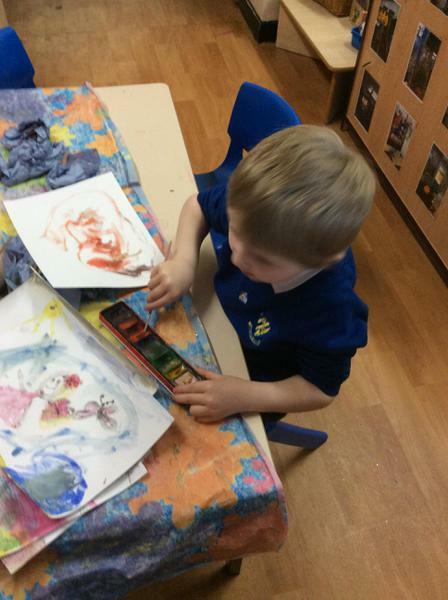 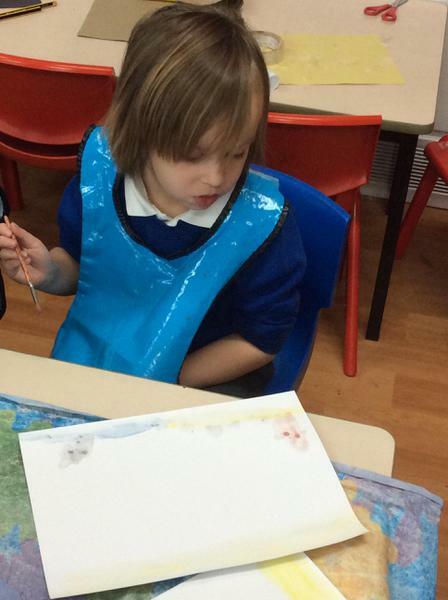 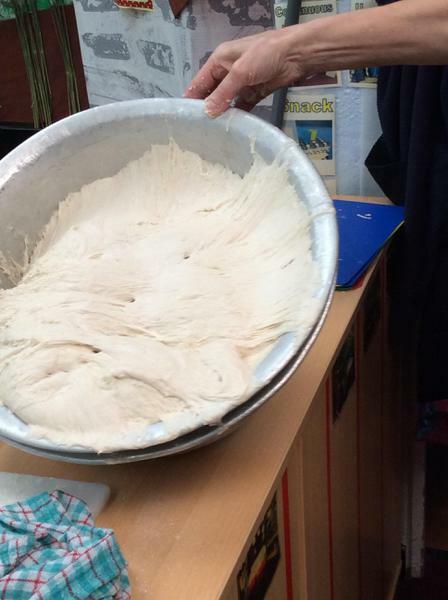 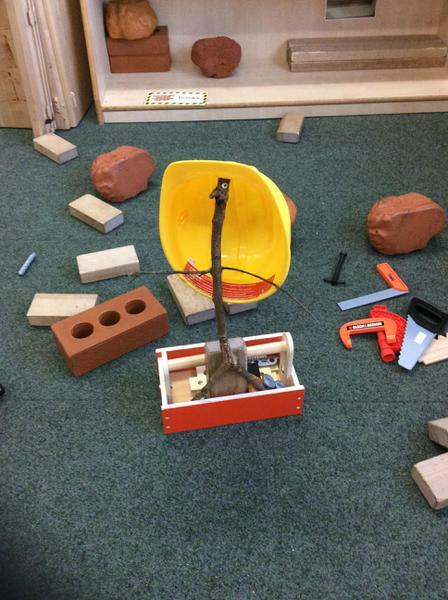 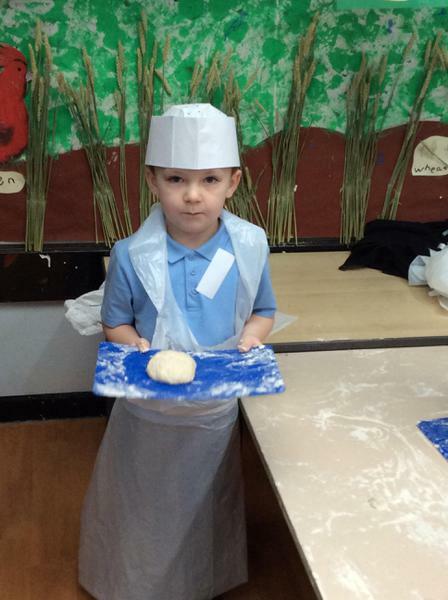 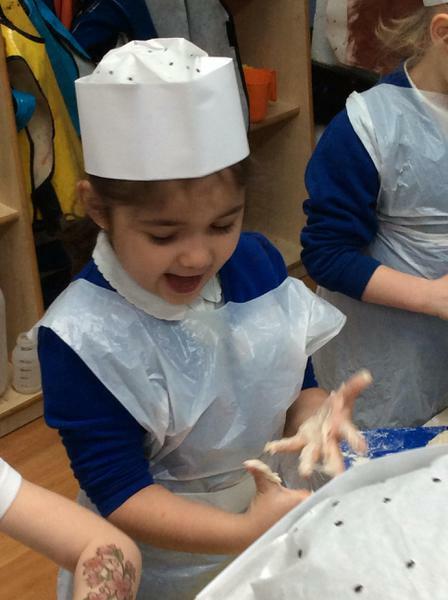 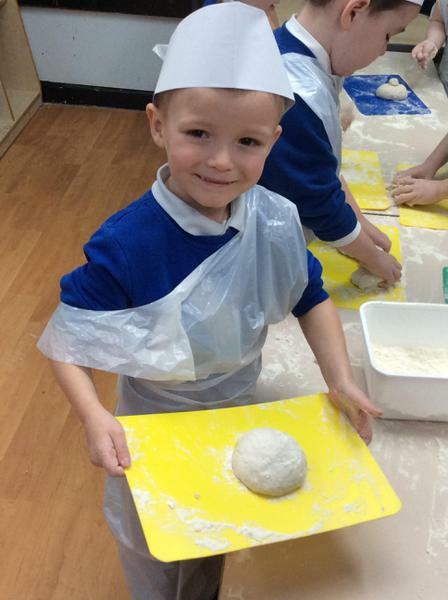 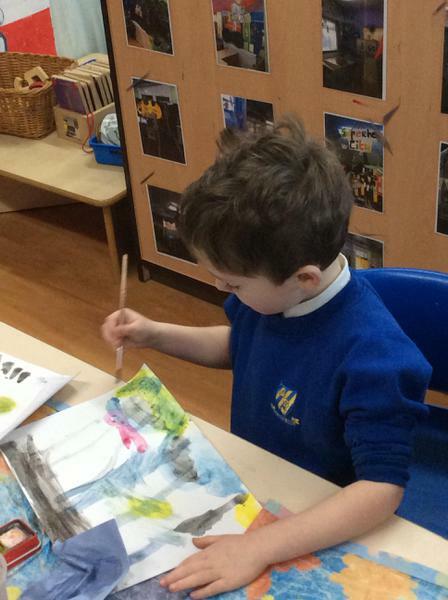 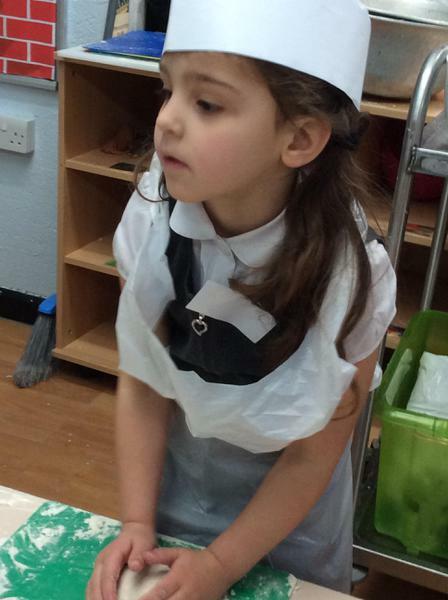 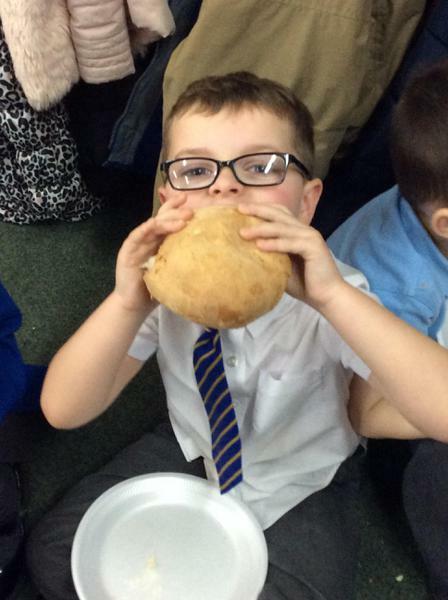 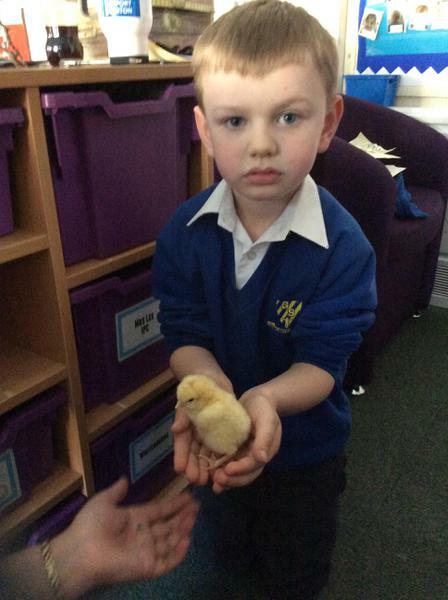 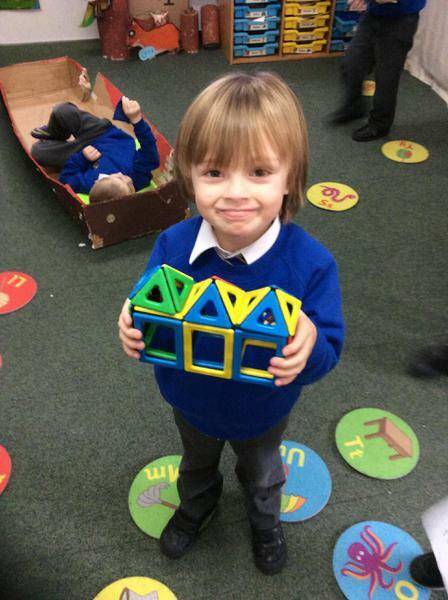 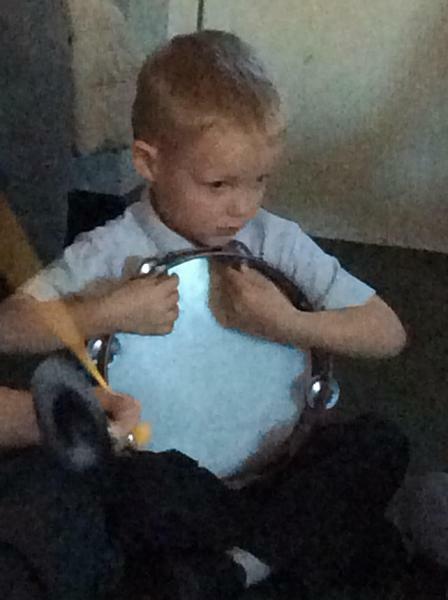 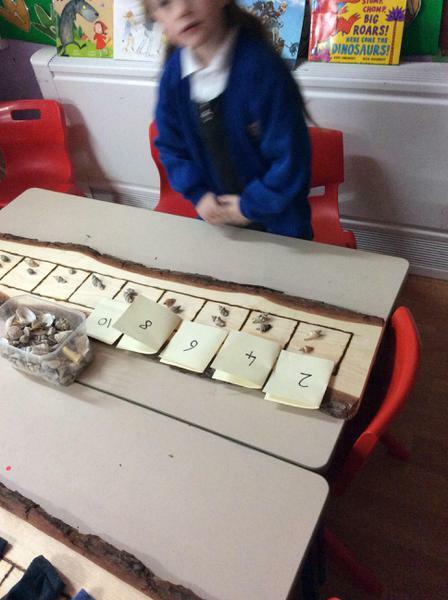 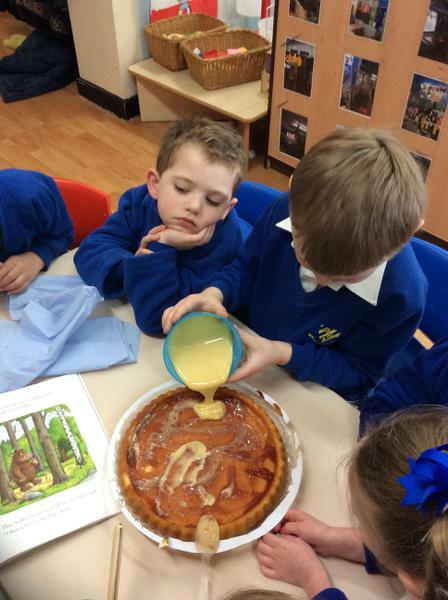 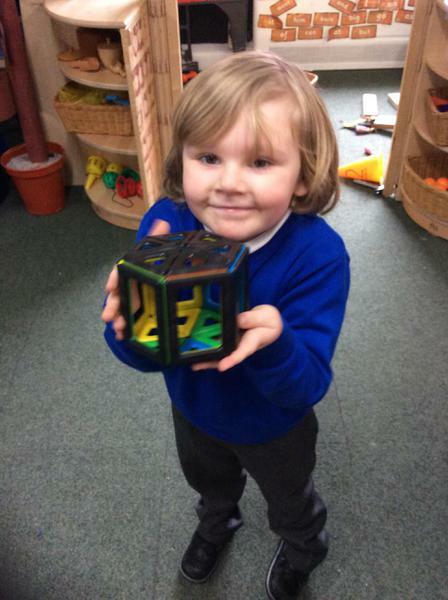 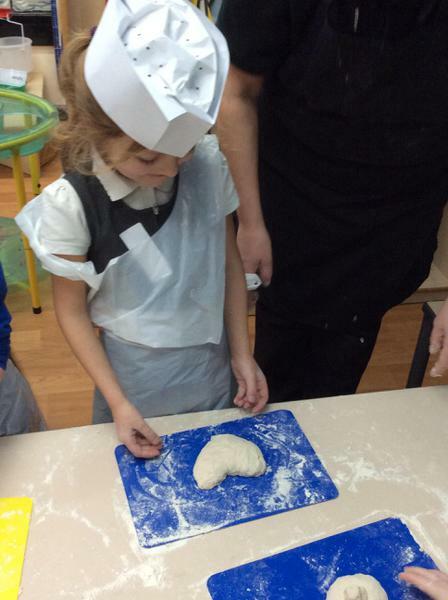 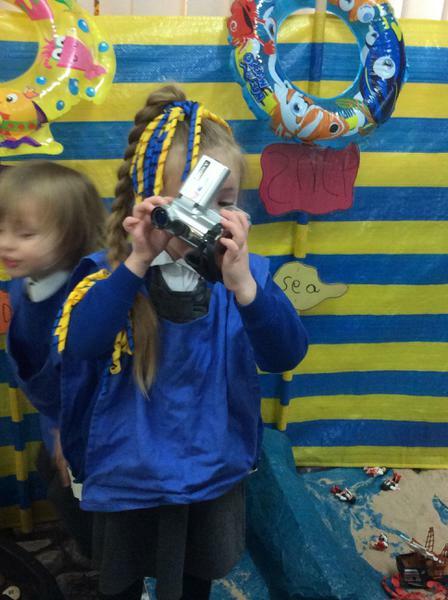 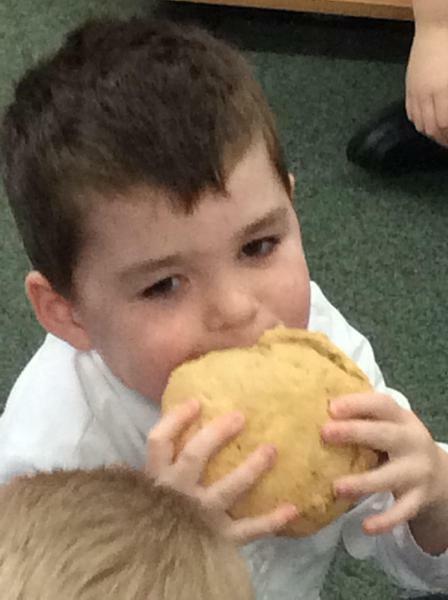 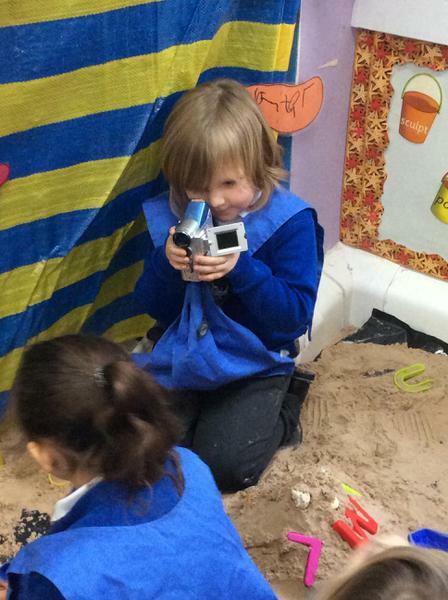 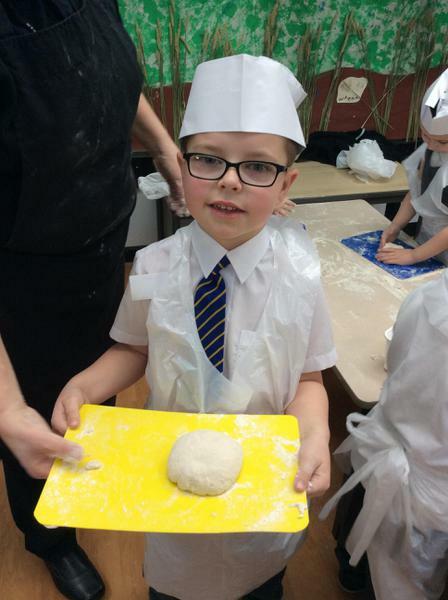 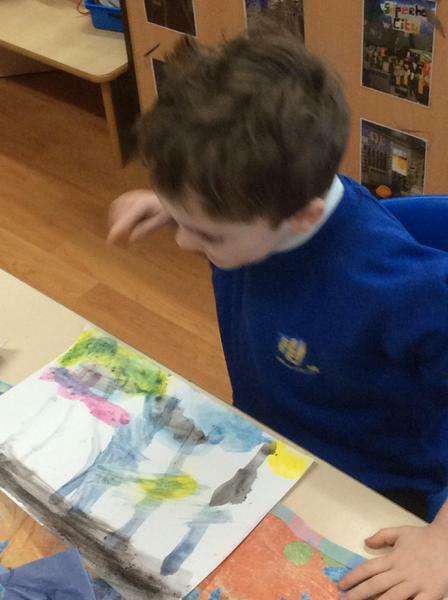 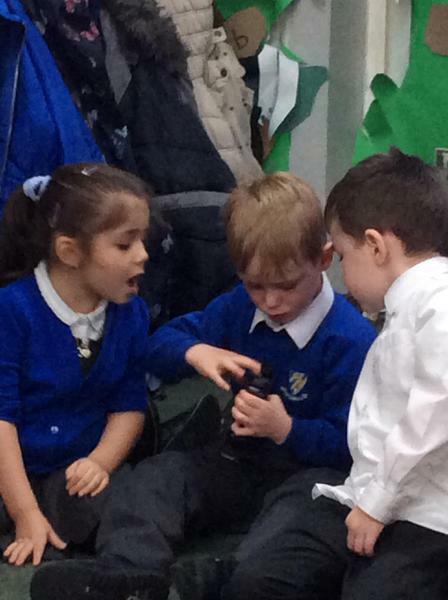 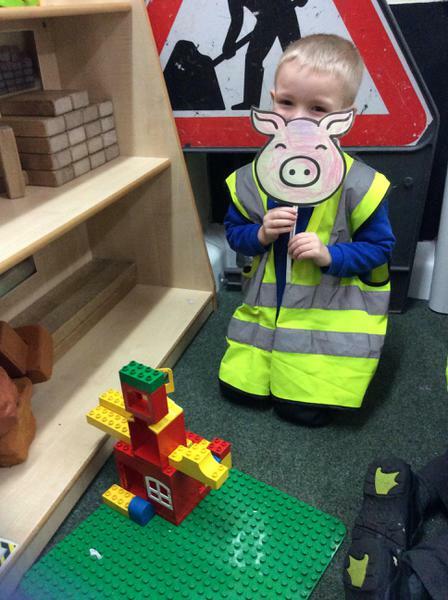 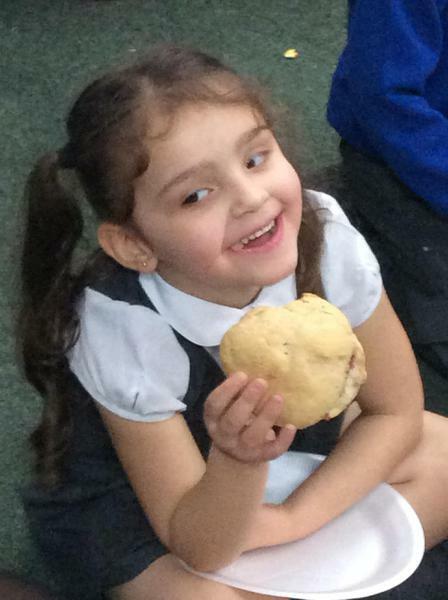 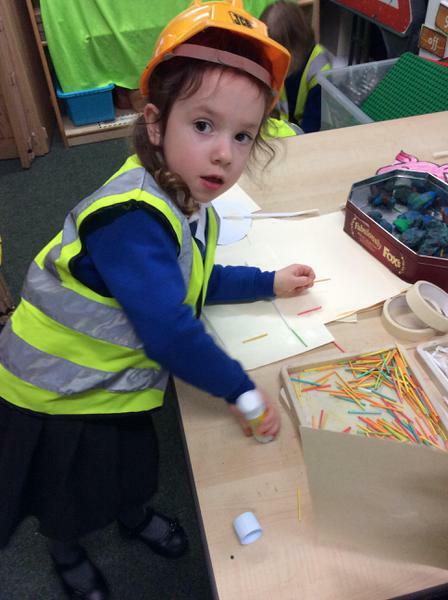 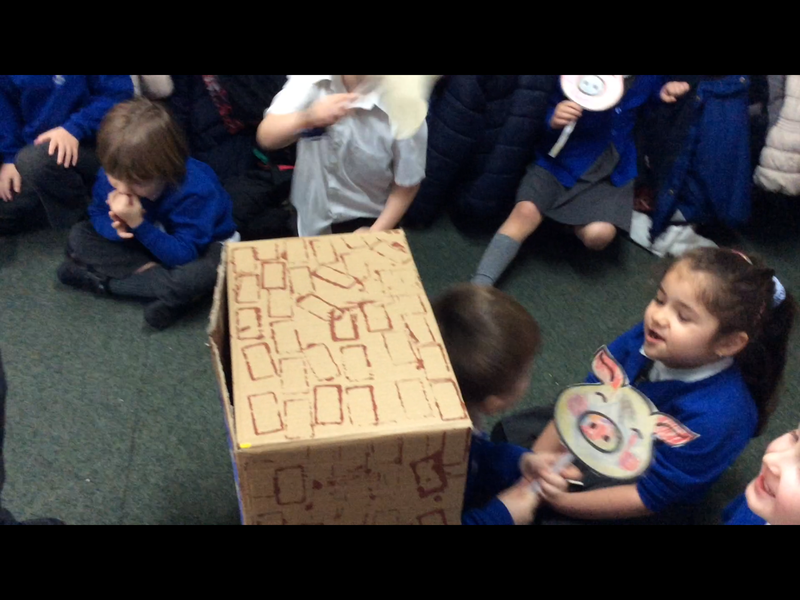 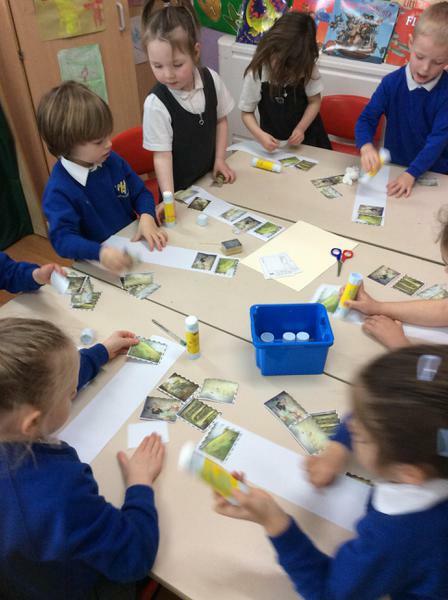 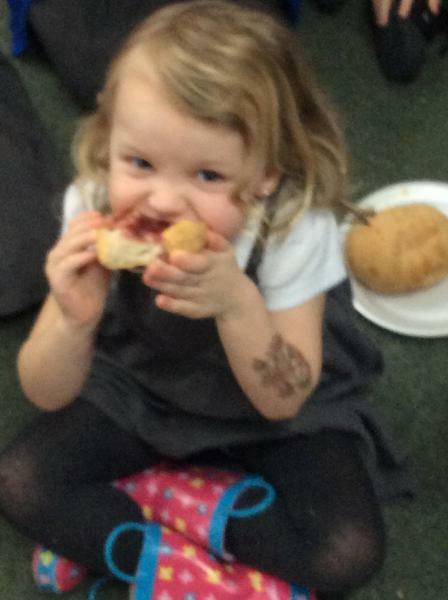 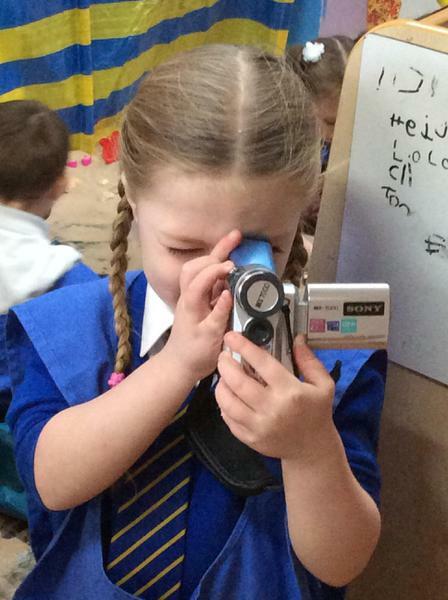 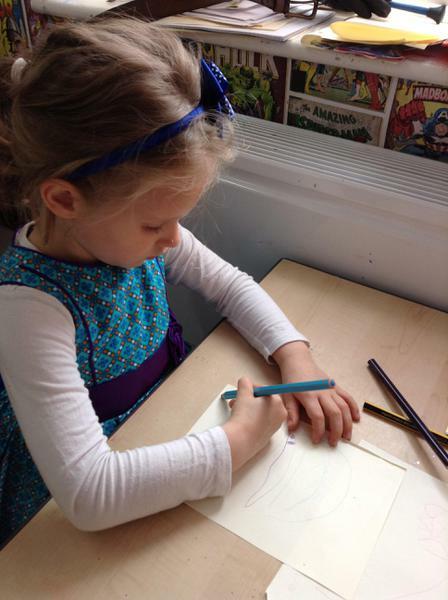 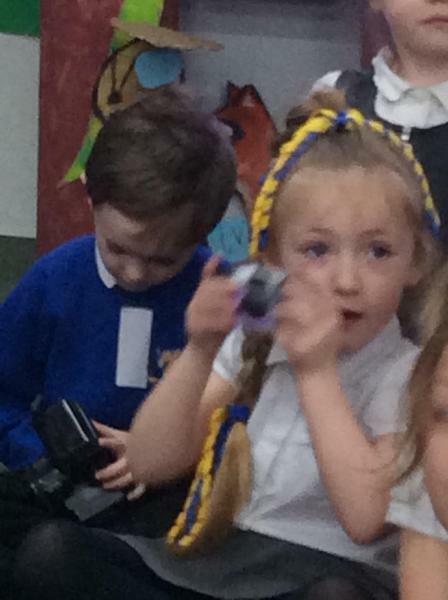 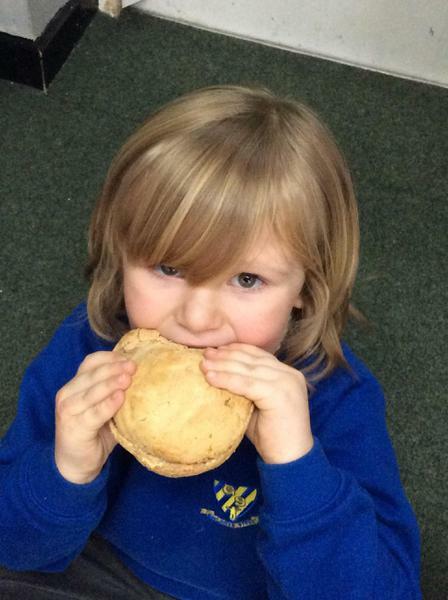 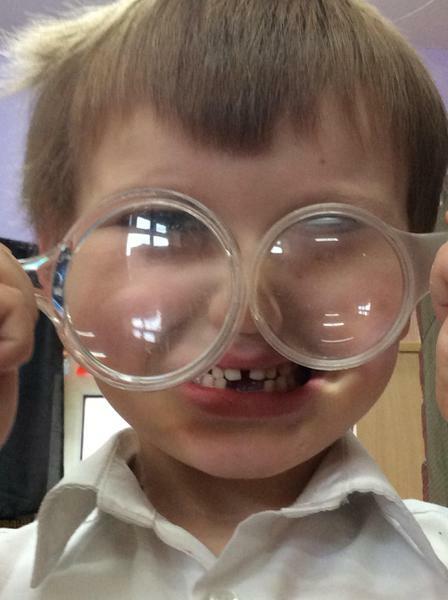 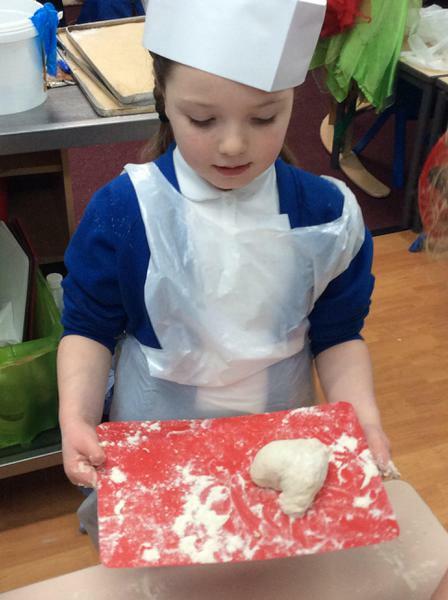 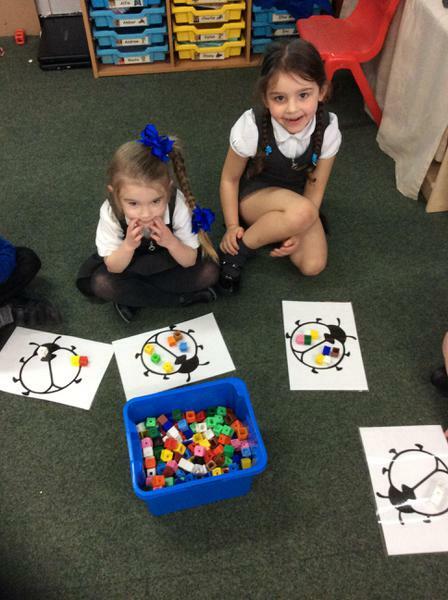 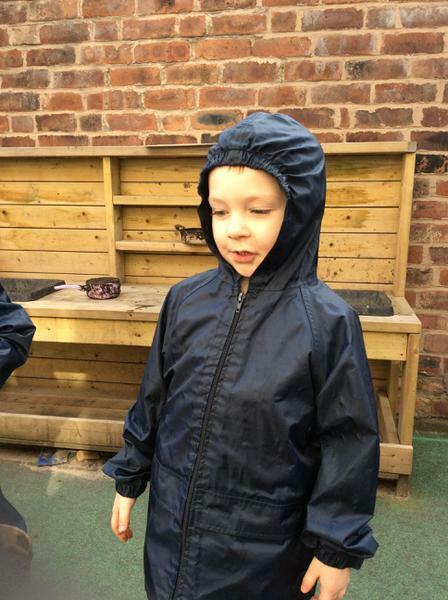 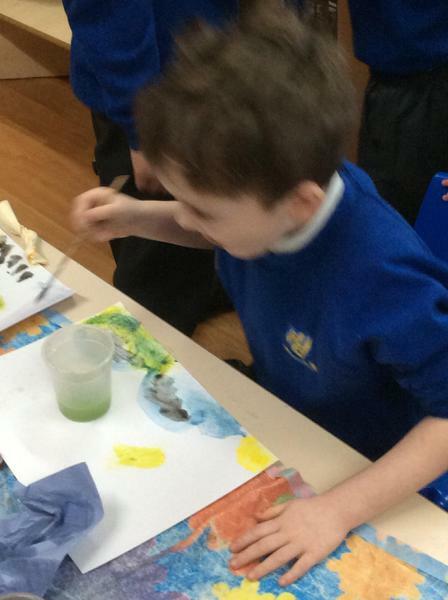 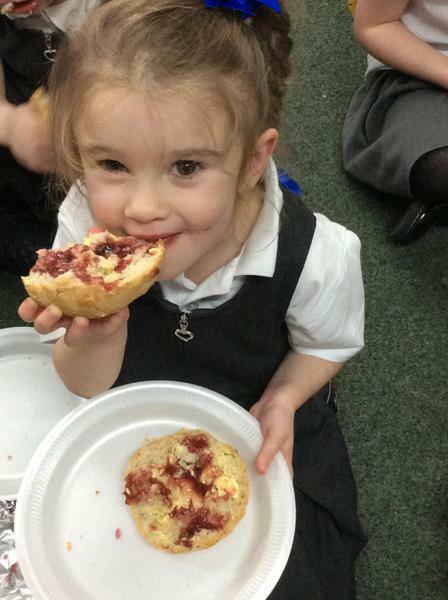 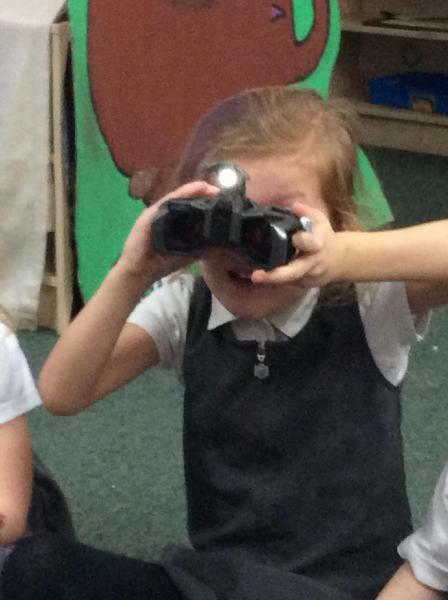 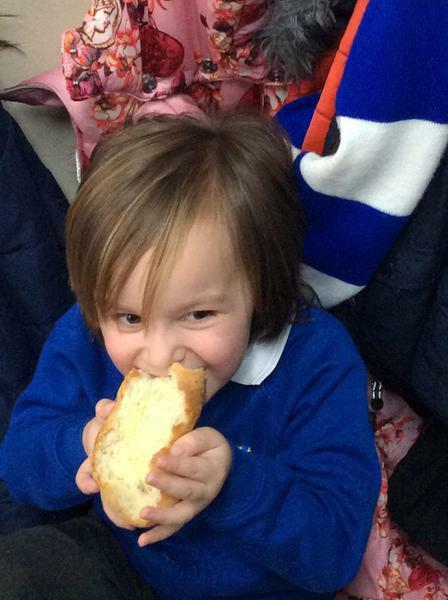 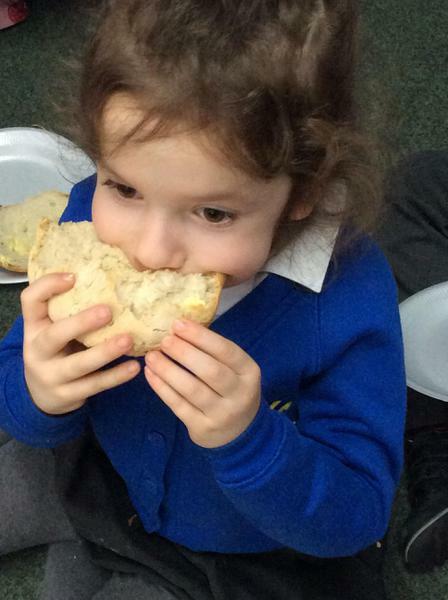 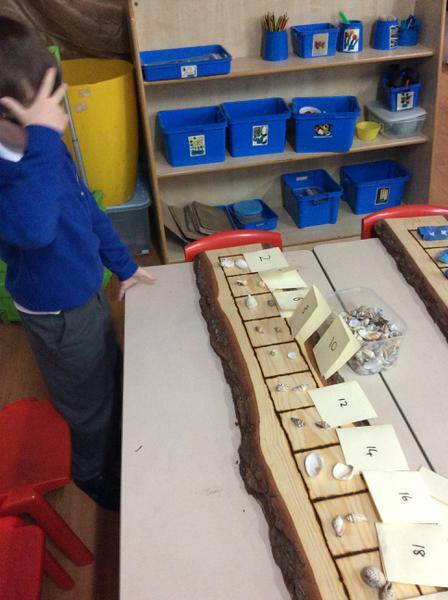 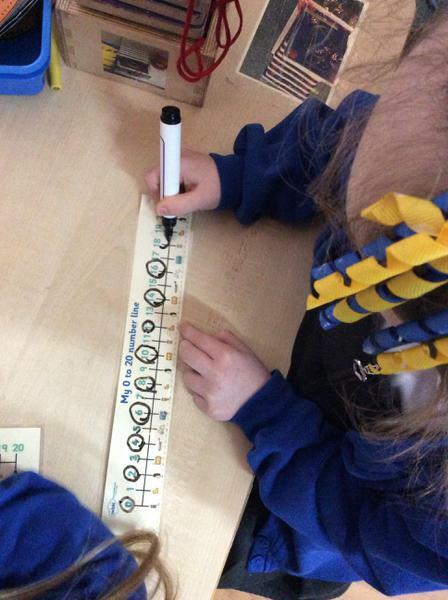 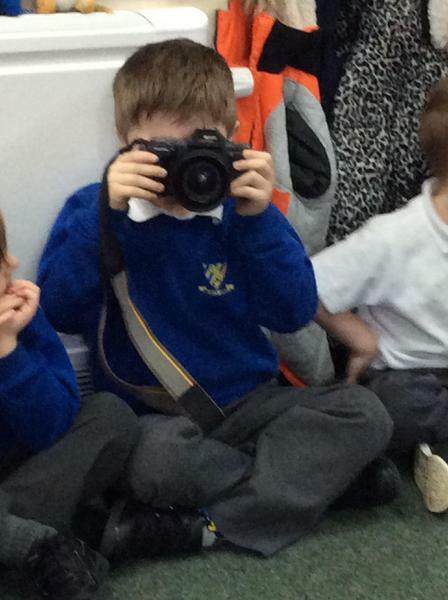 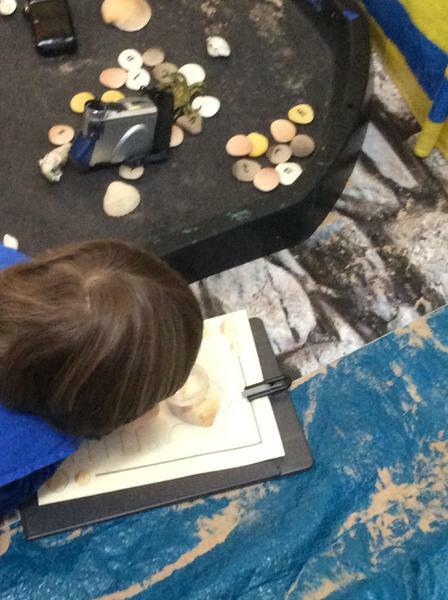 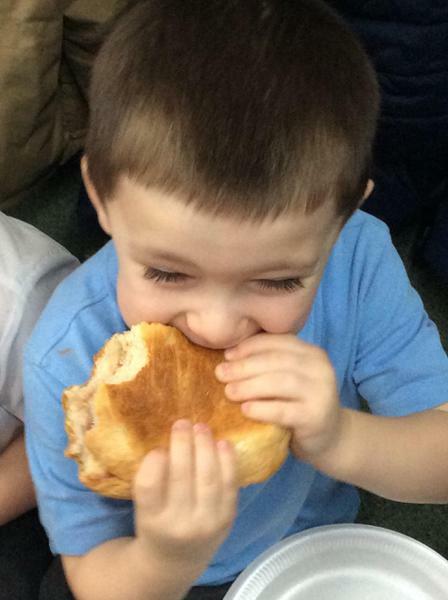 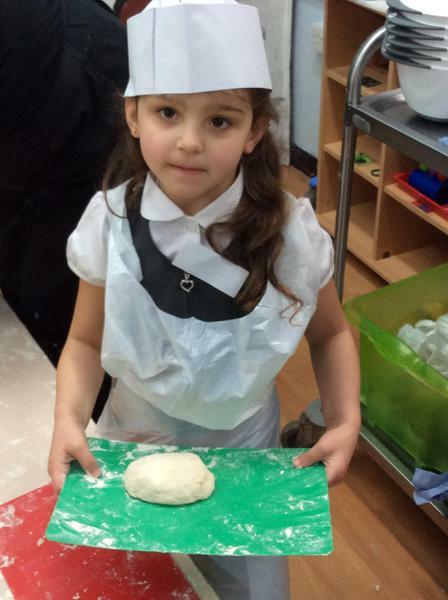 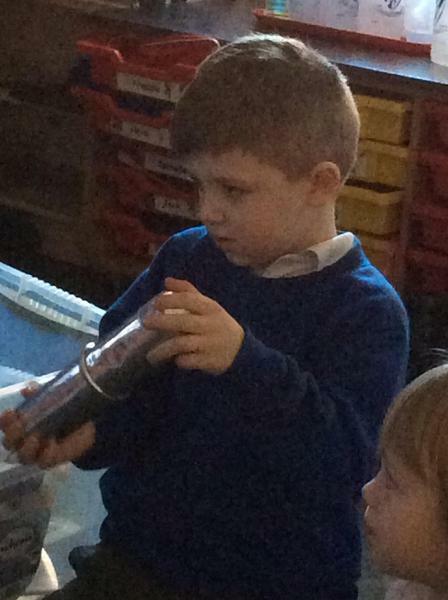 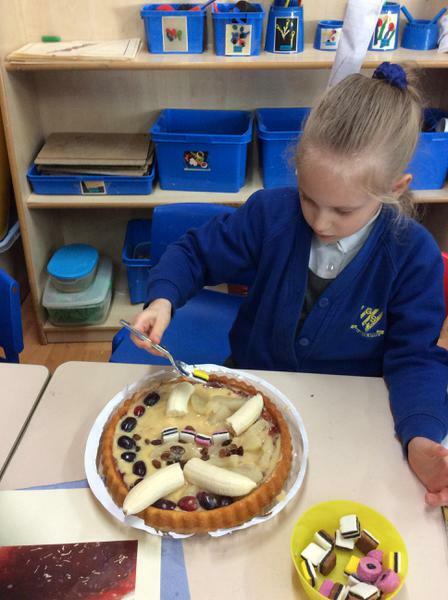 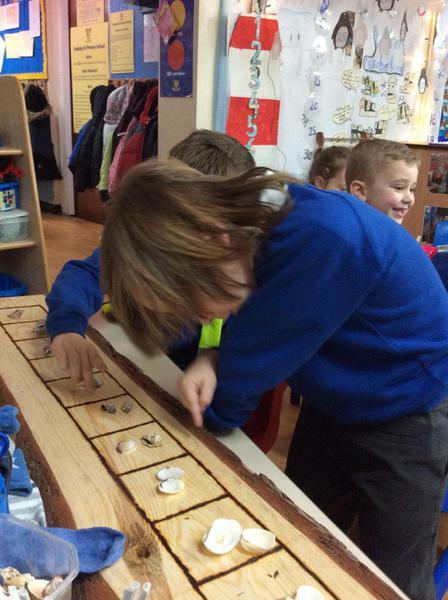 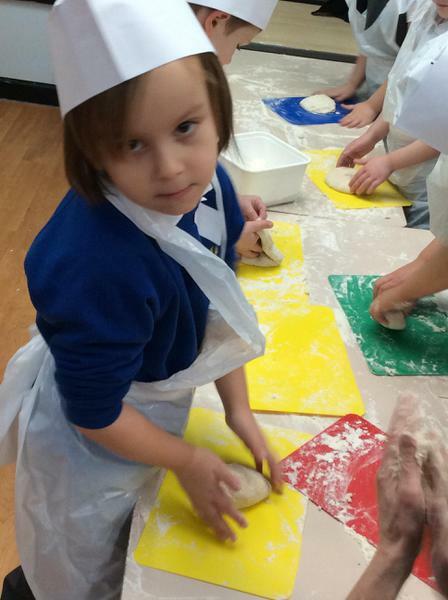 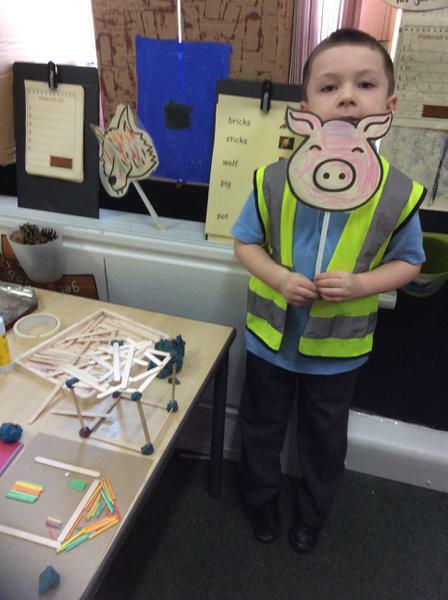 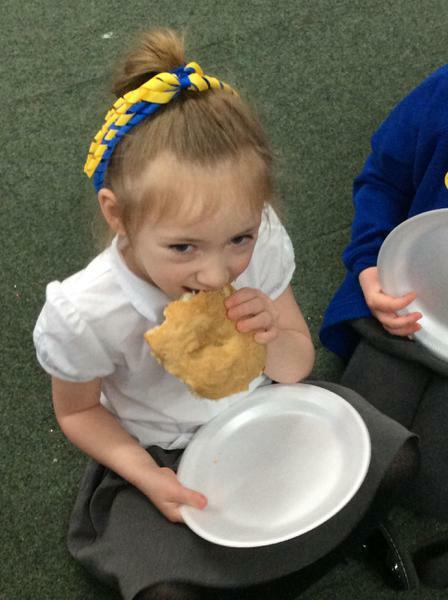 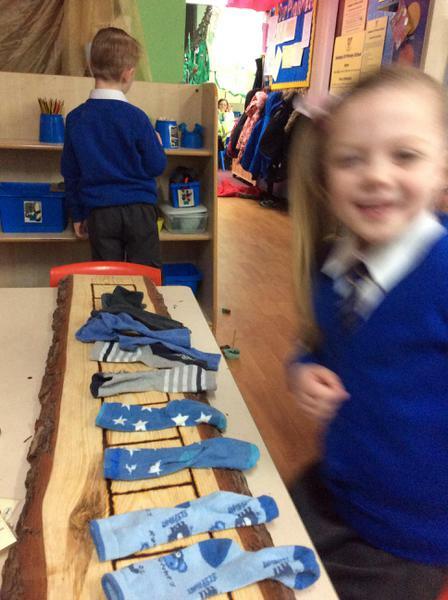 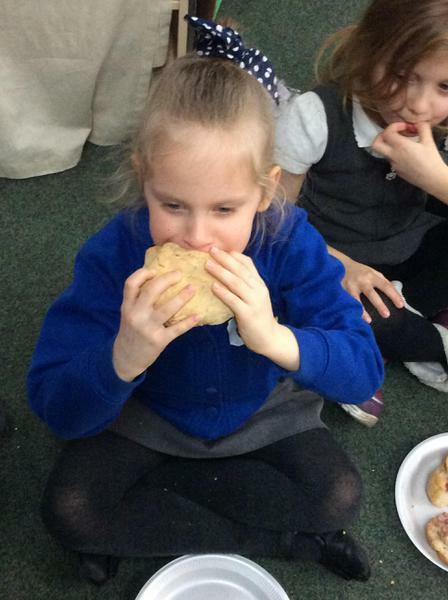 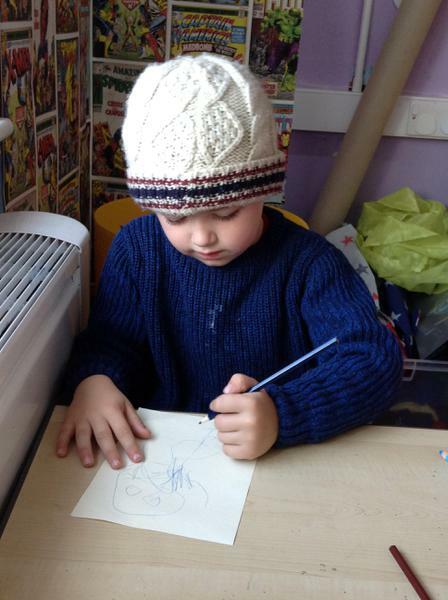 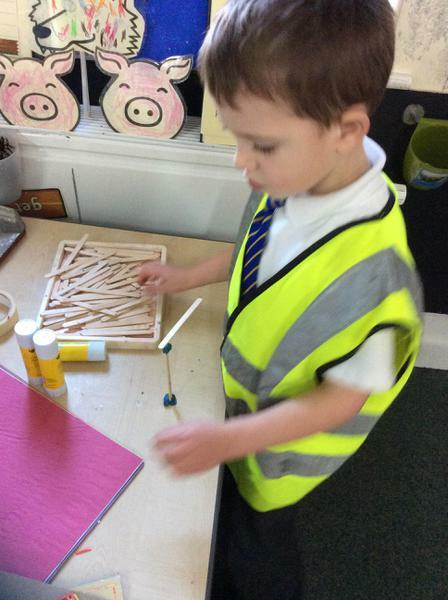 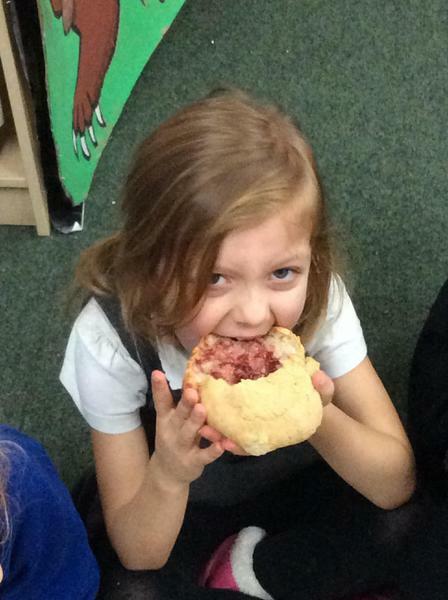 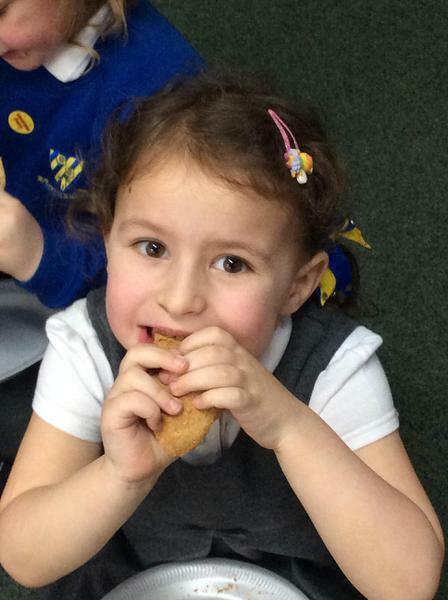 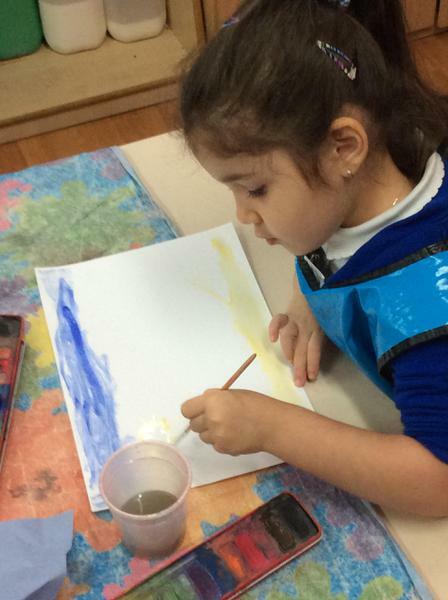 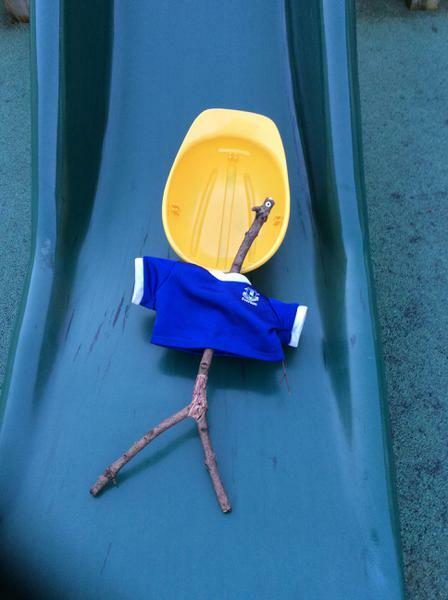 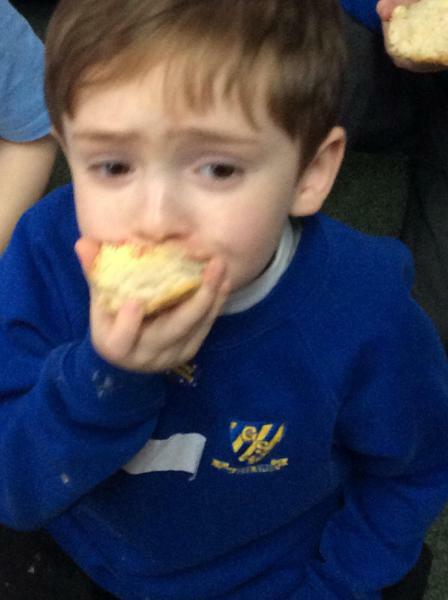 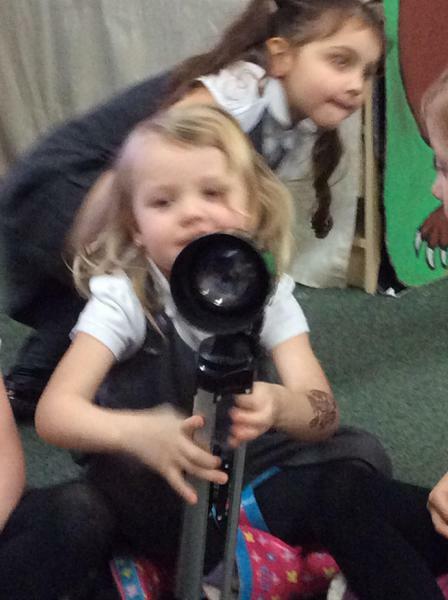 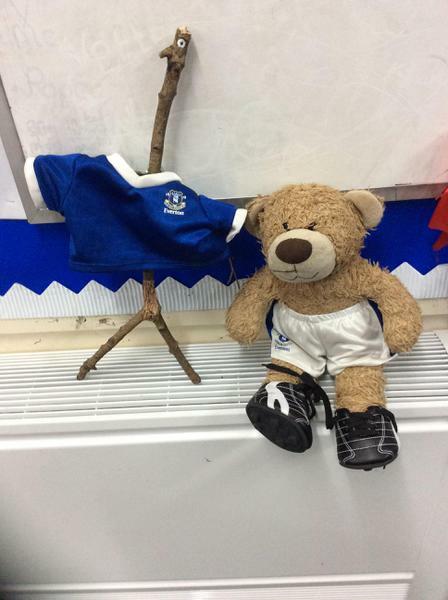 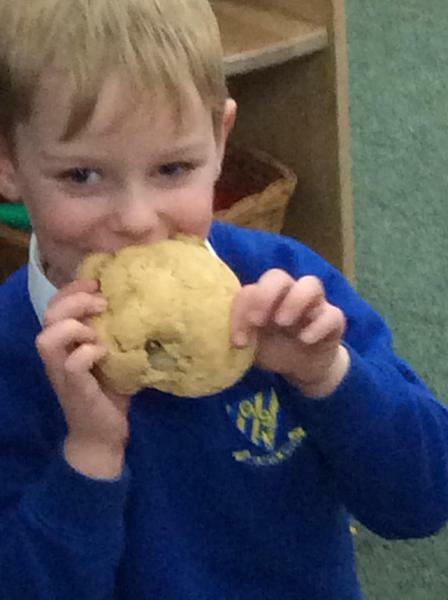 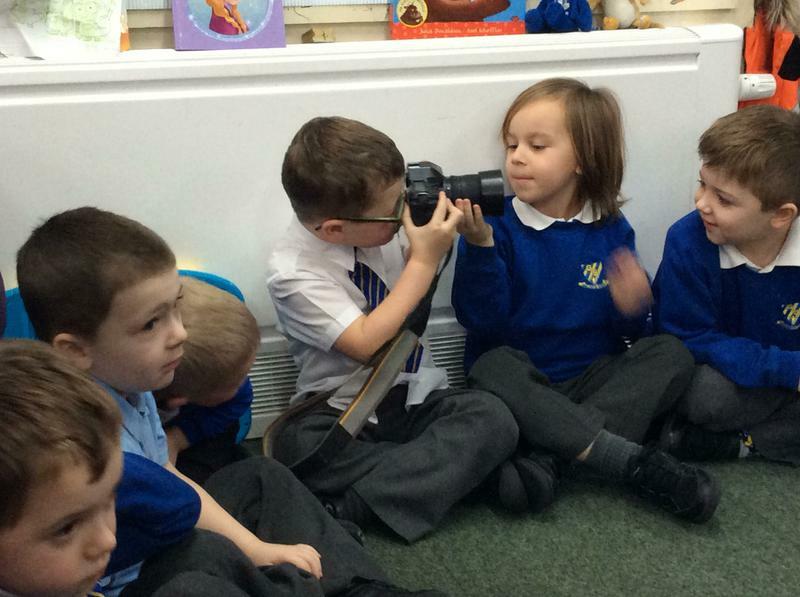 We have had a wonderful half-term in FM2 and we hope that you enjoy our photographs. 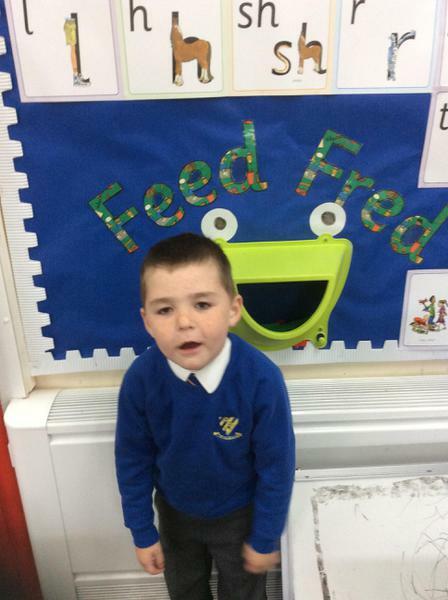 Let's Feed Fred ! 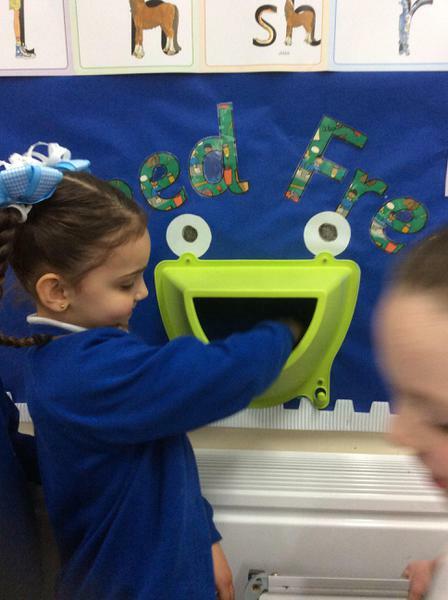 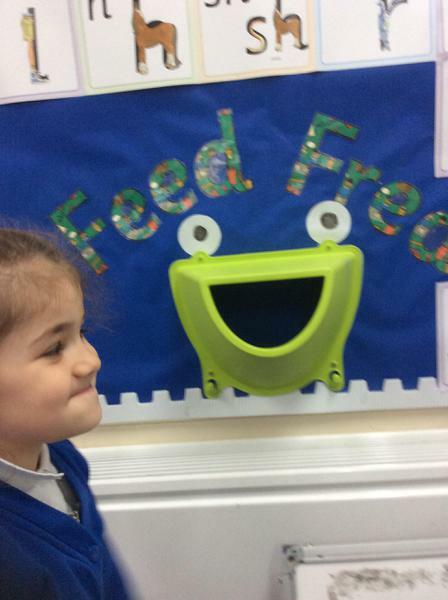 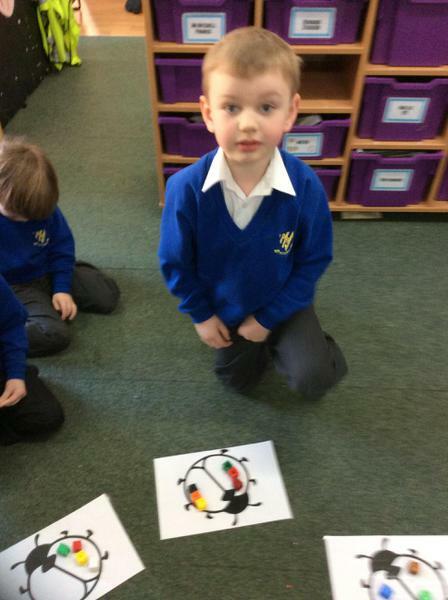 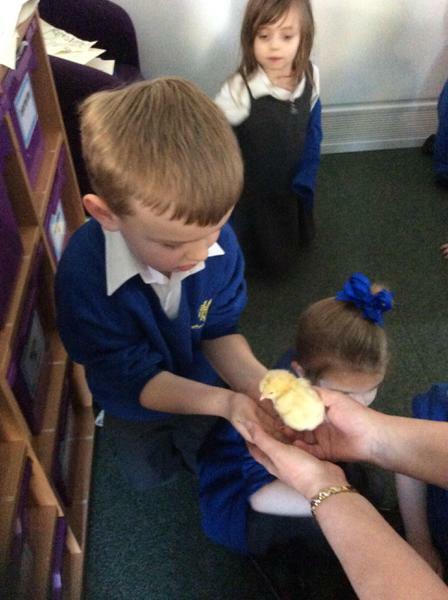 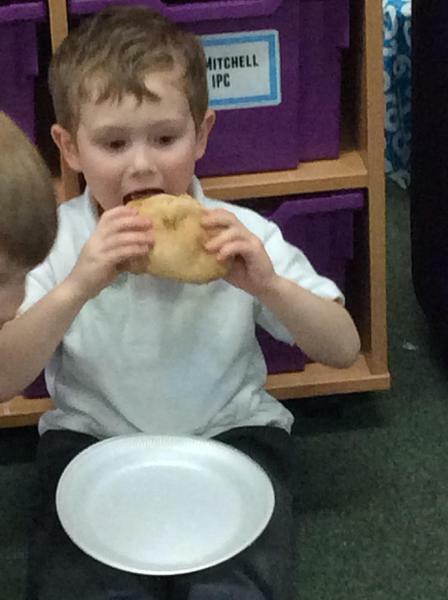 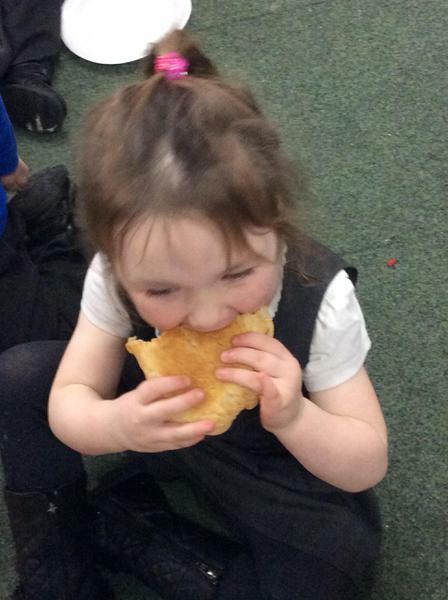 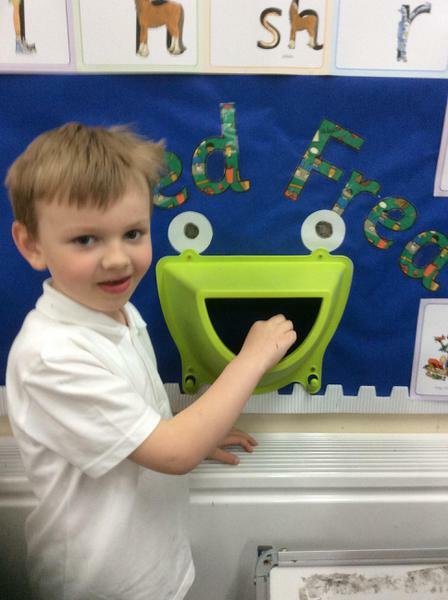 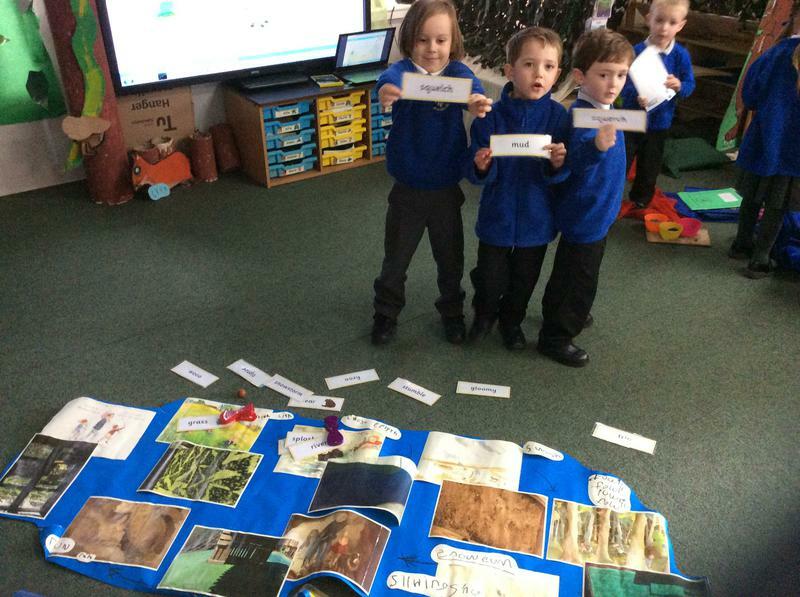 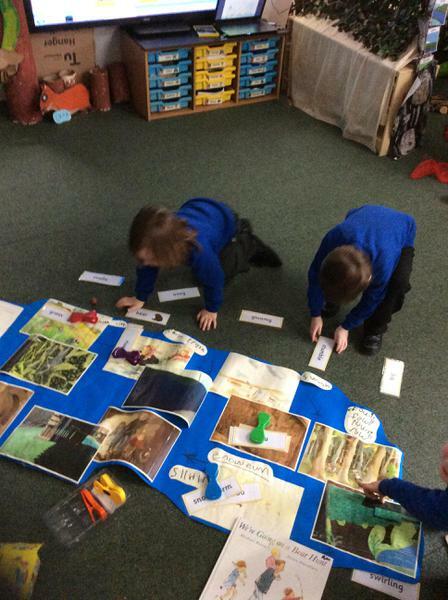 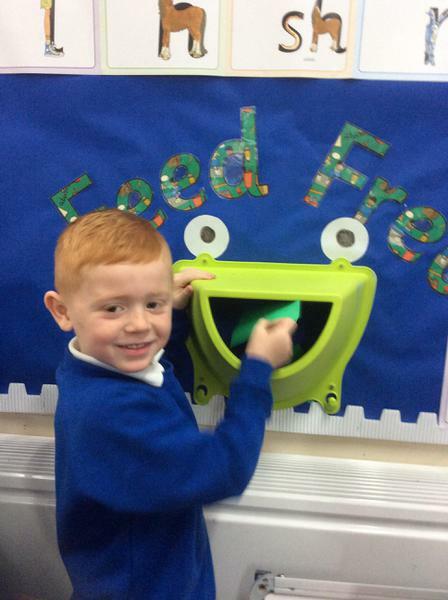 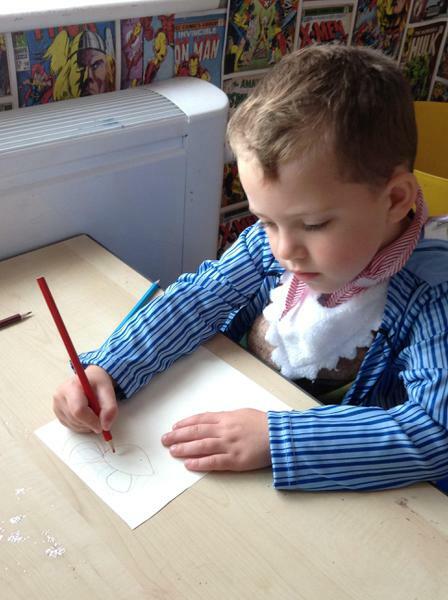 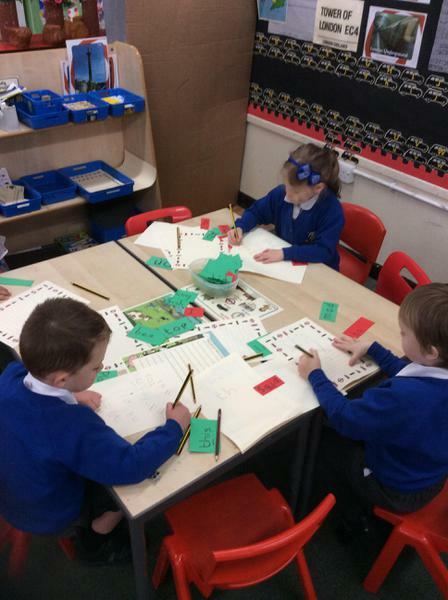 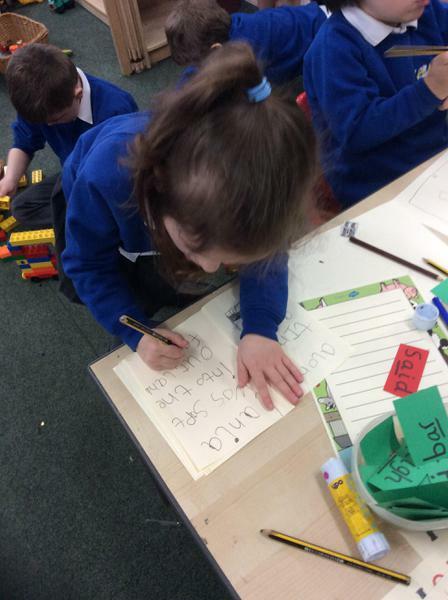 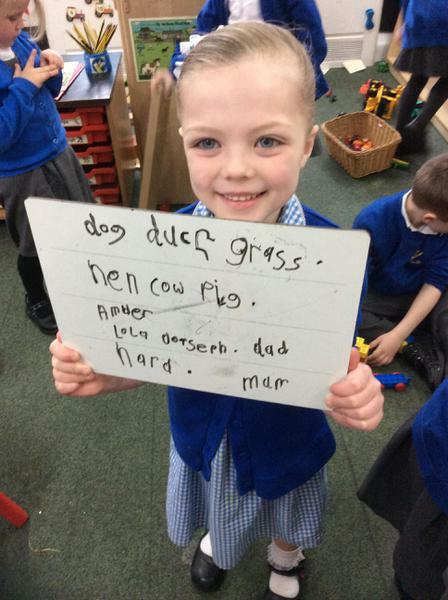 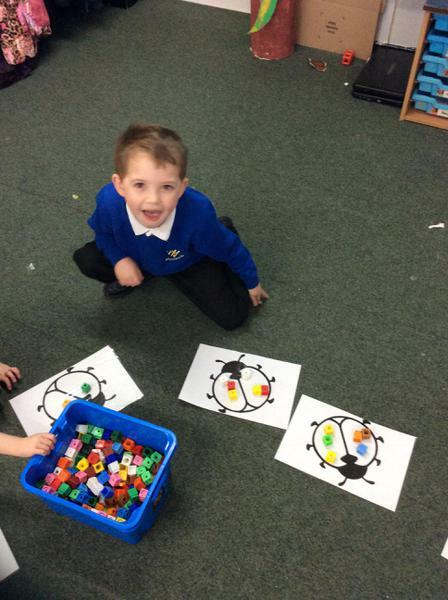 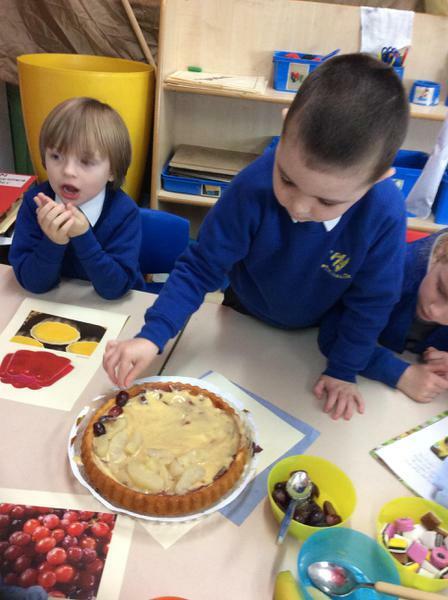 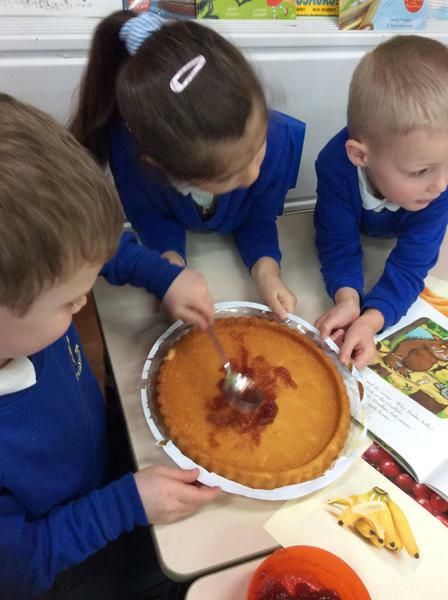 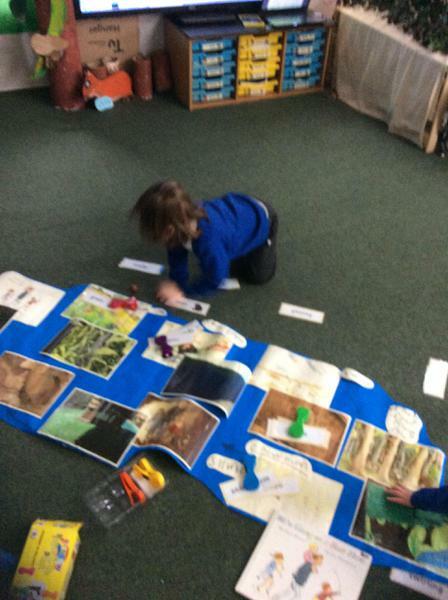 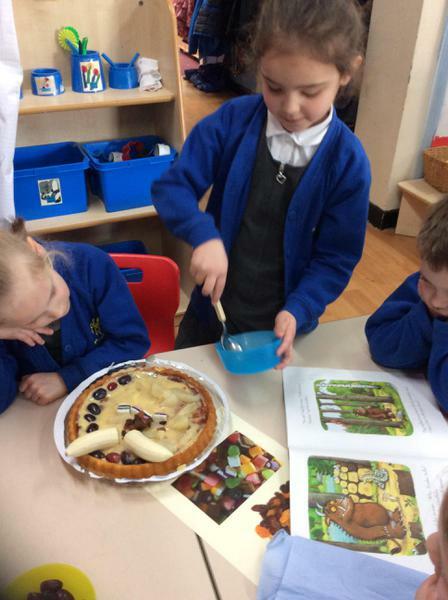 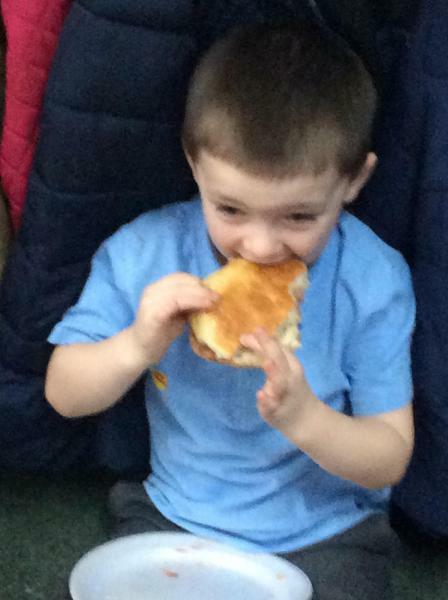 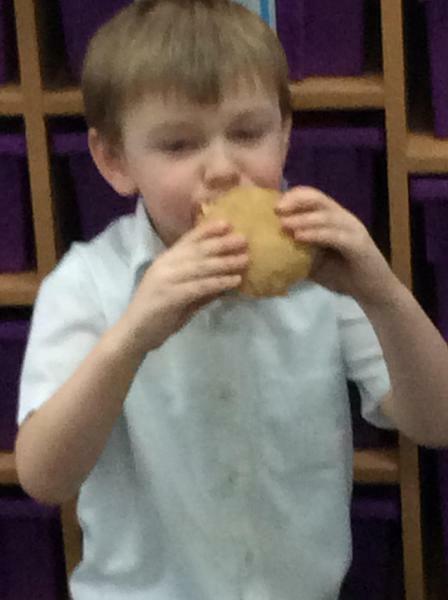 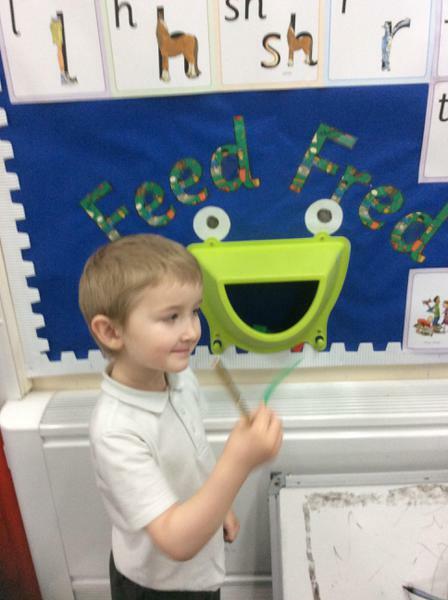 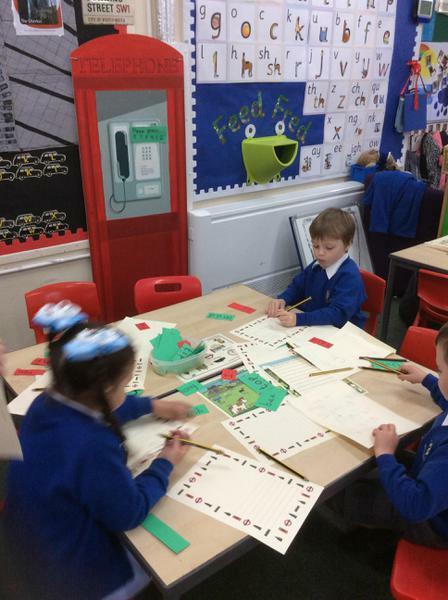 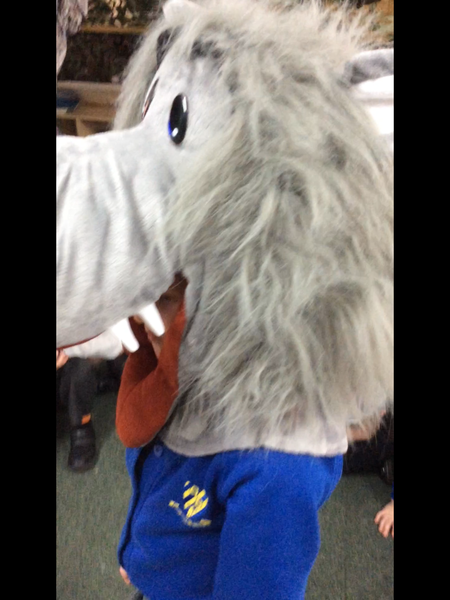 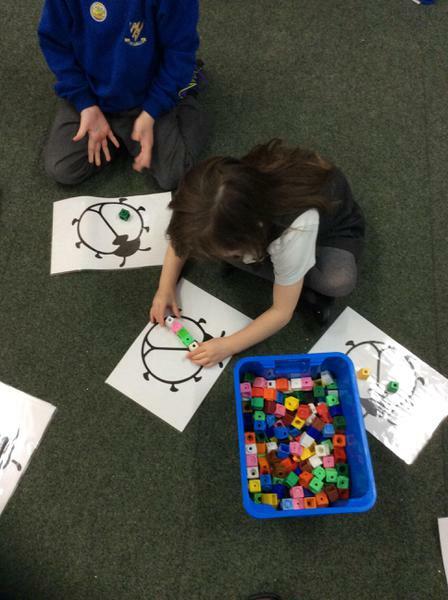 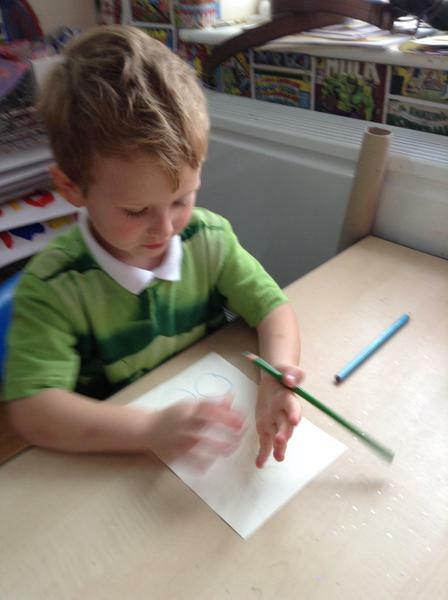 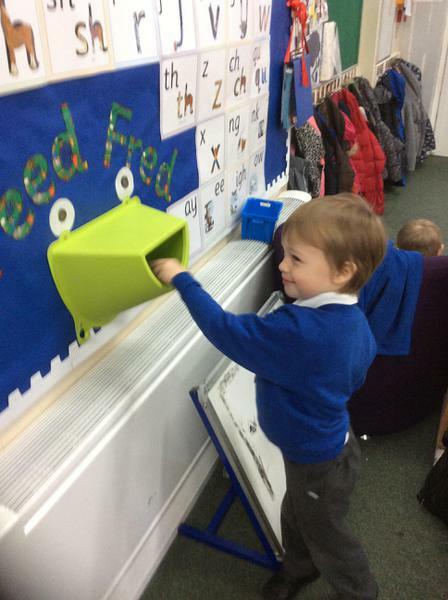 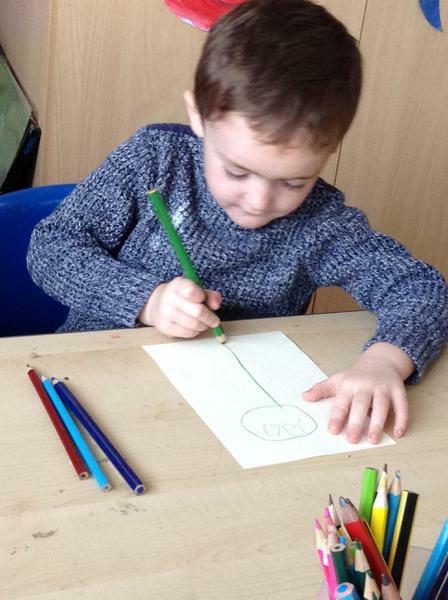 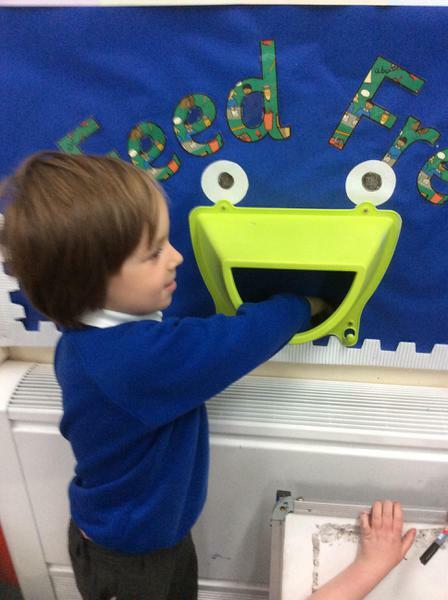 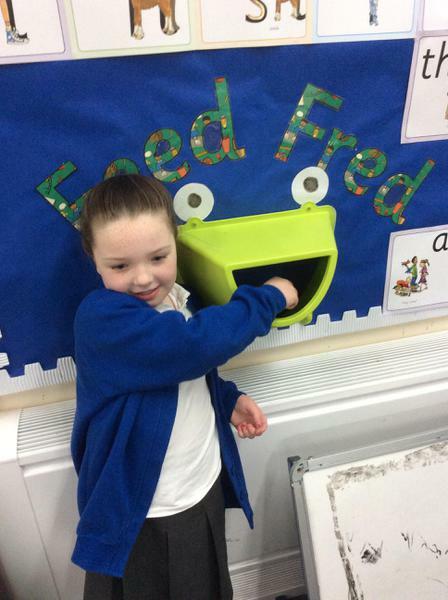 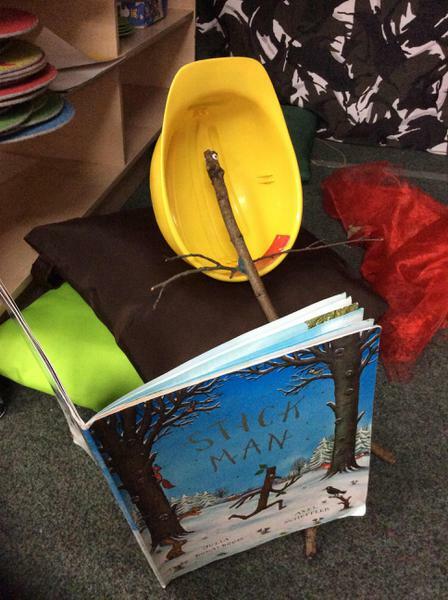 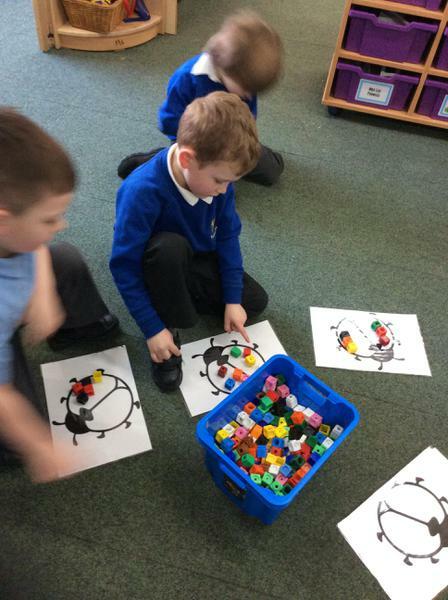 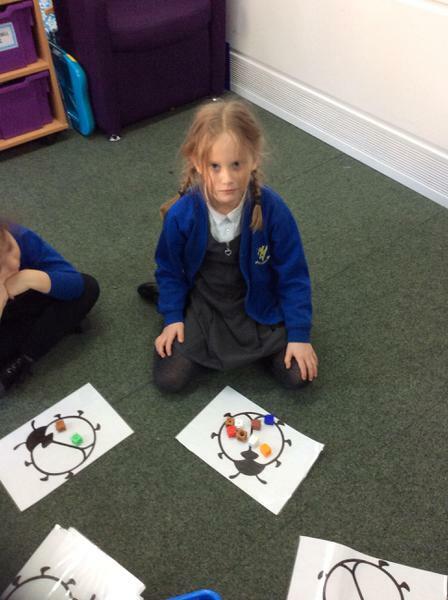 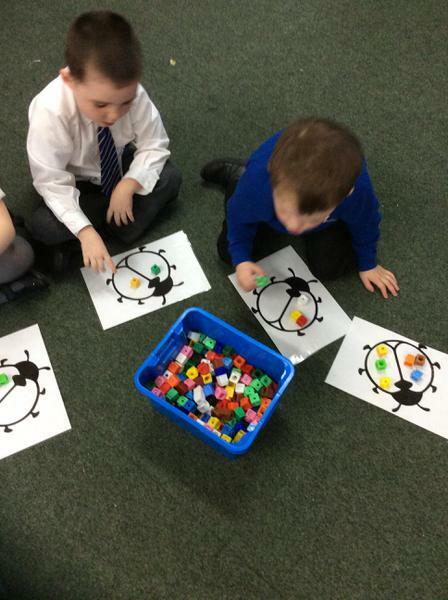 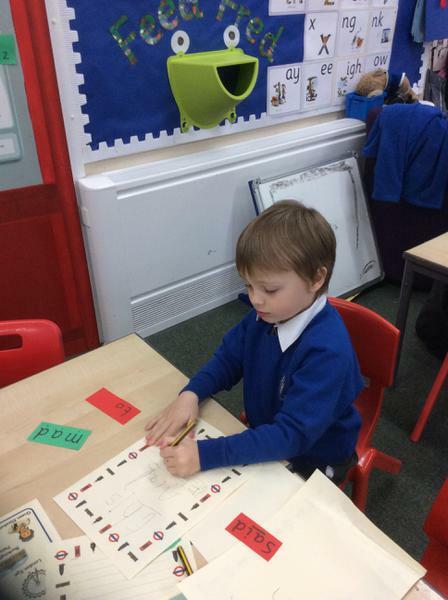 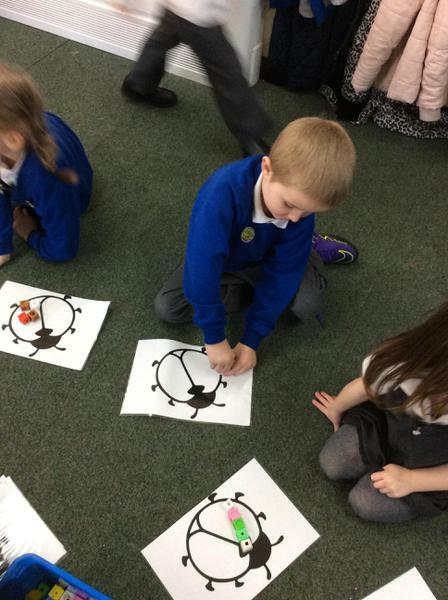 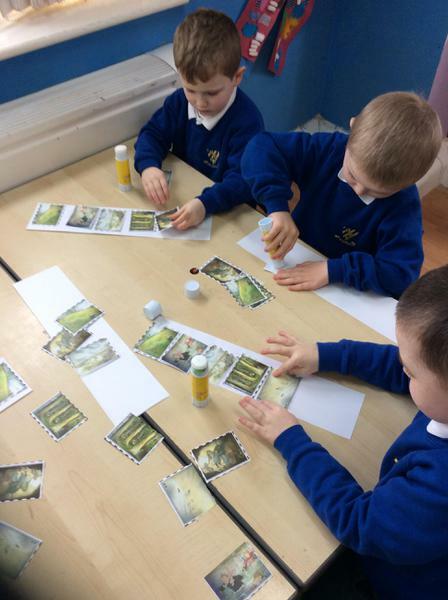 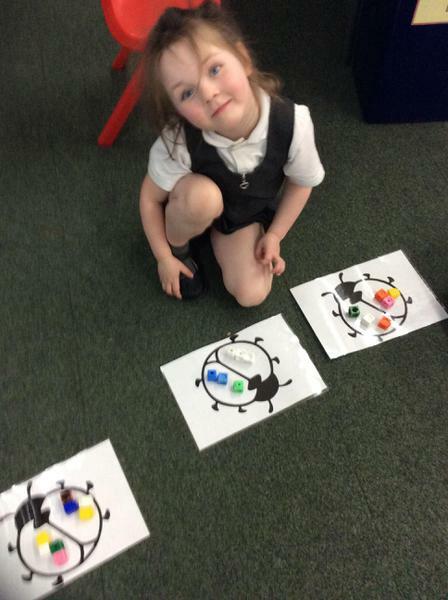 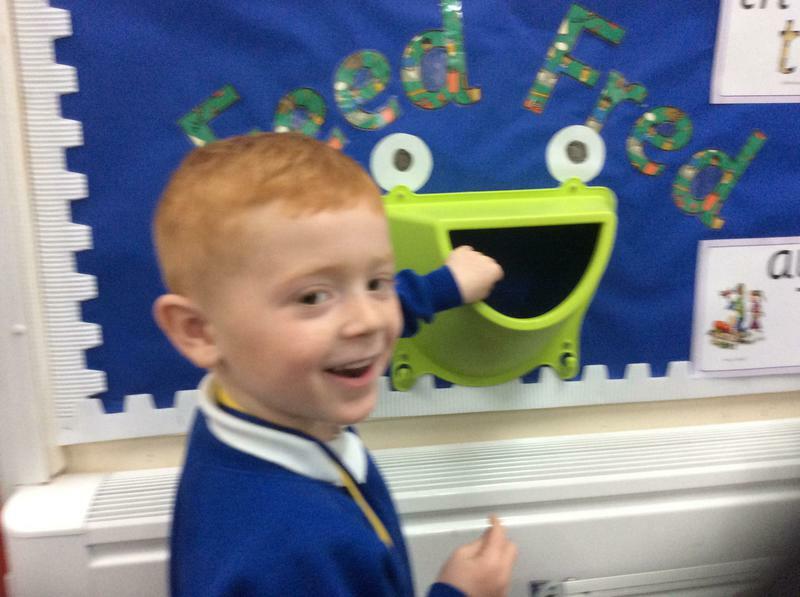 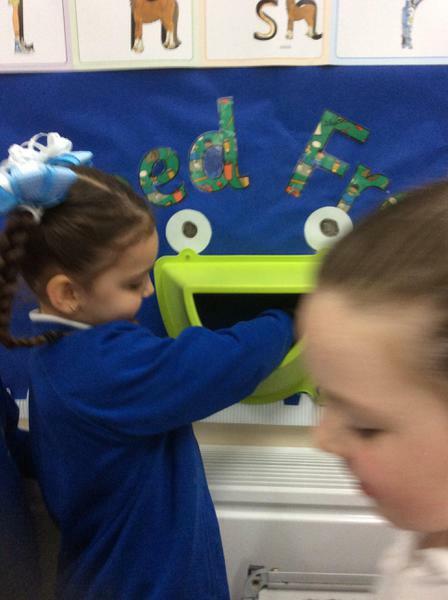 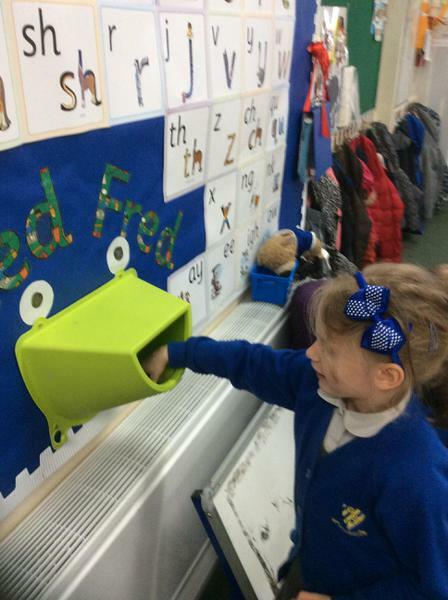 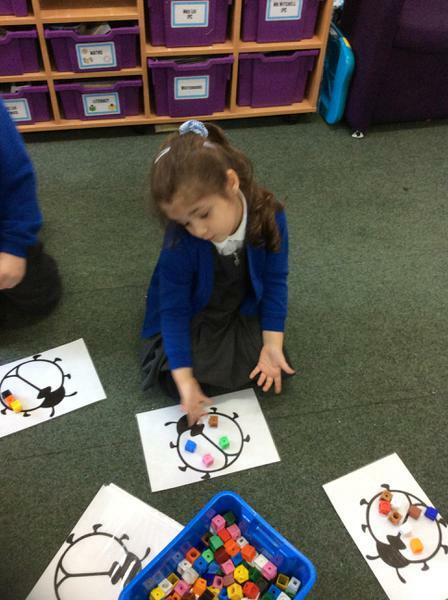 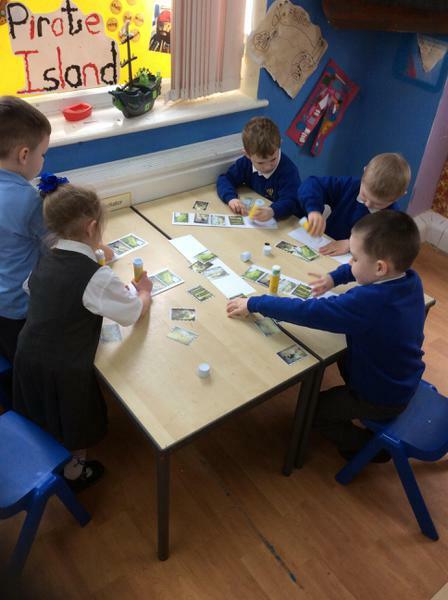 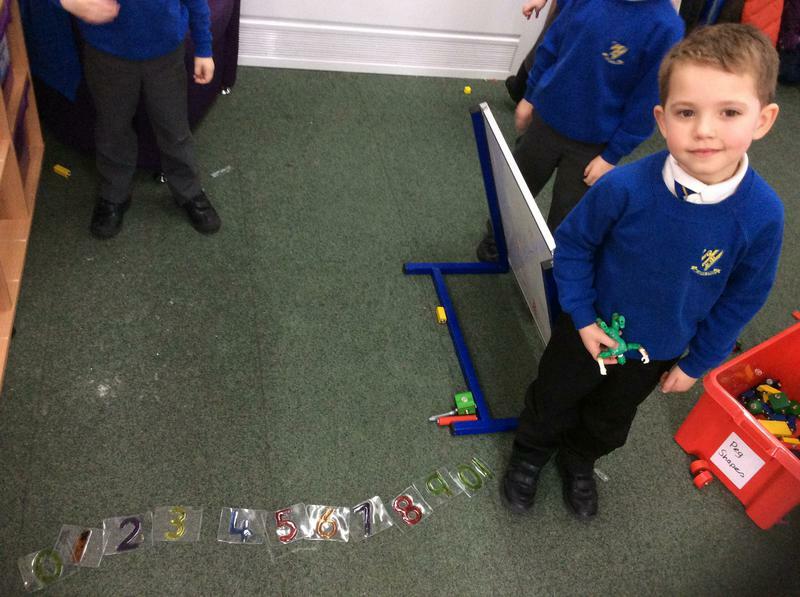 We have been using our Read Write Inc skills to practice writing our green and red words which we then fed to Fred. 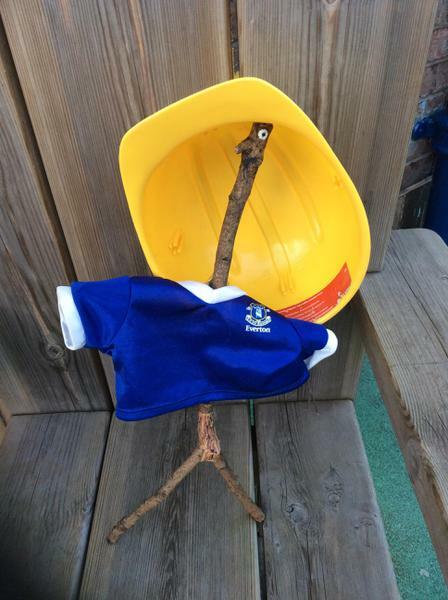 YOU won the cup ! 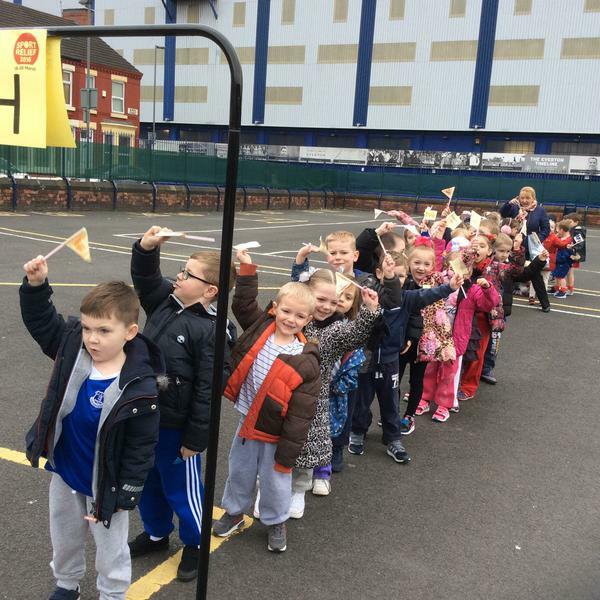 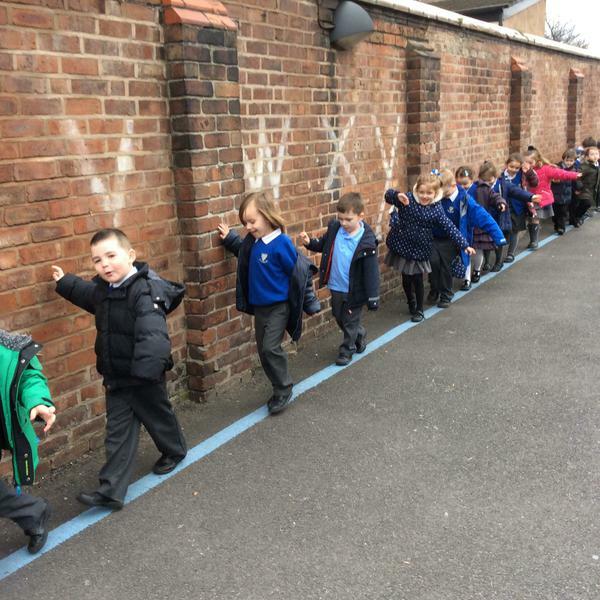 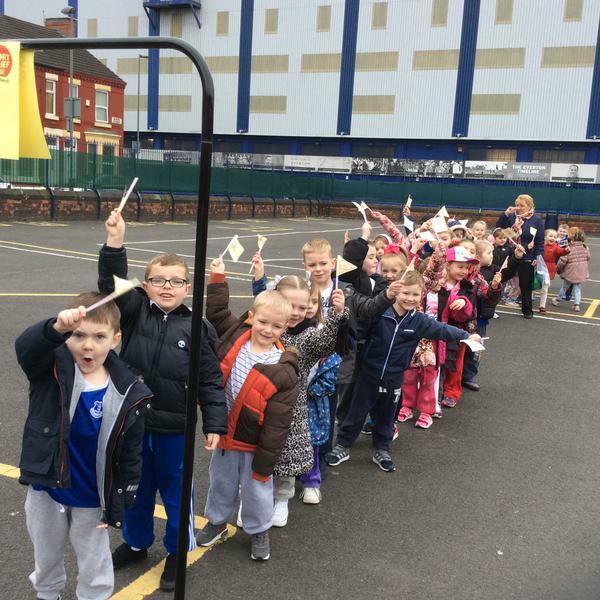 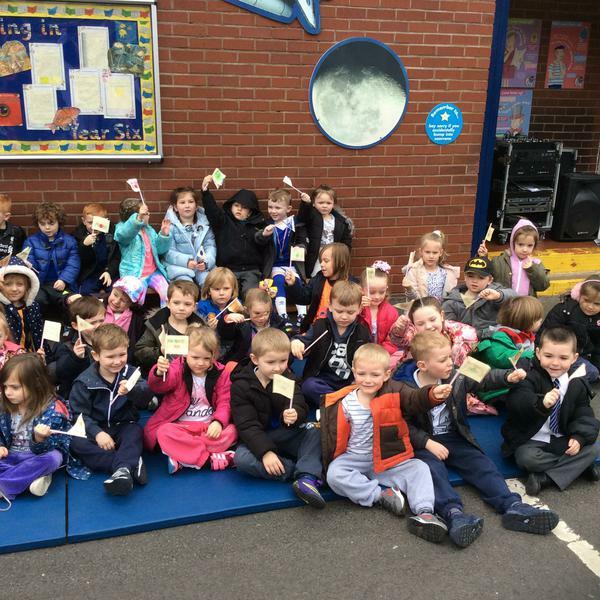 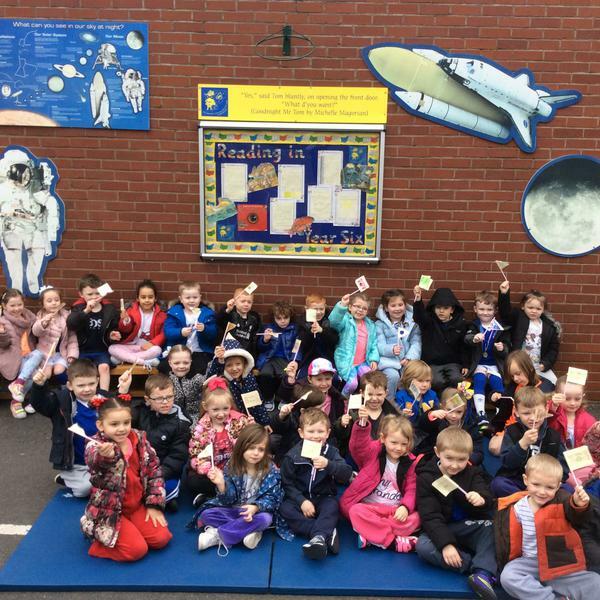 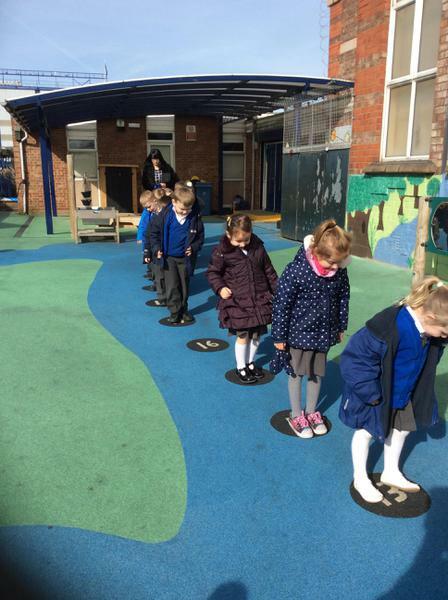 Thanks to all our wonderful parents and families, the children in FS2M managed to have 100% attendance last week. 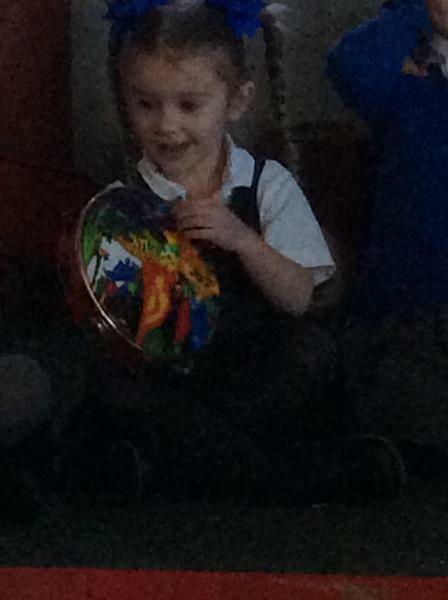 We were so proud when we found out that we had the best attendance in the whole school. 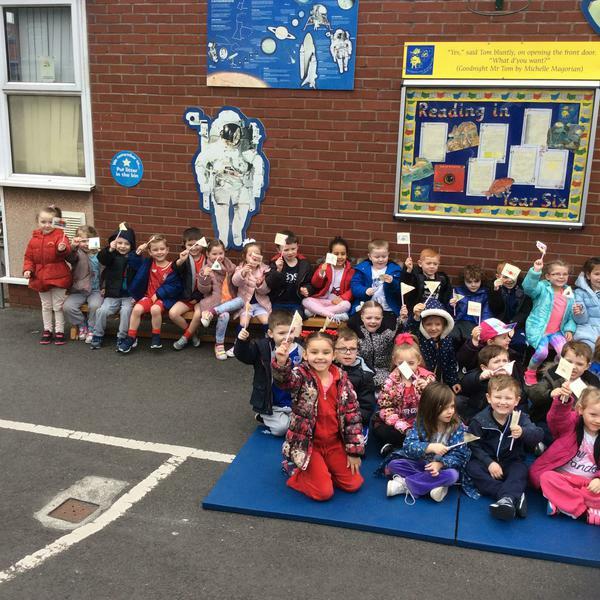 Today we celebrated with the trophy and very soon, the children will be rewarded with a very special attendance party.